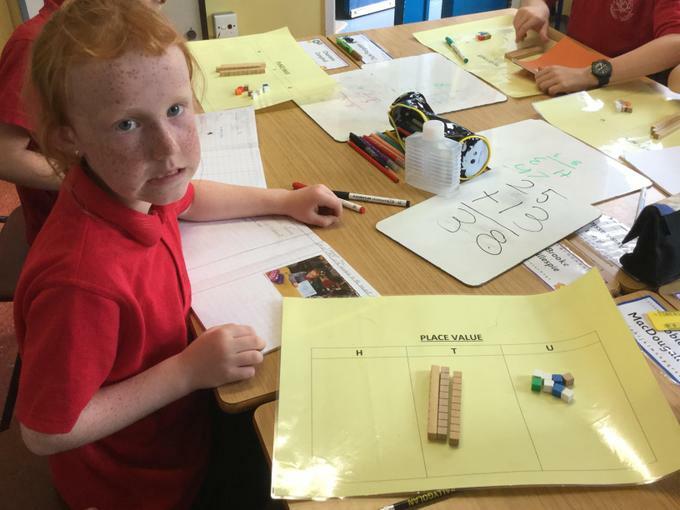 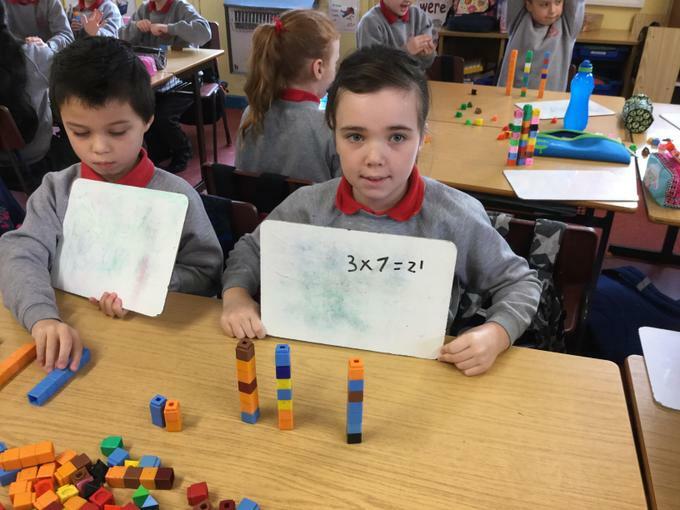 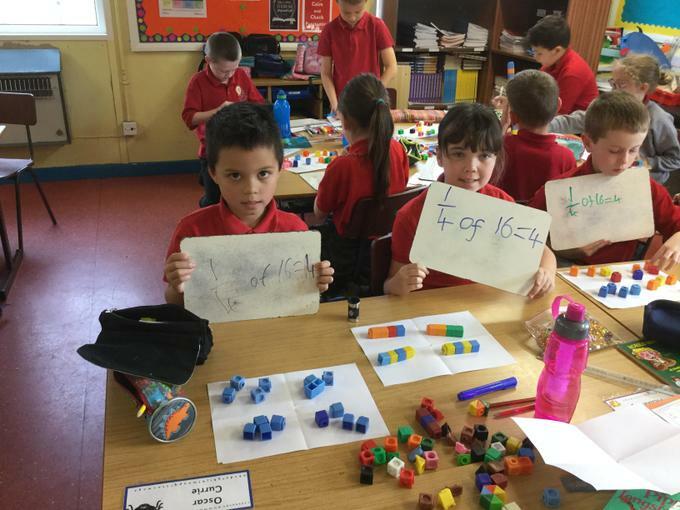 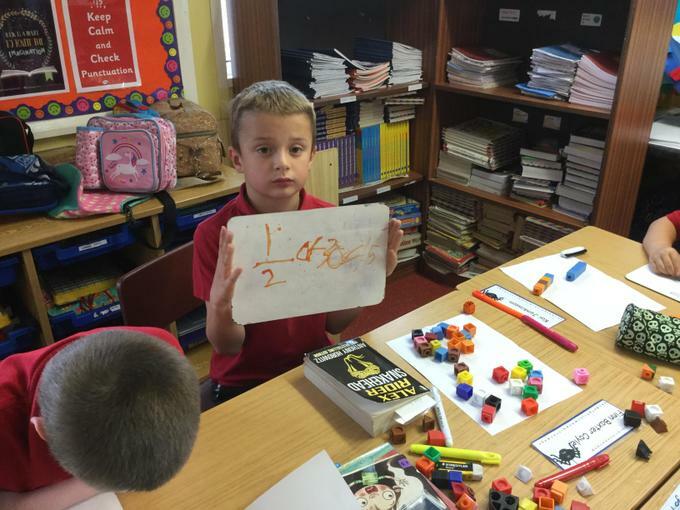 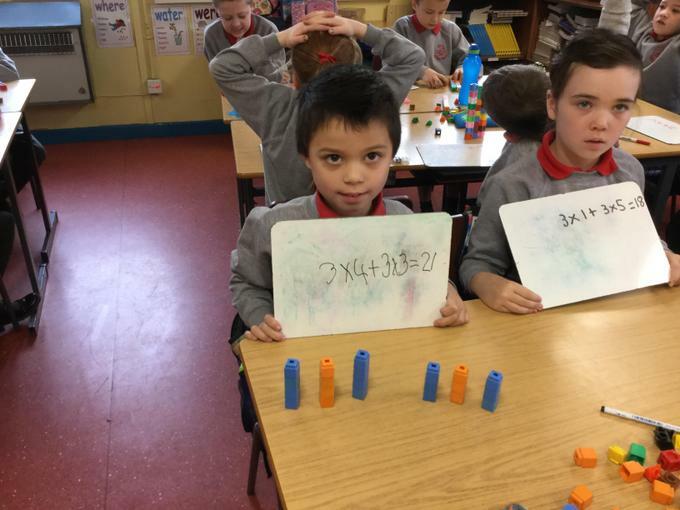 We have been learning all about Place Value and how to represent numbers in various ways. 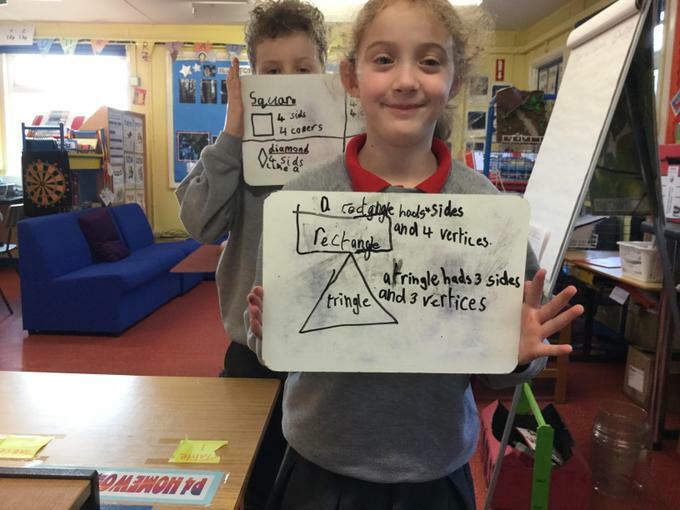 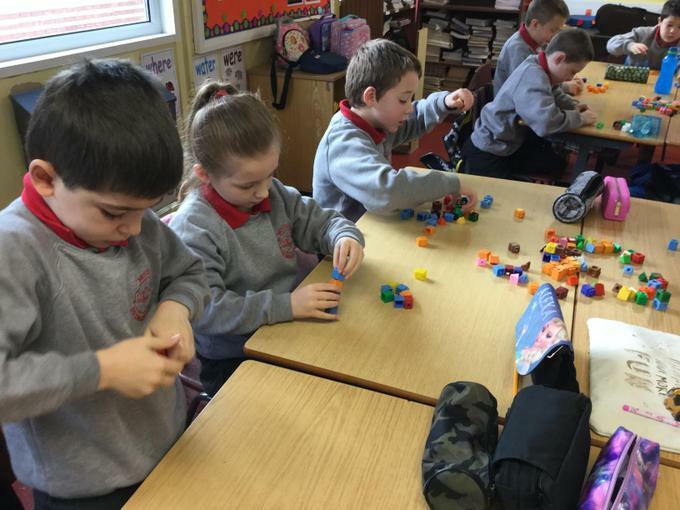 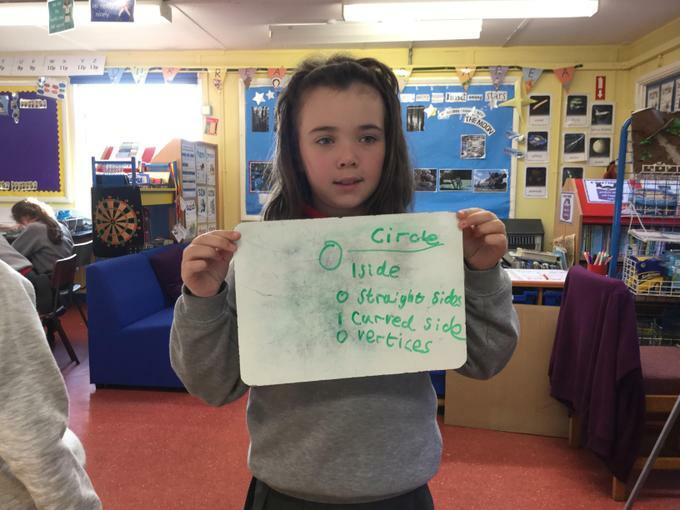 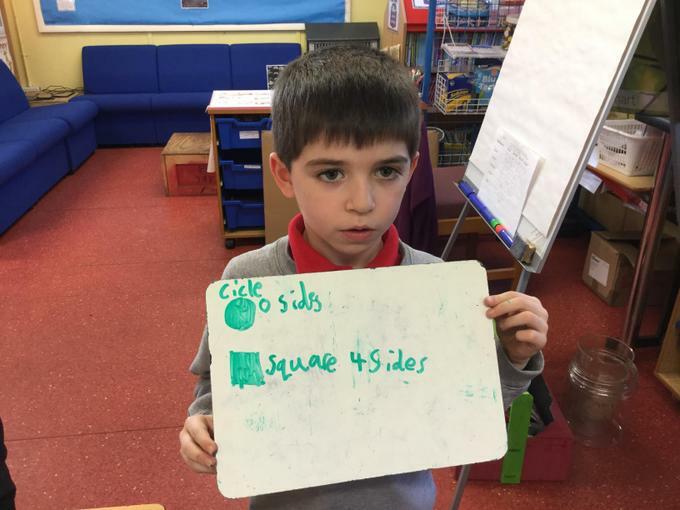 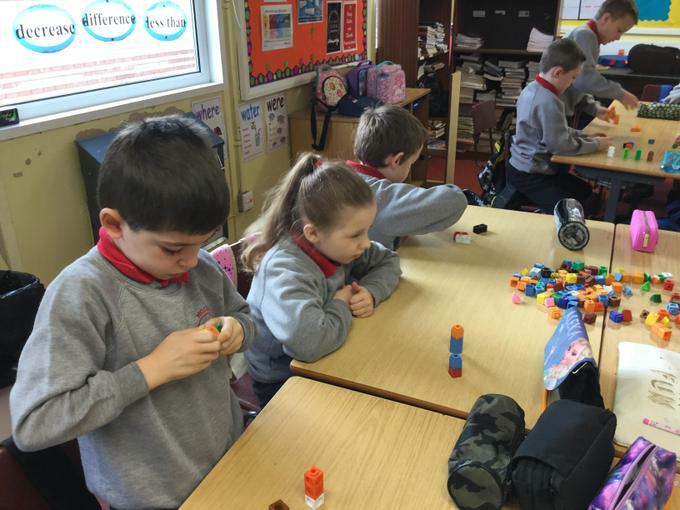 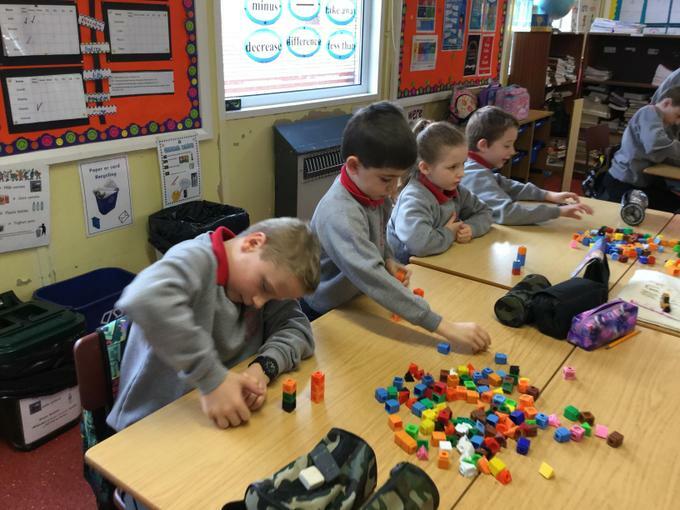 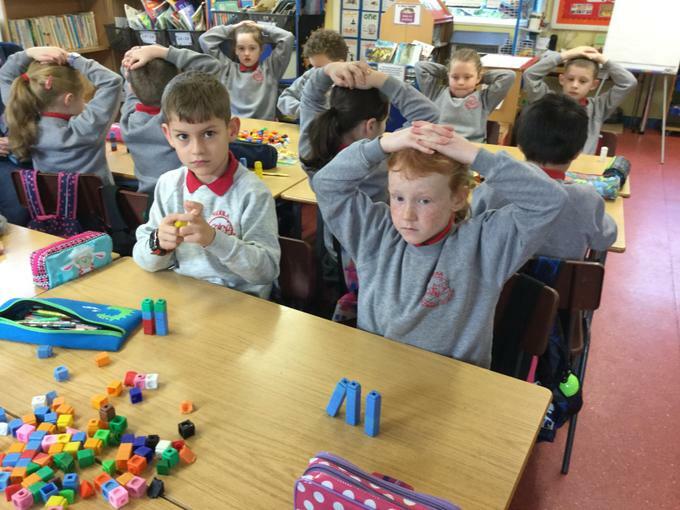 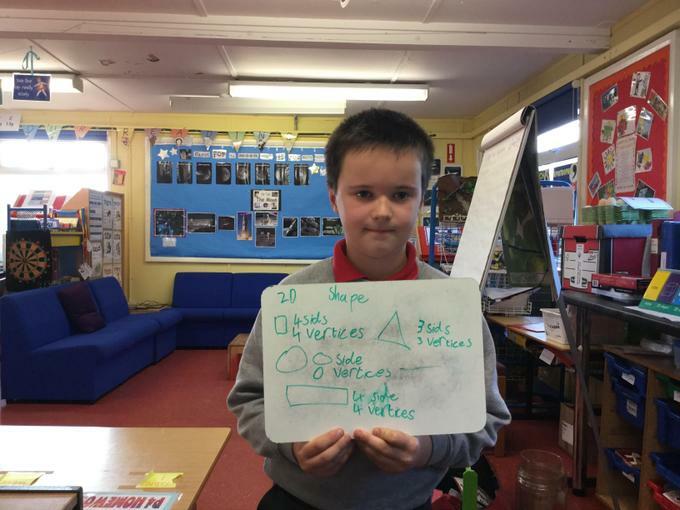 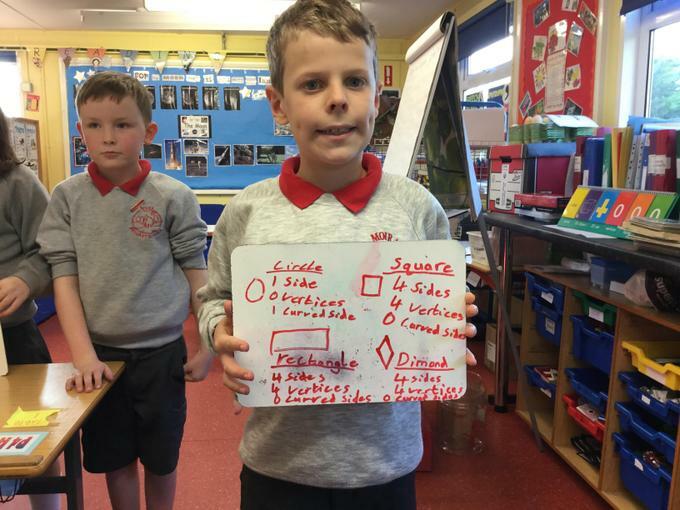 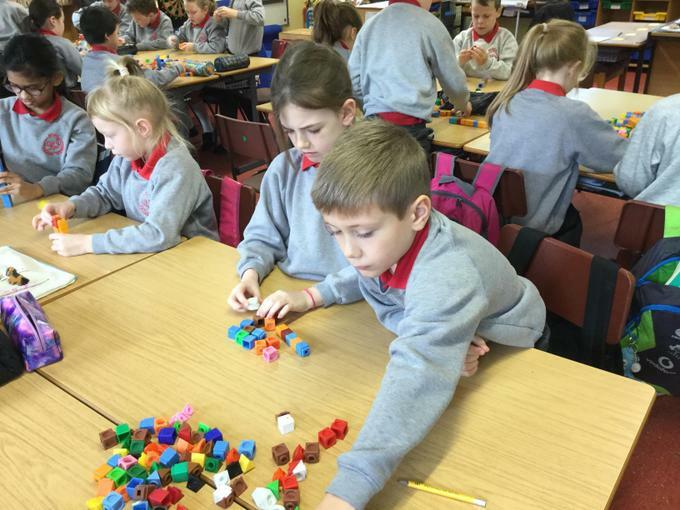 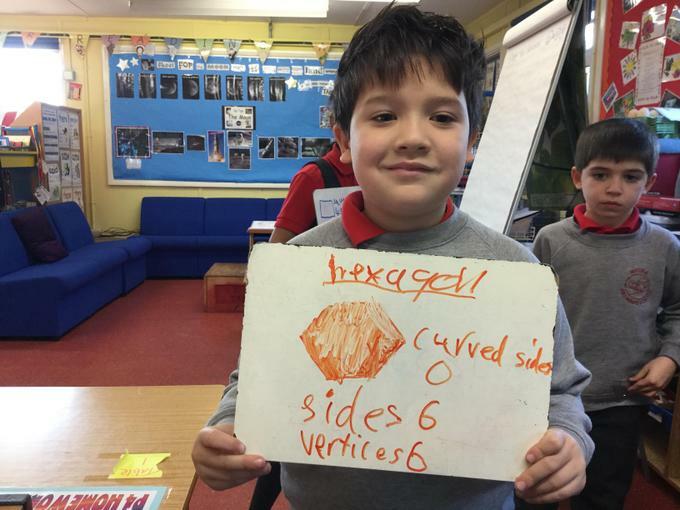 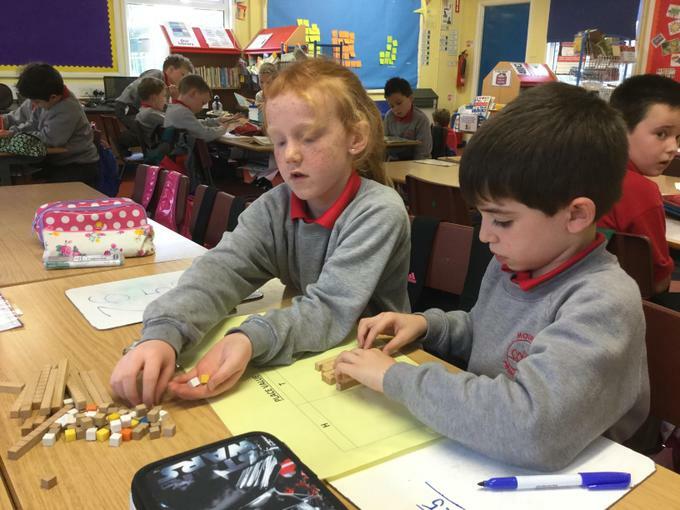 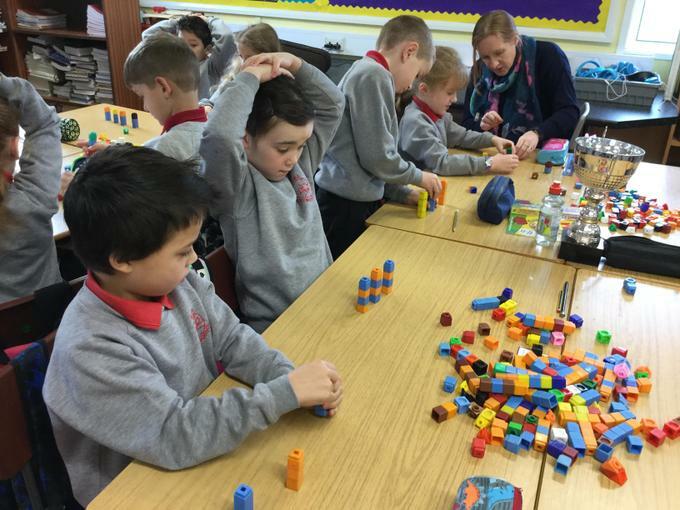 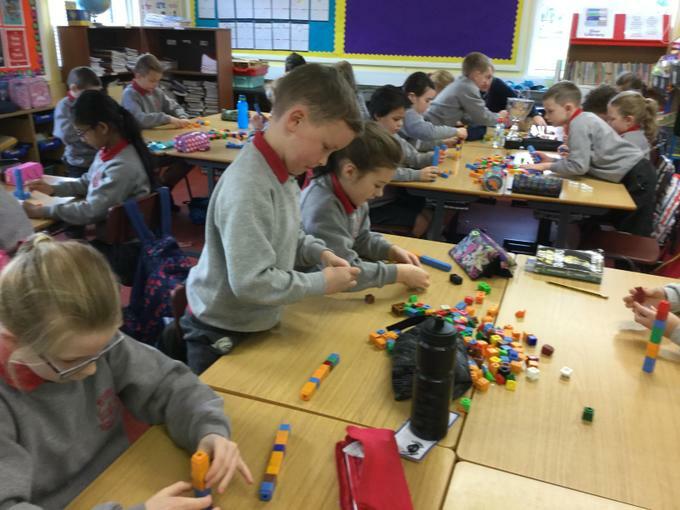 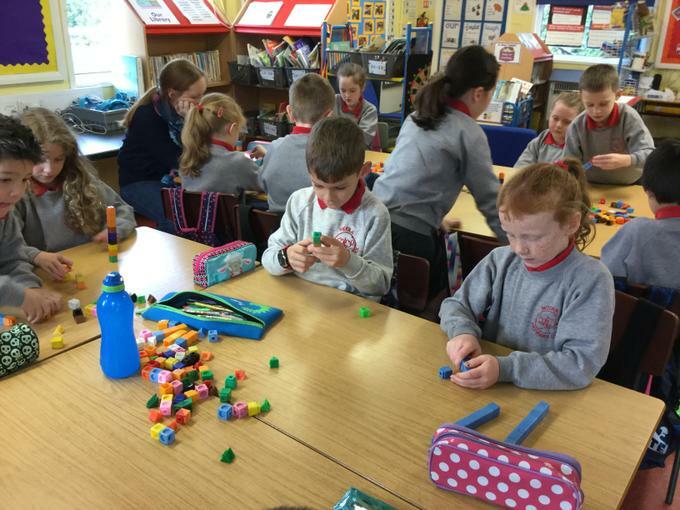 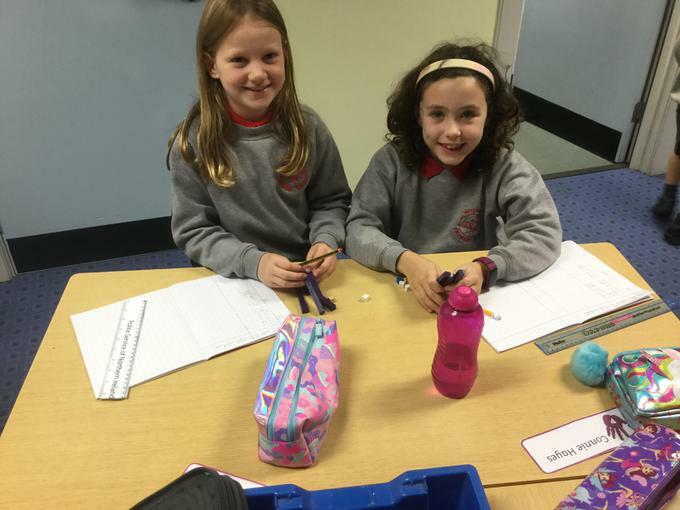 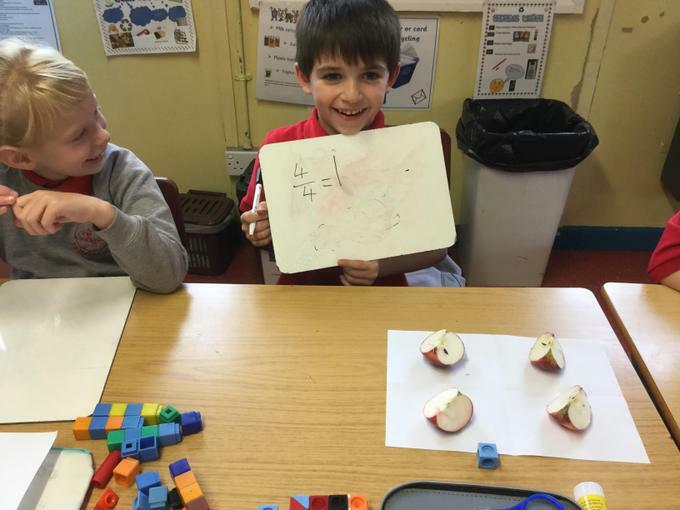 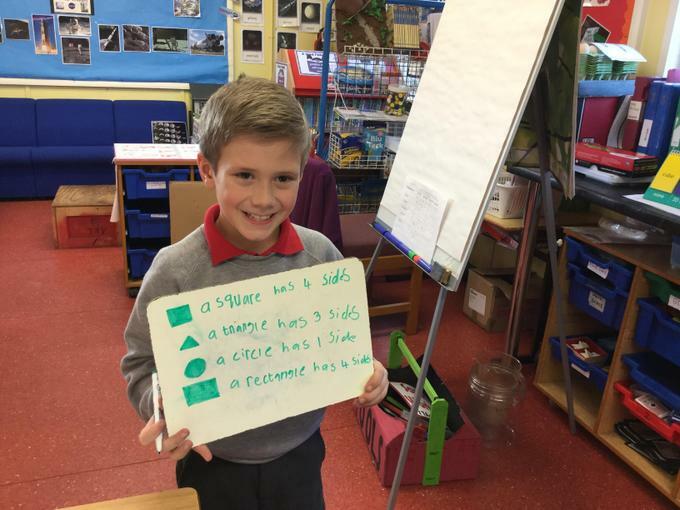 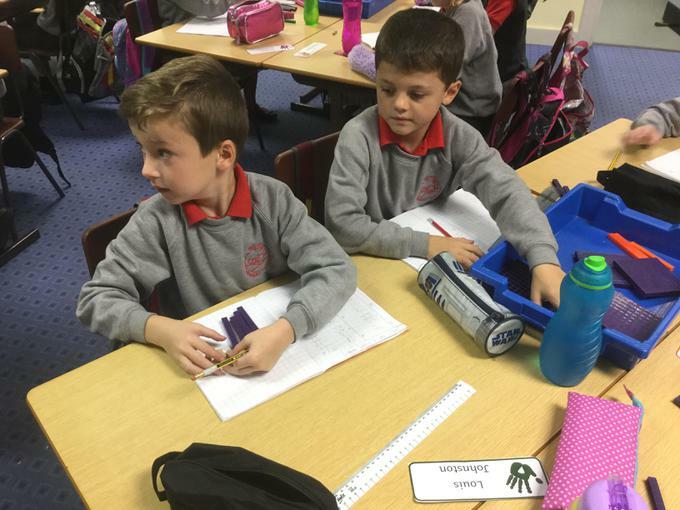 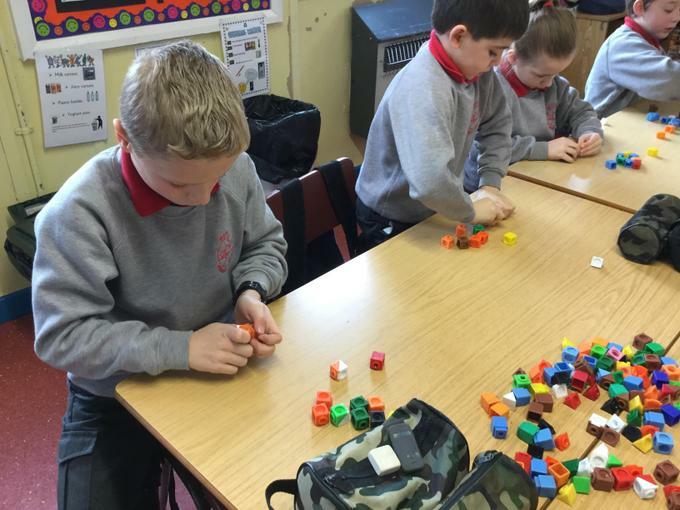 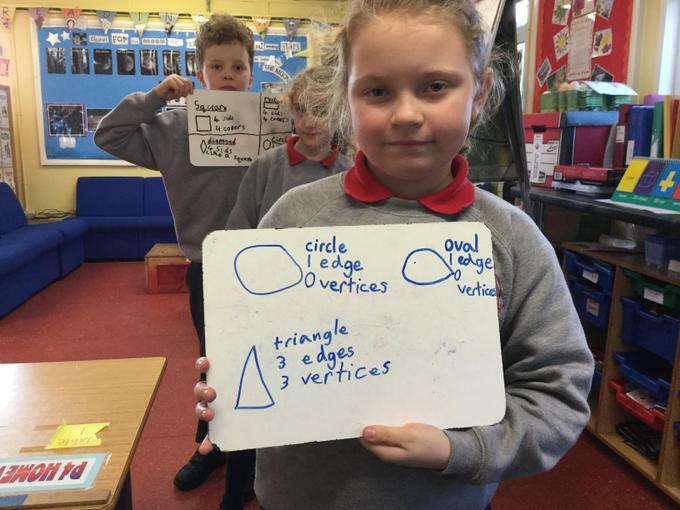 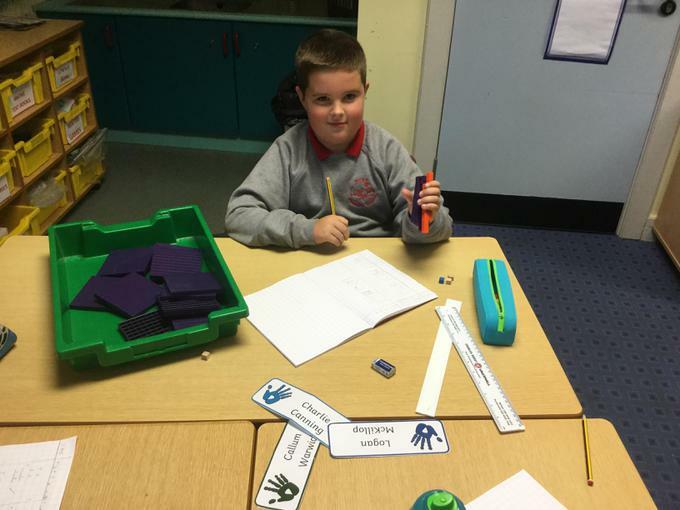 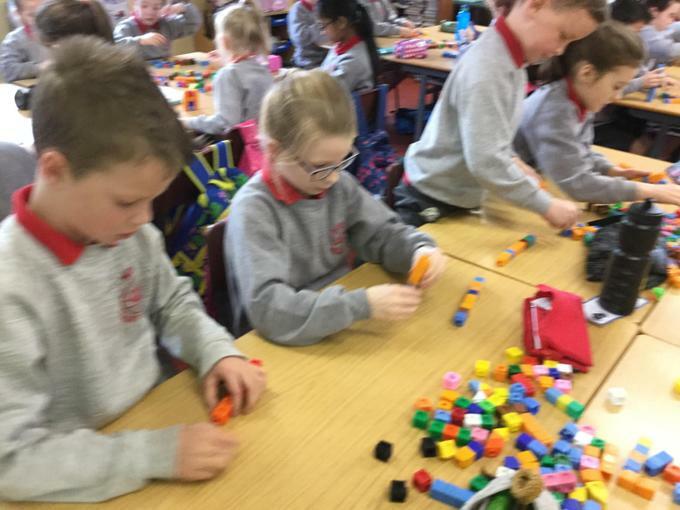 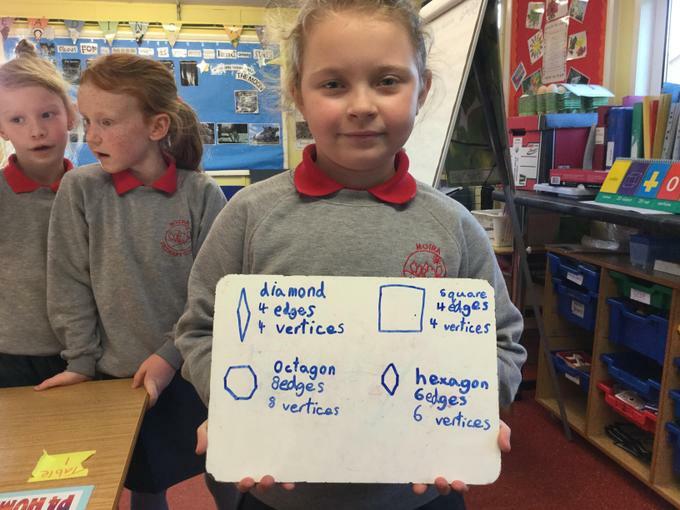 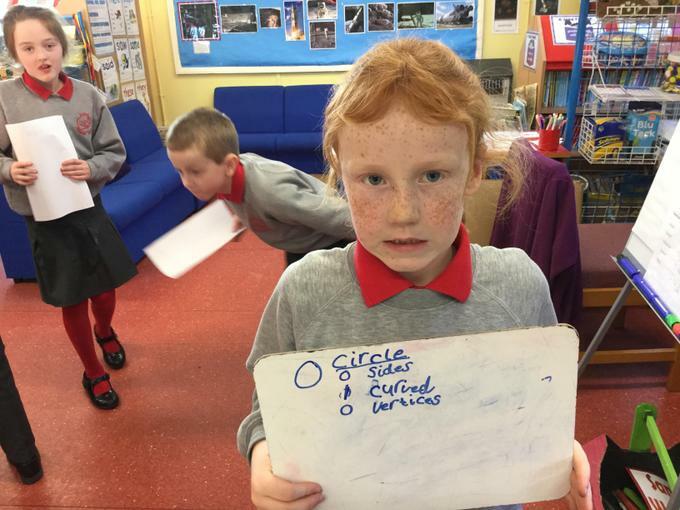 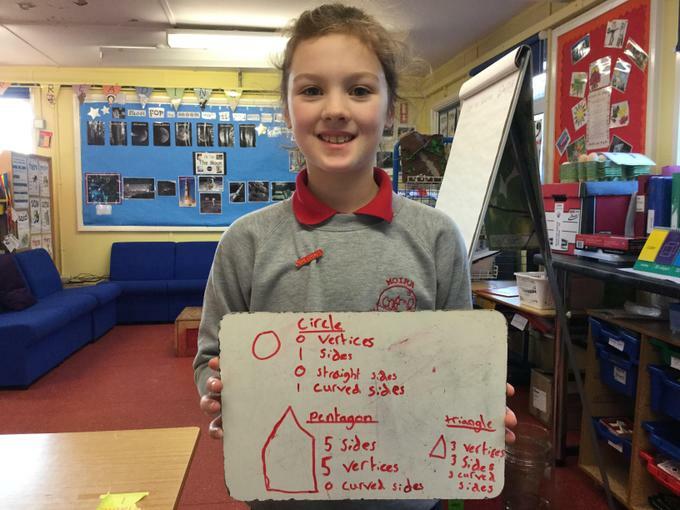 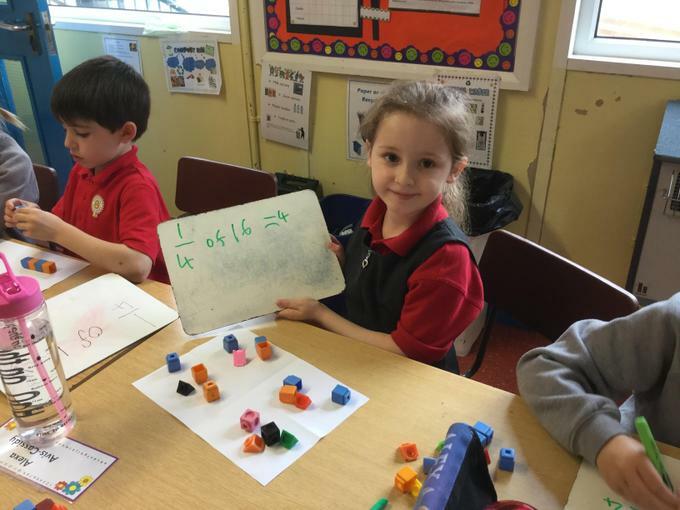 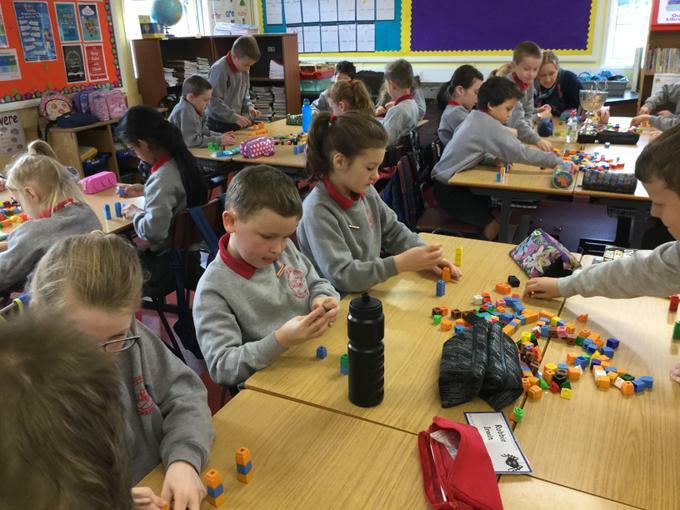 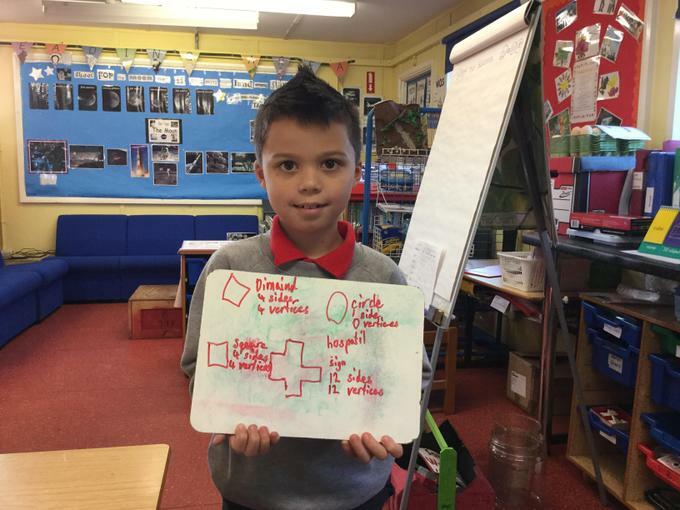 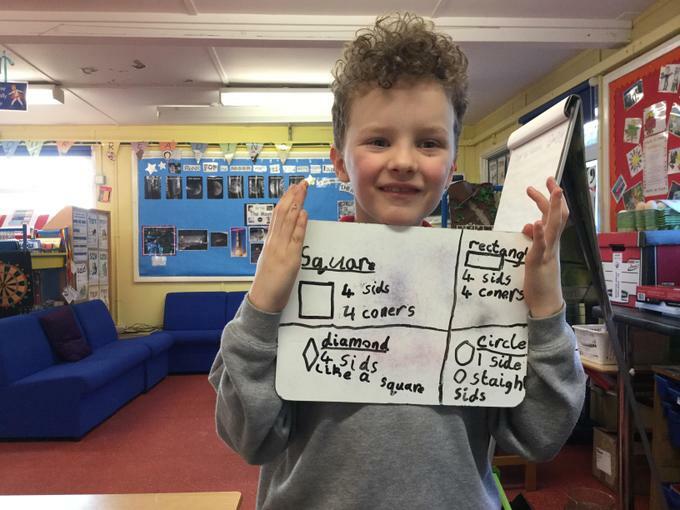 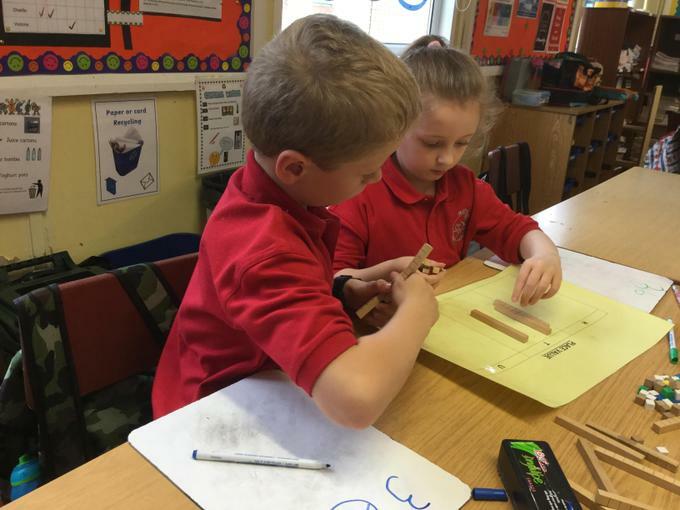 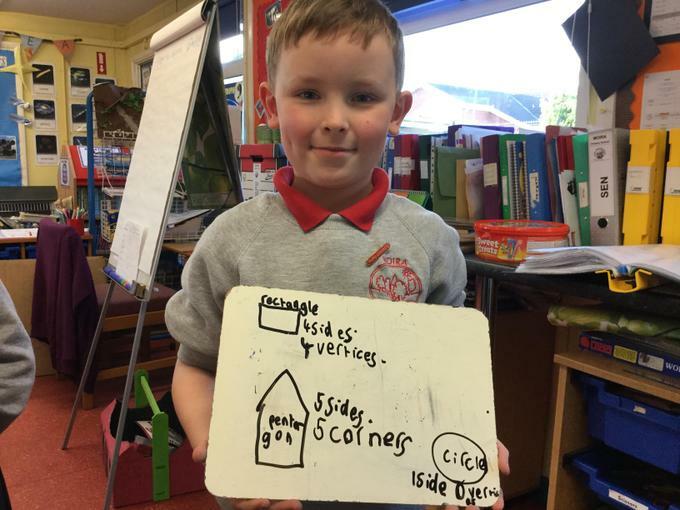 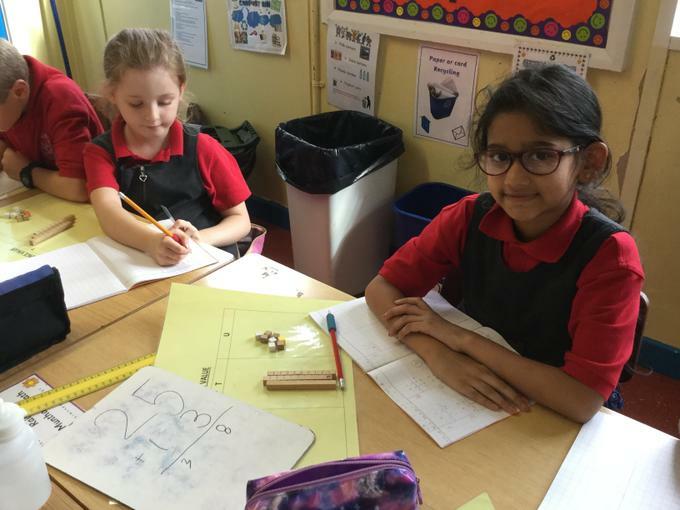 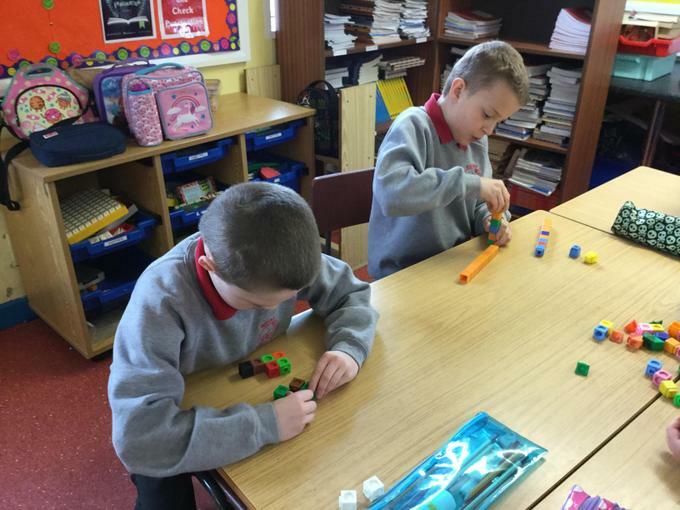 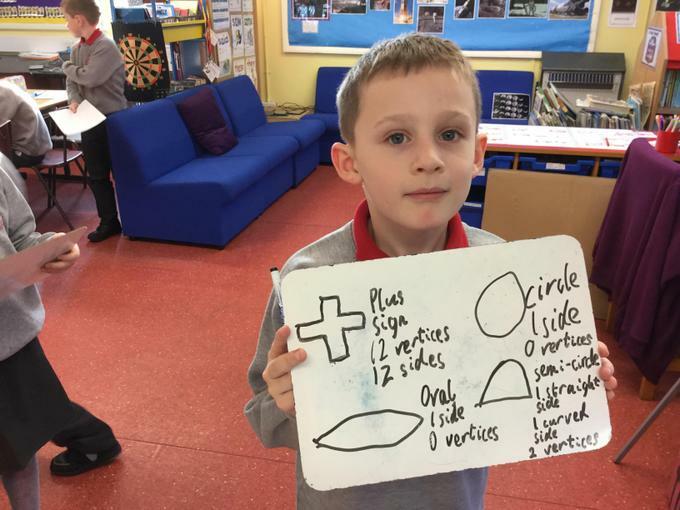 We have been learning all about 2D shapes and their properties. 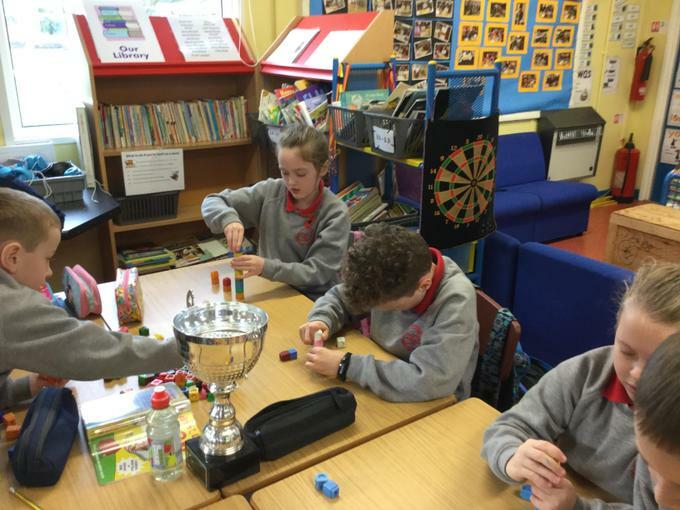 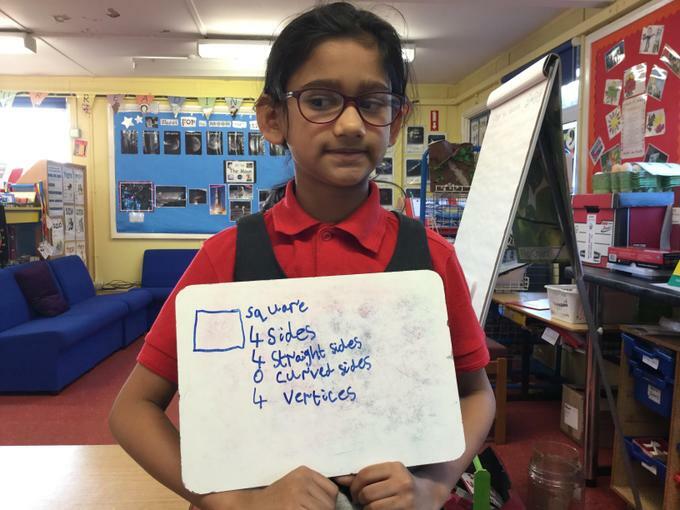 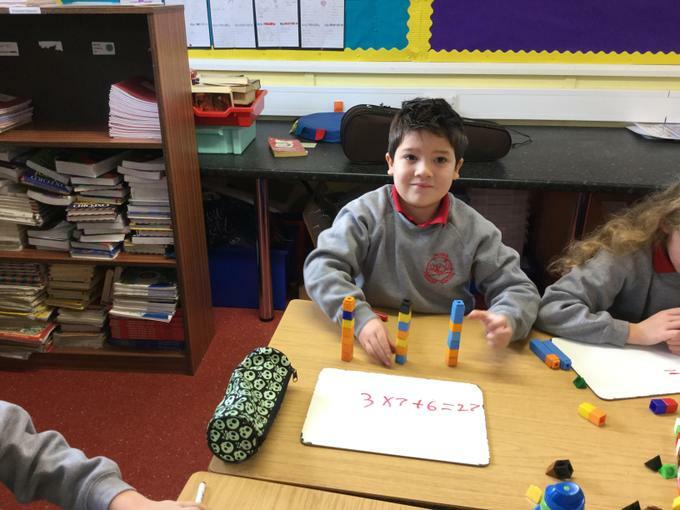 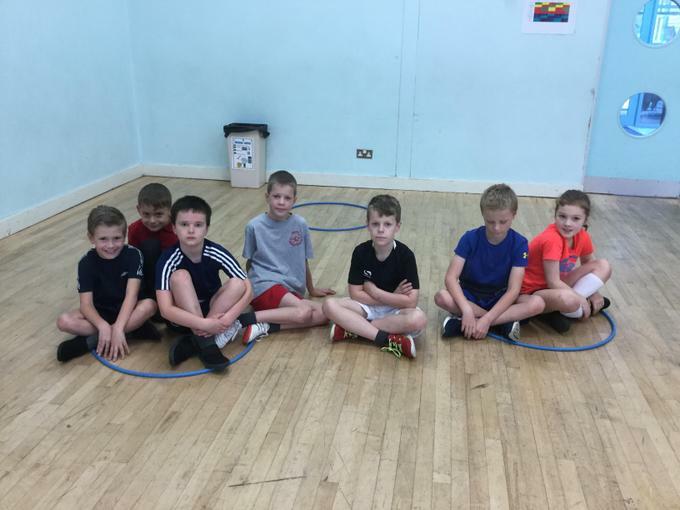 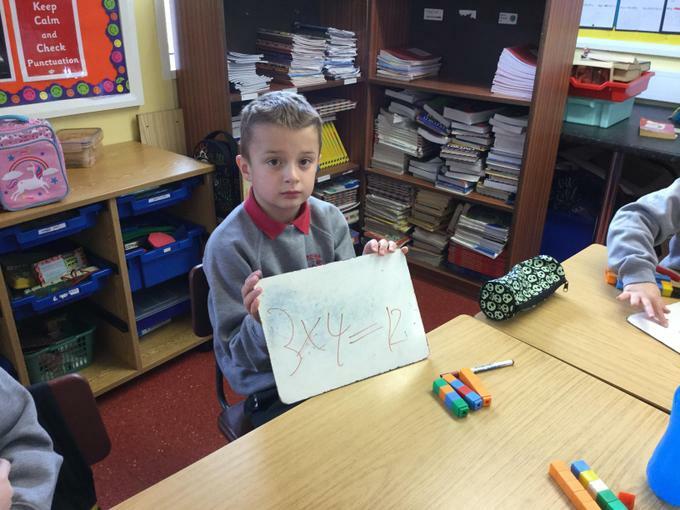 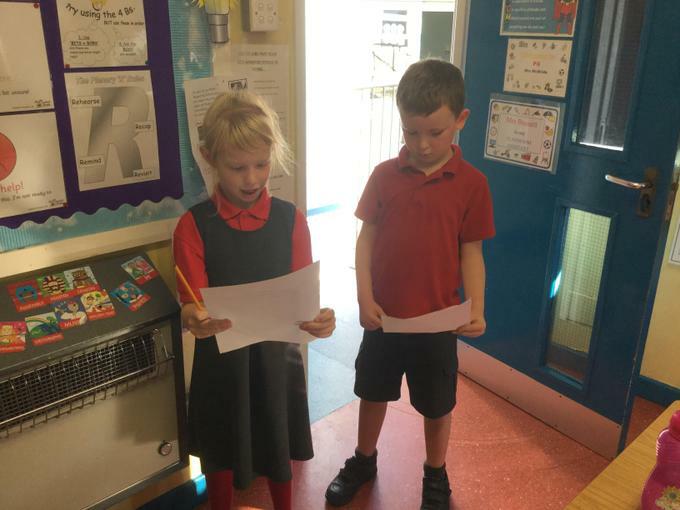 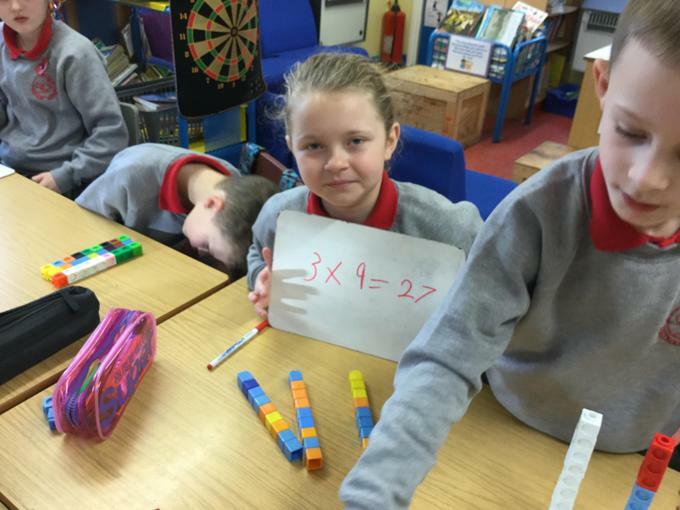 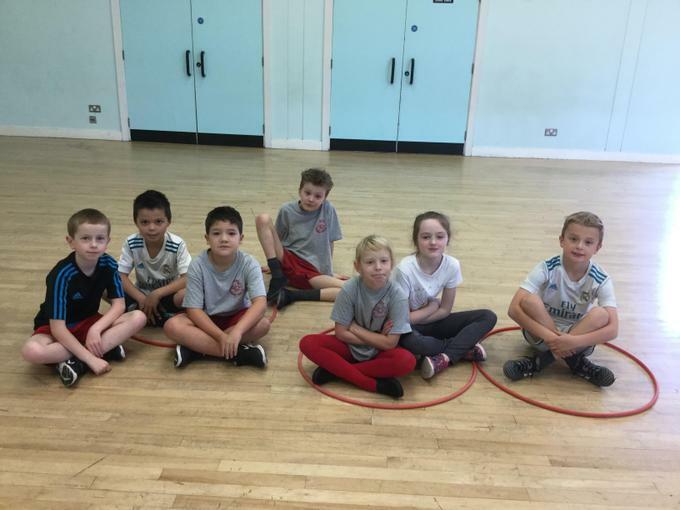 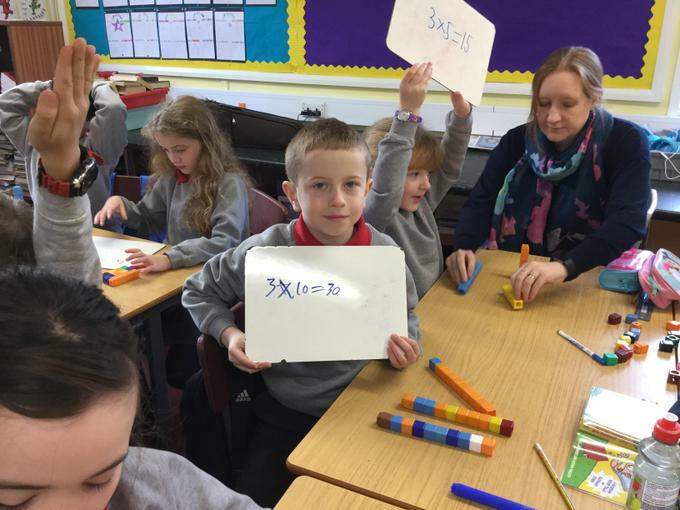 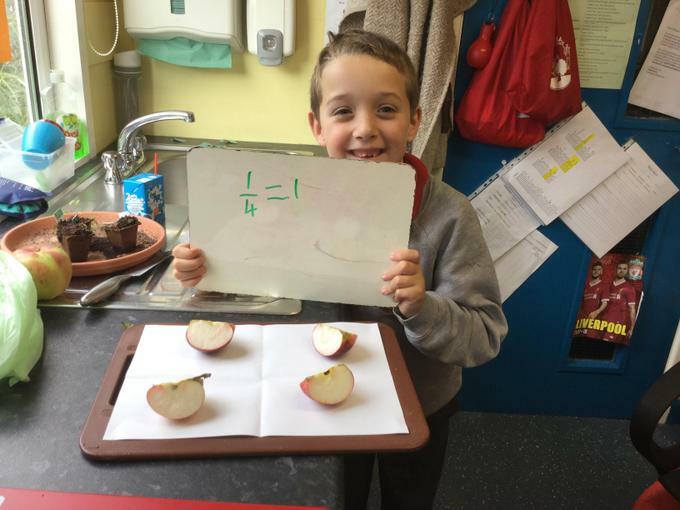 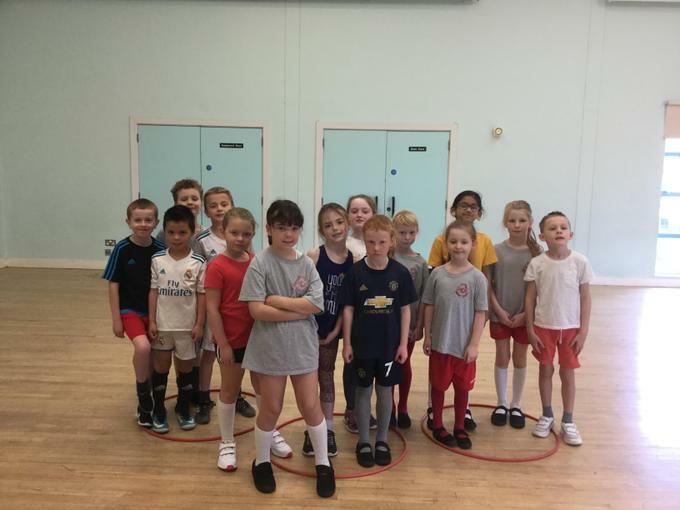 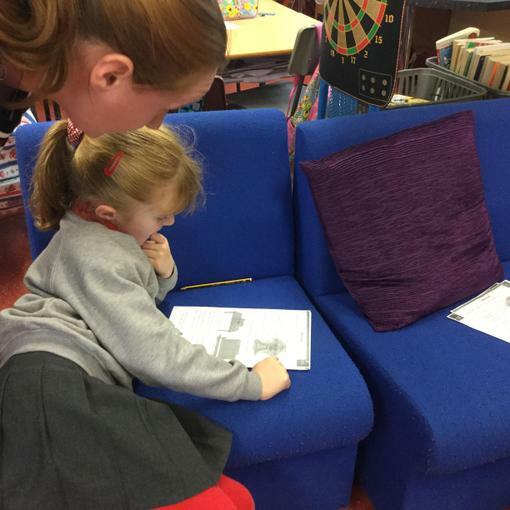 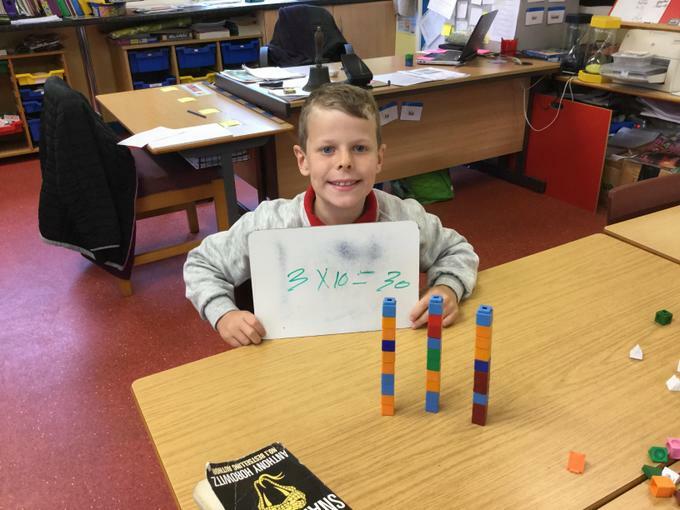 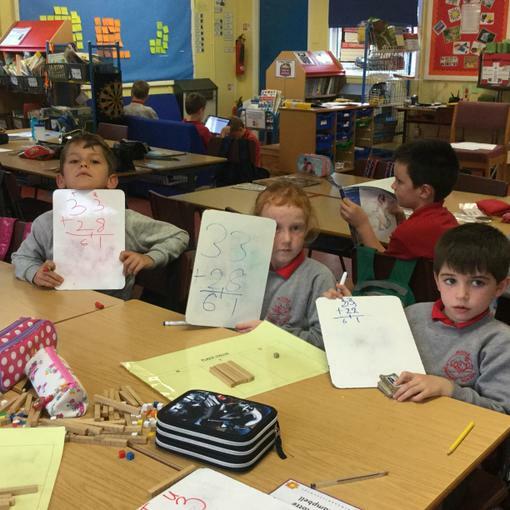 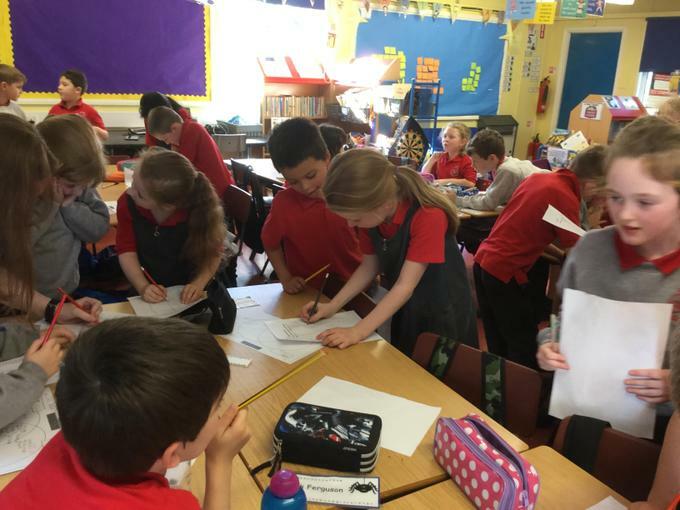 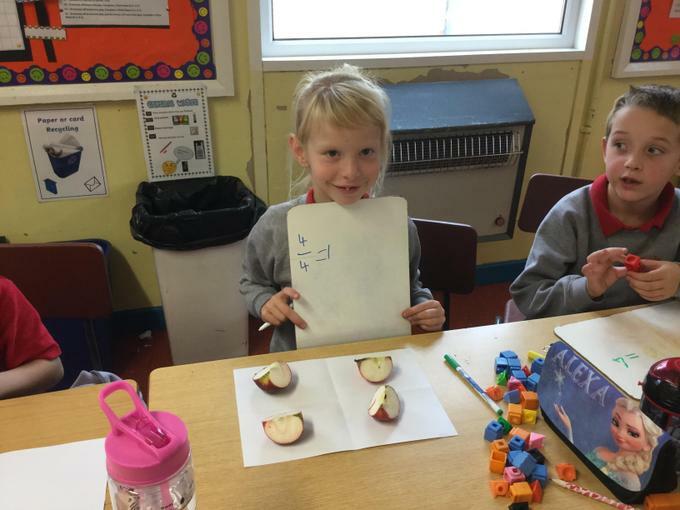 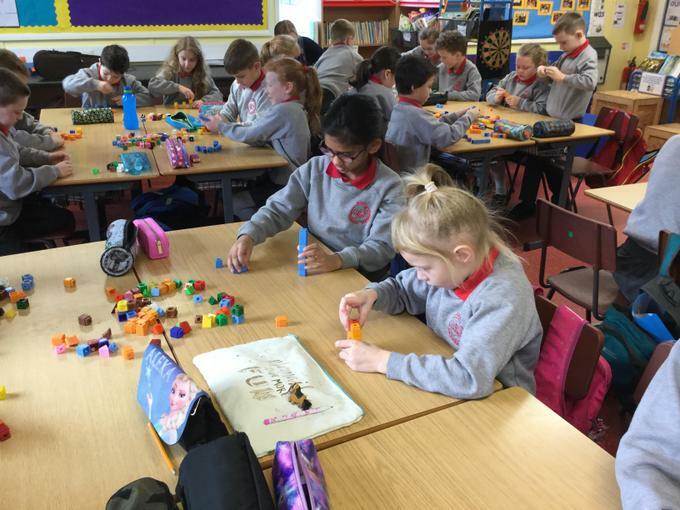 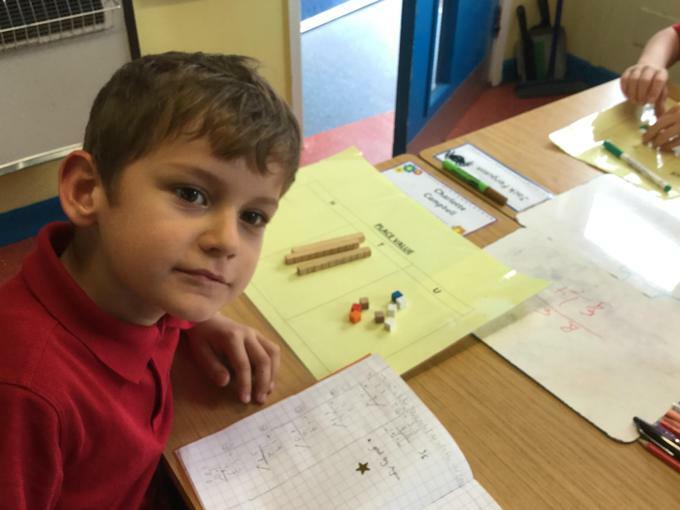 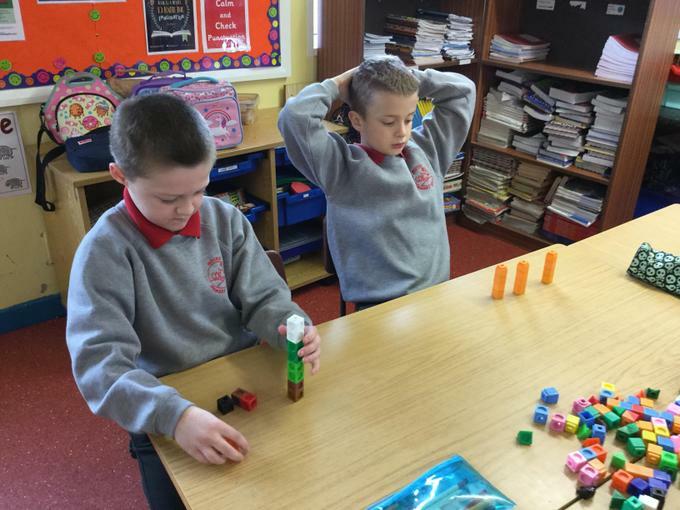 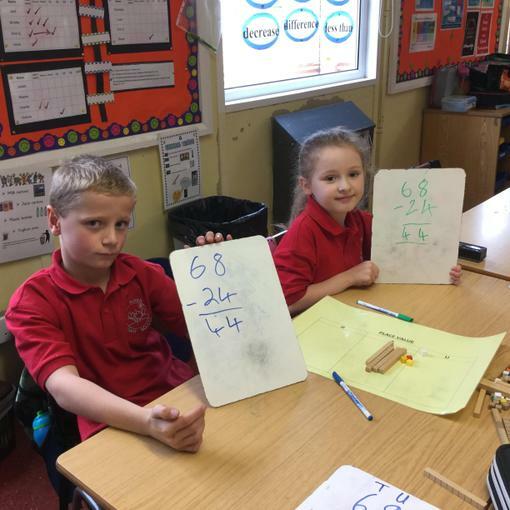 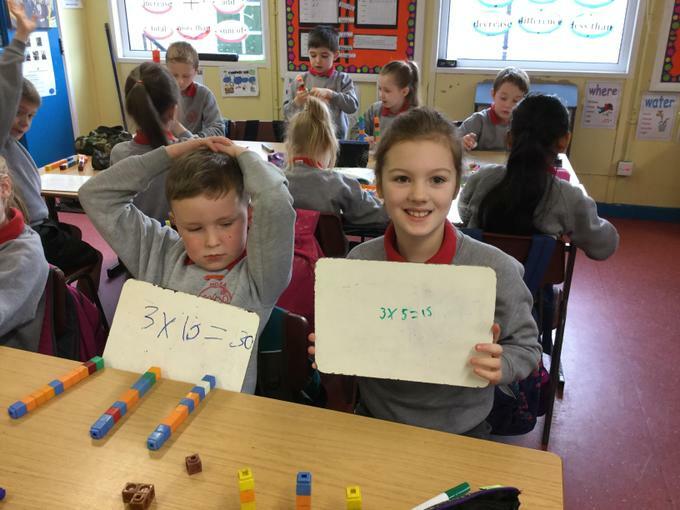 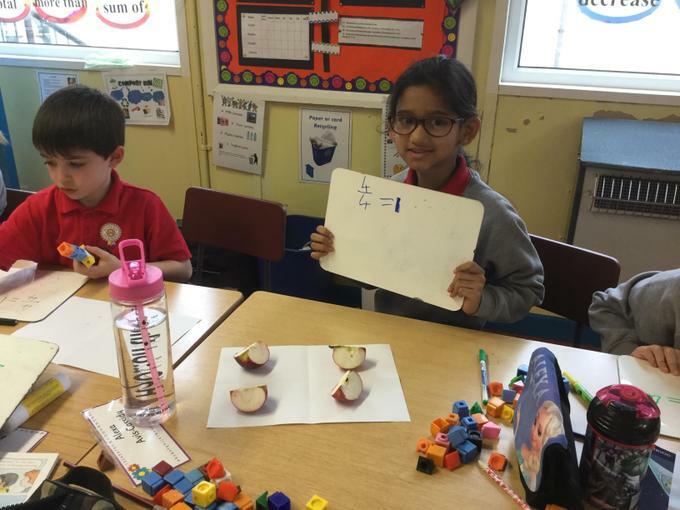 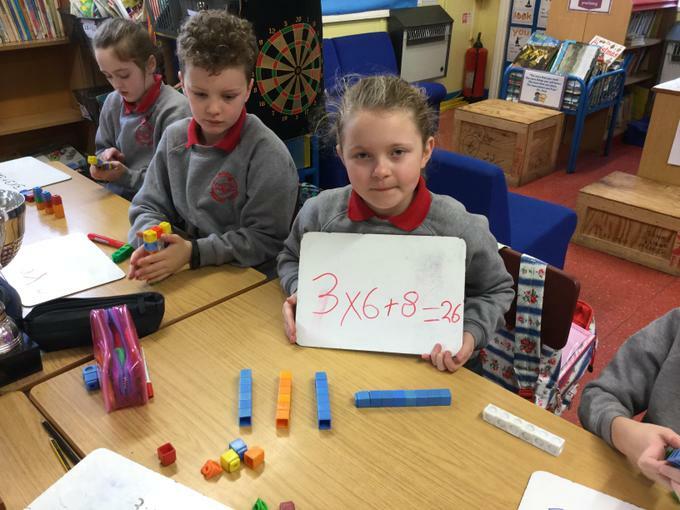 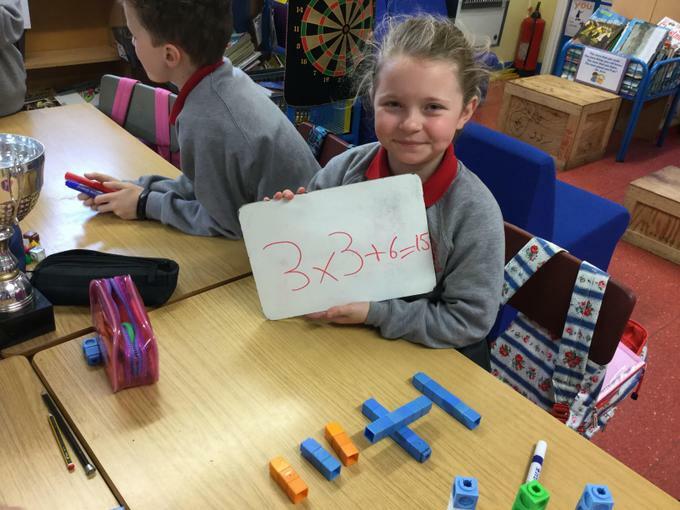 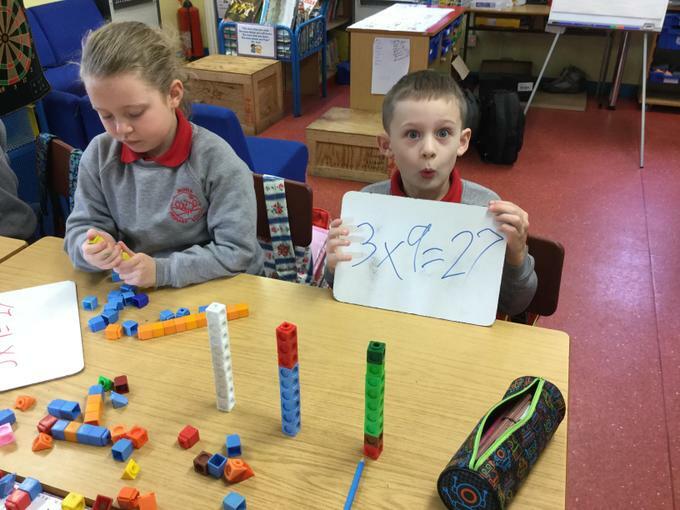 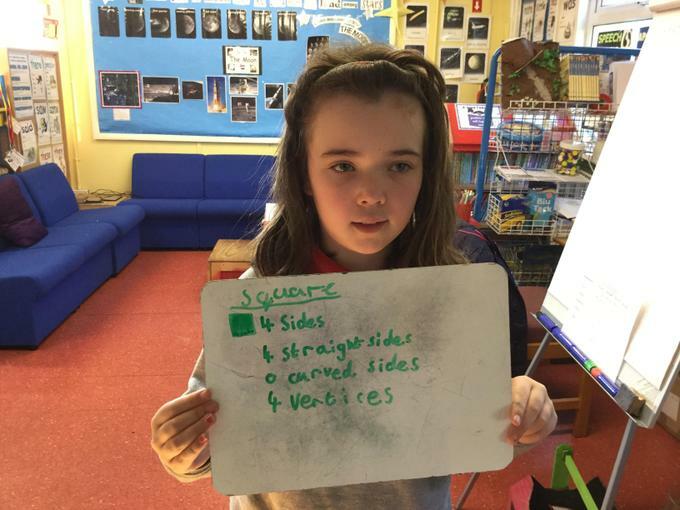 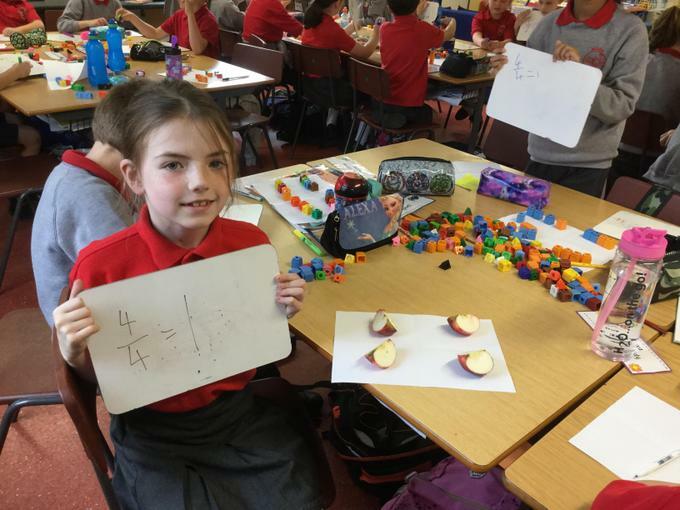 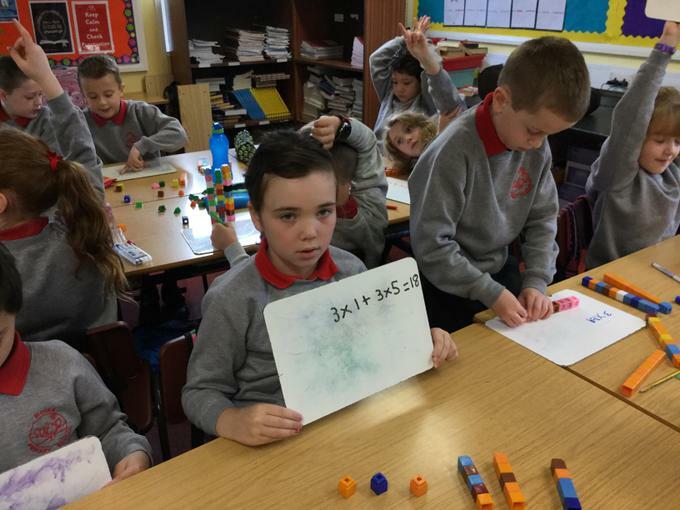 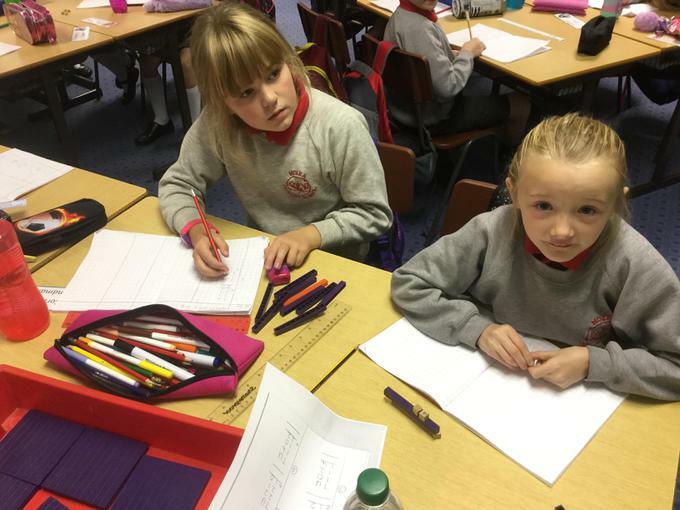 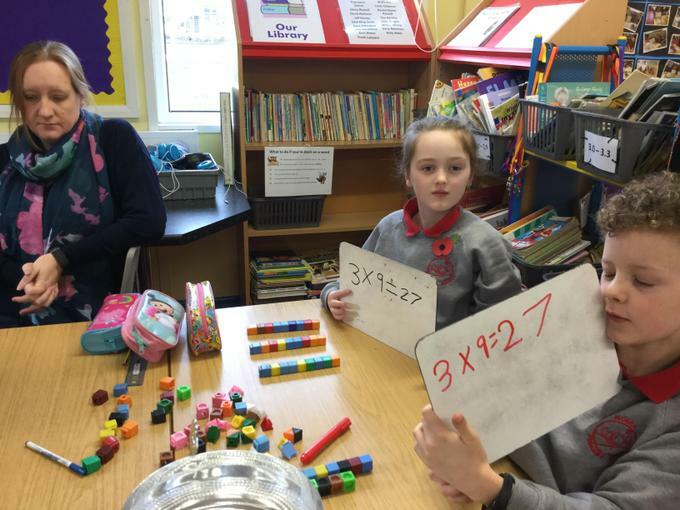 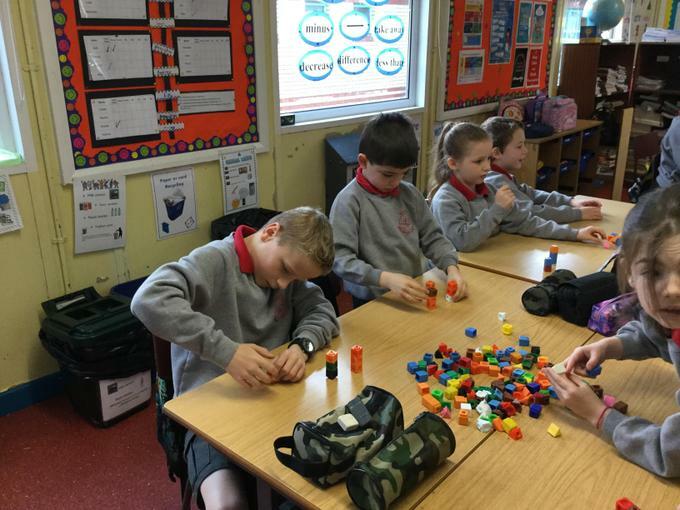 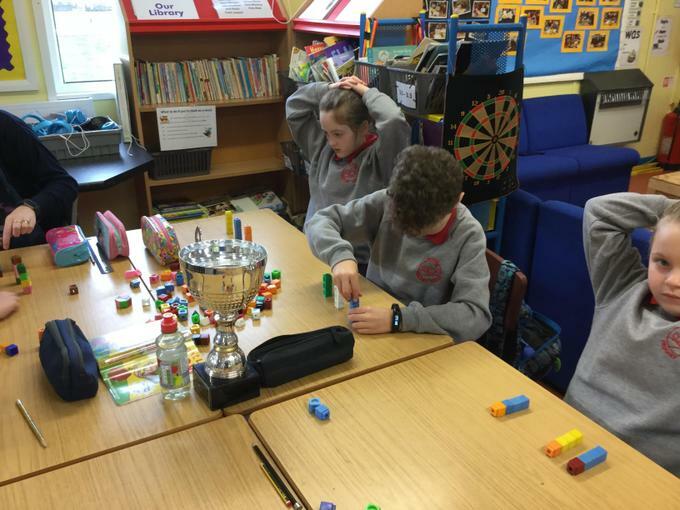 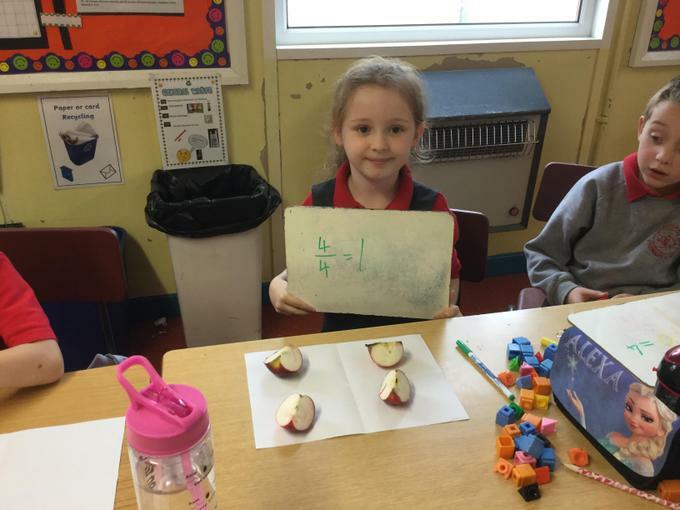 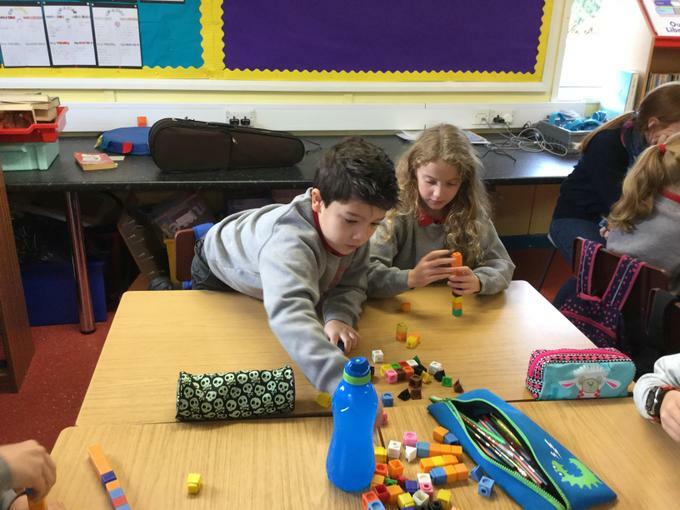 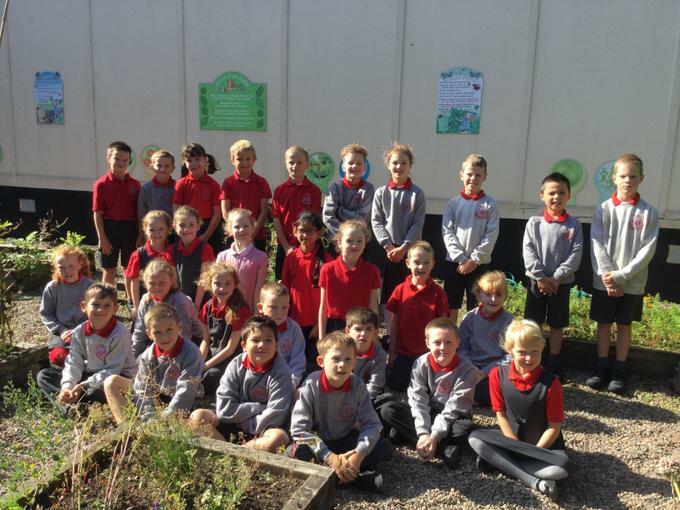 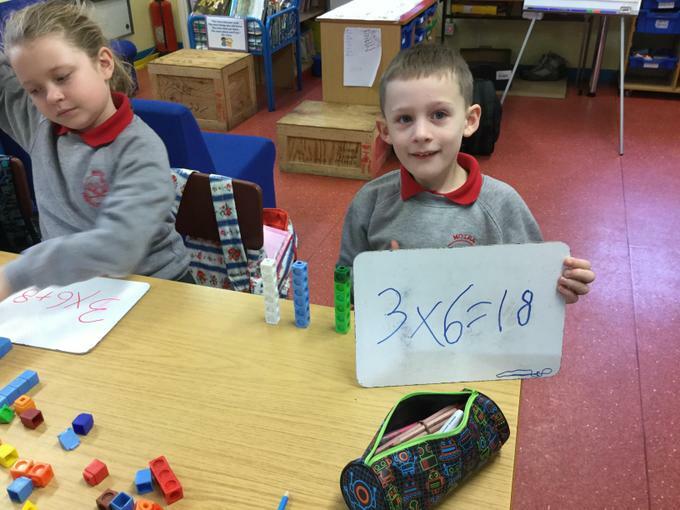 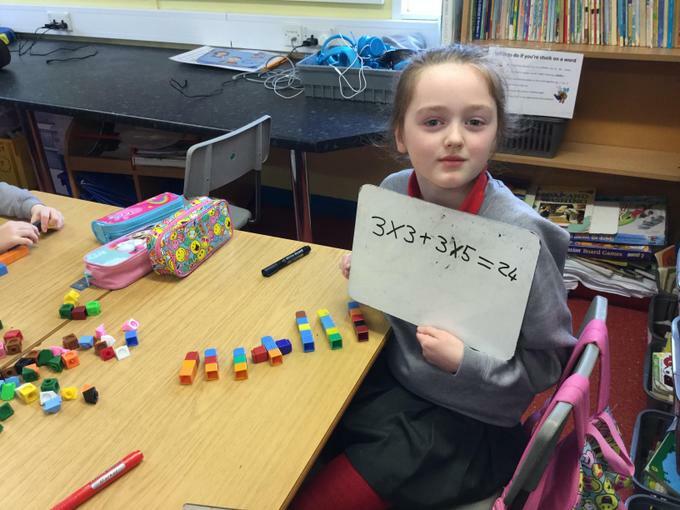 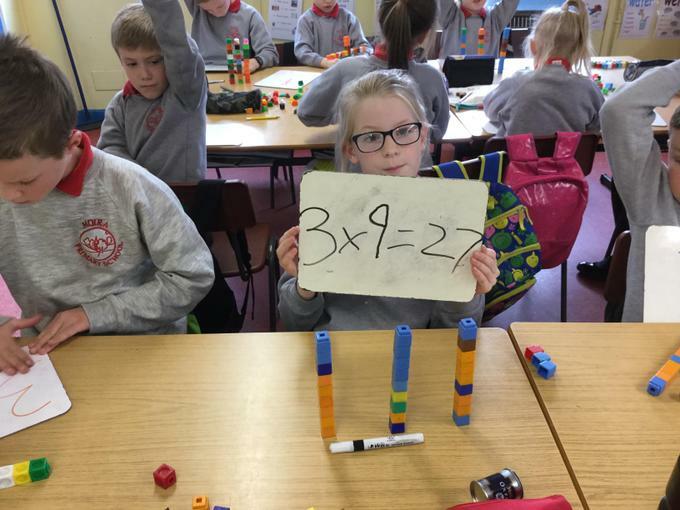 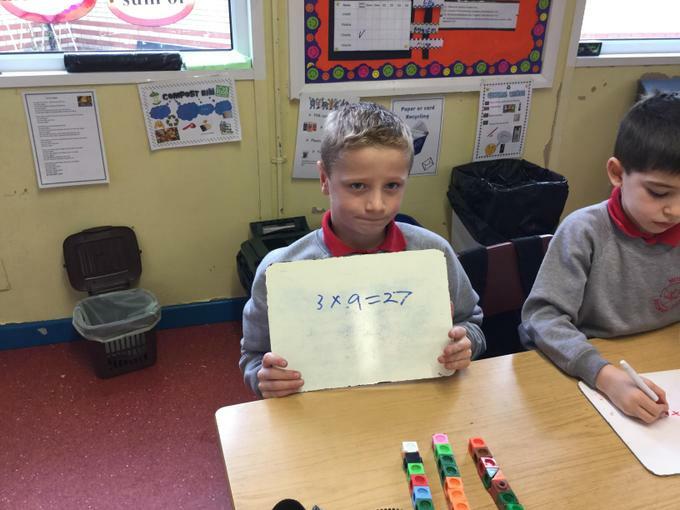 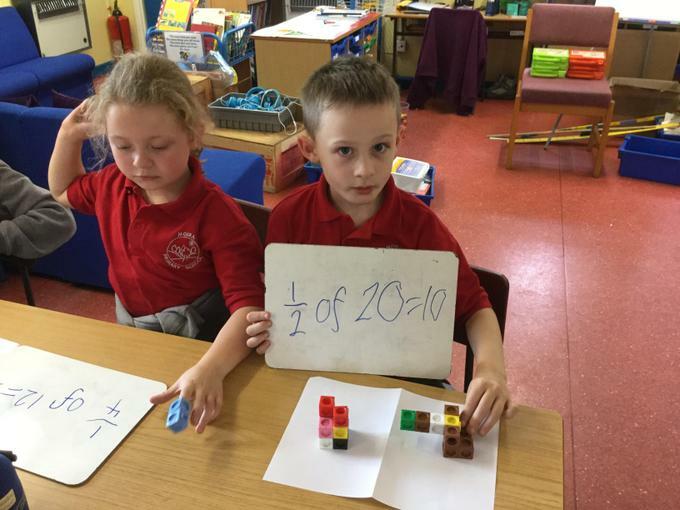 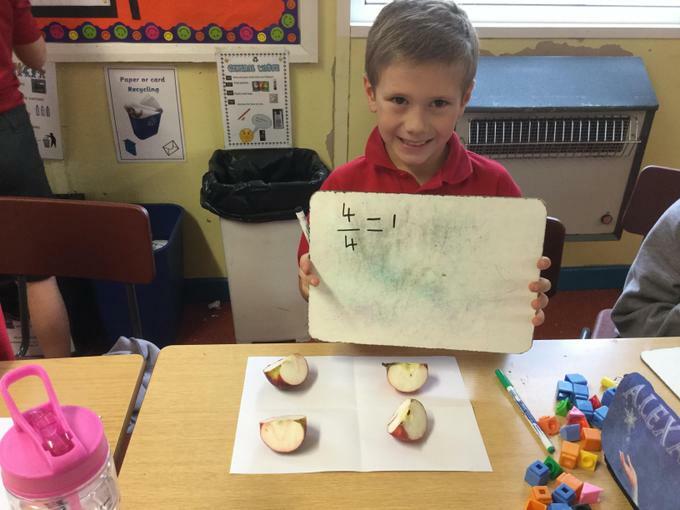 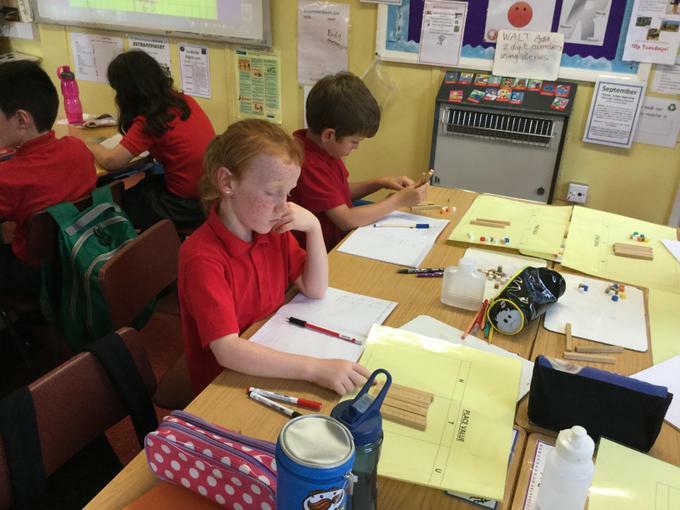 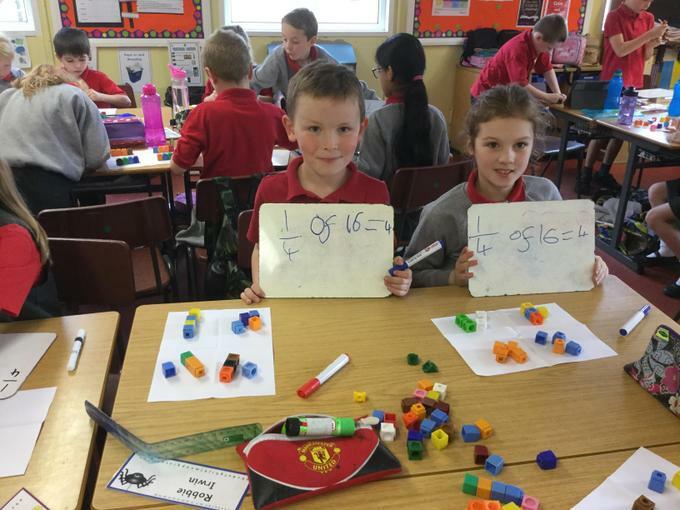 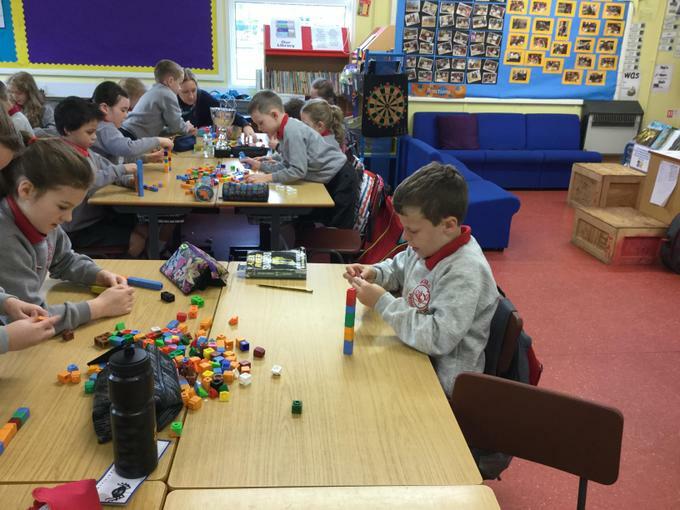 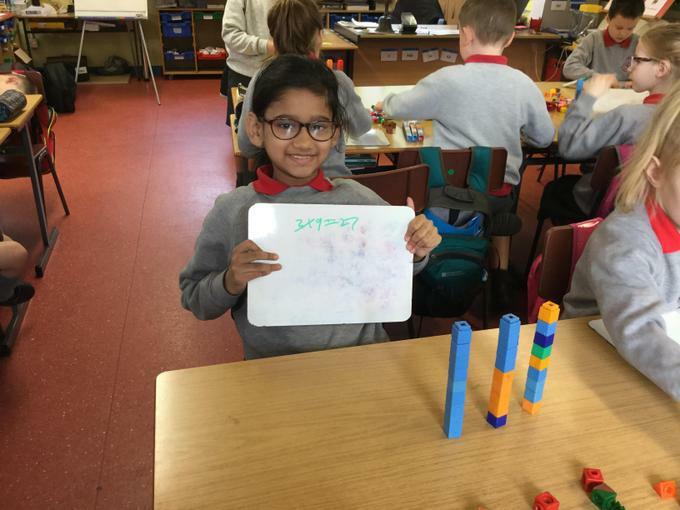 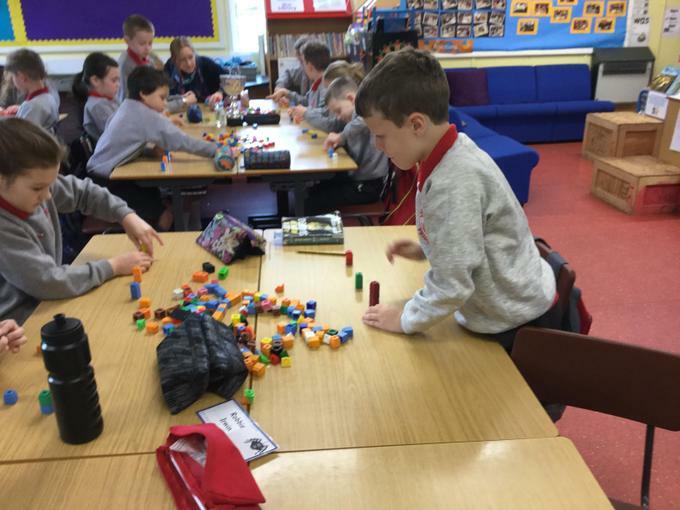 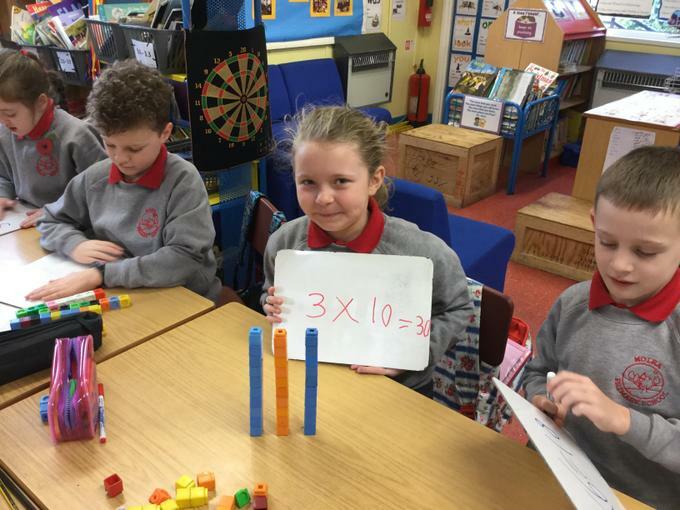 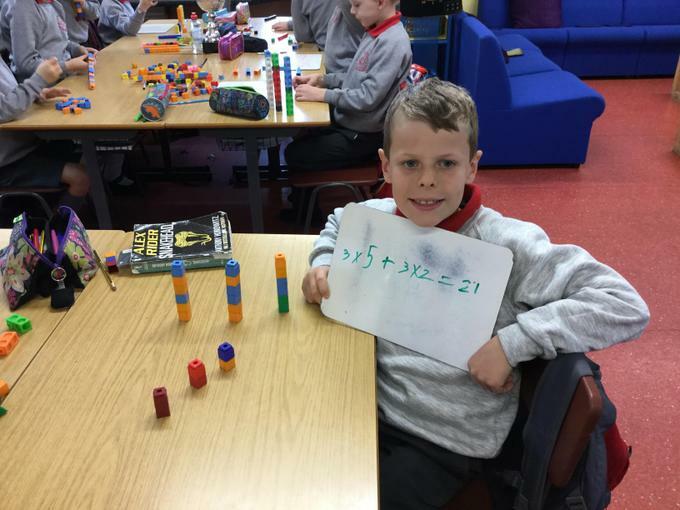 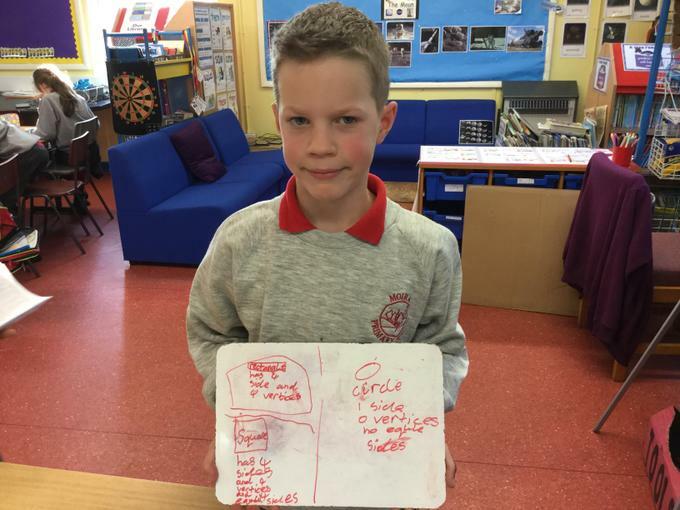 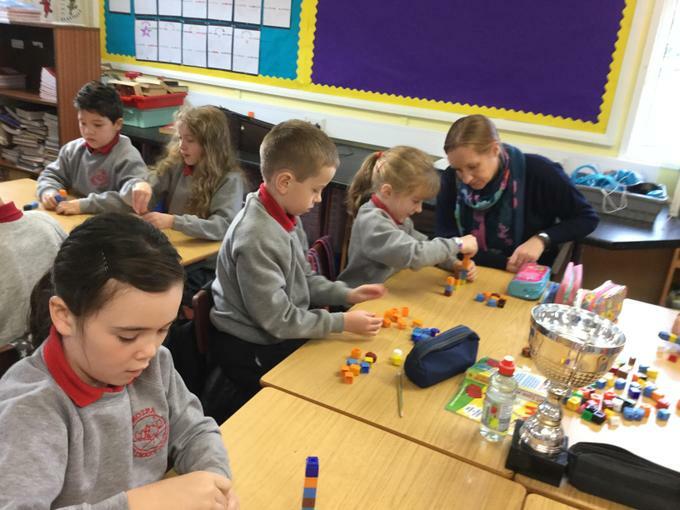 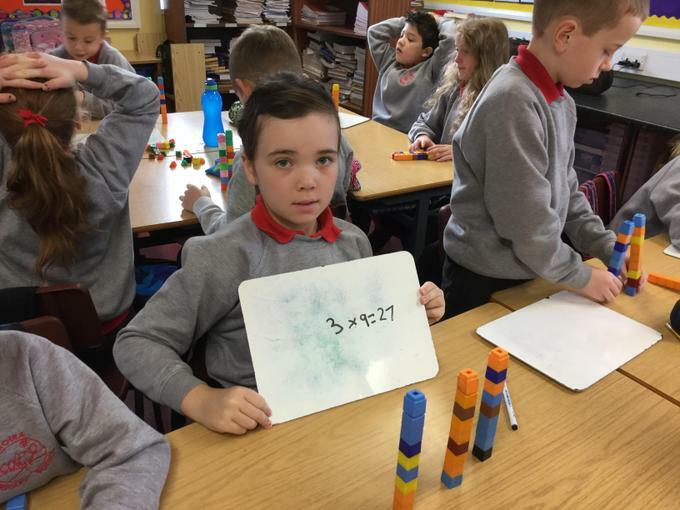 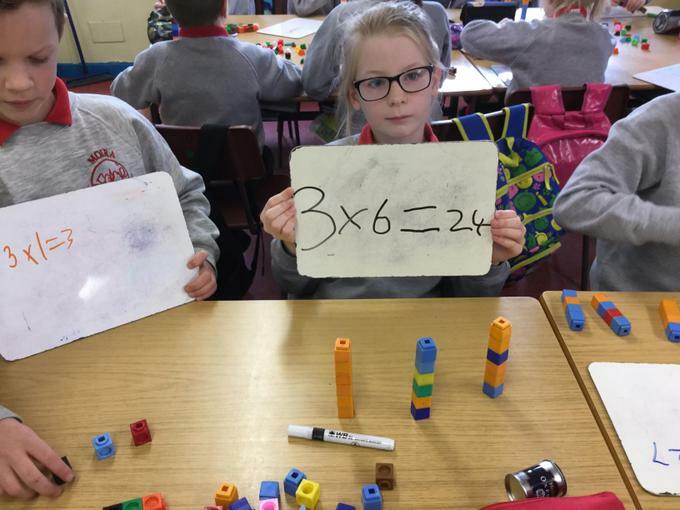 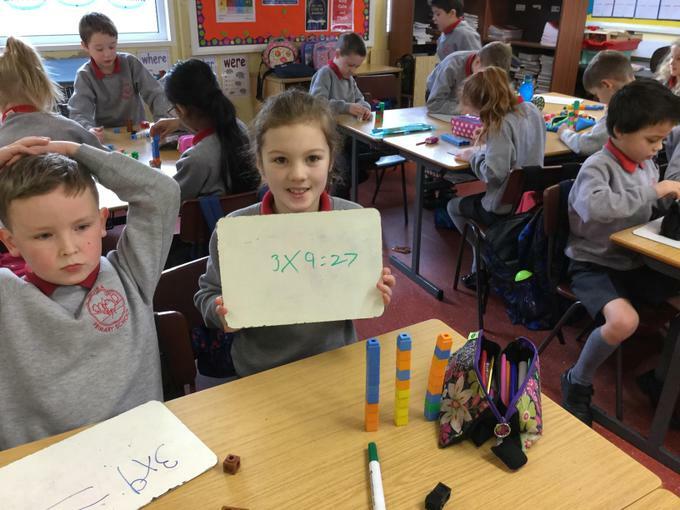 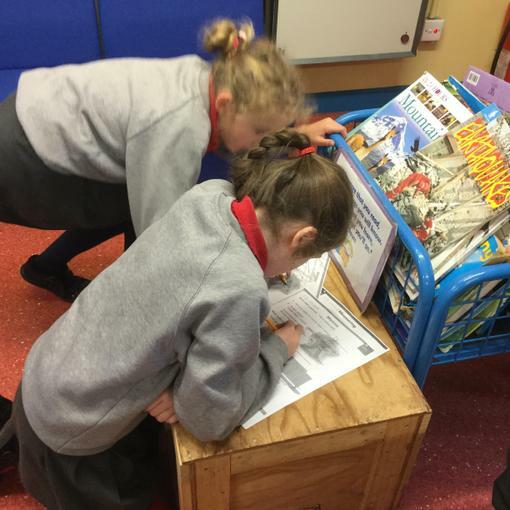 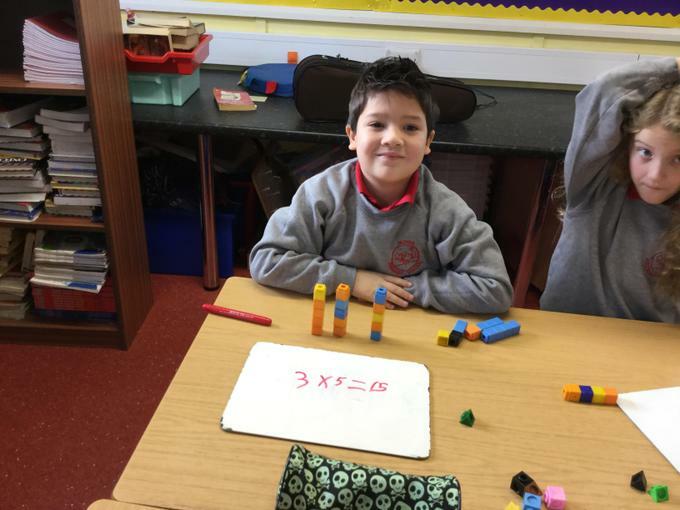 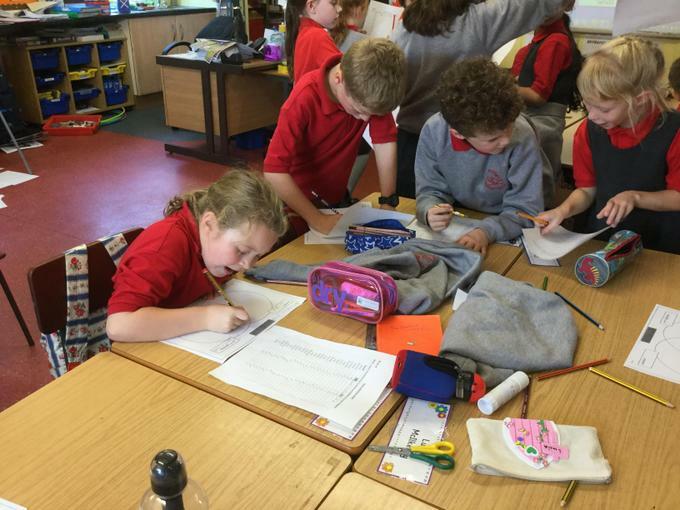 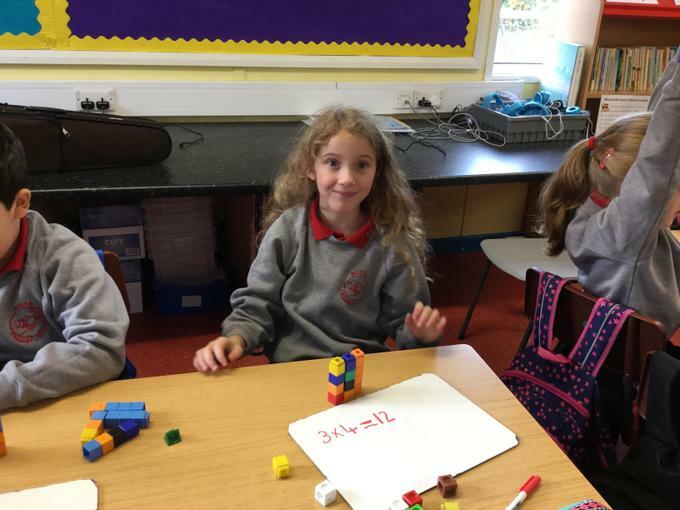 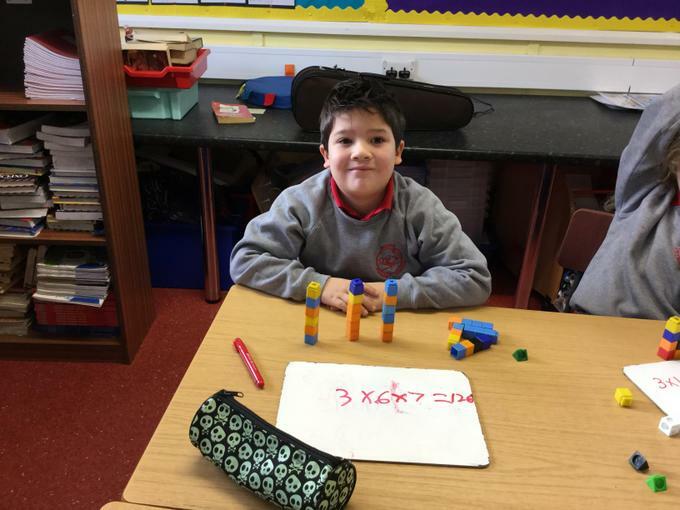 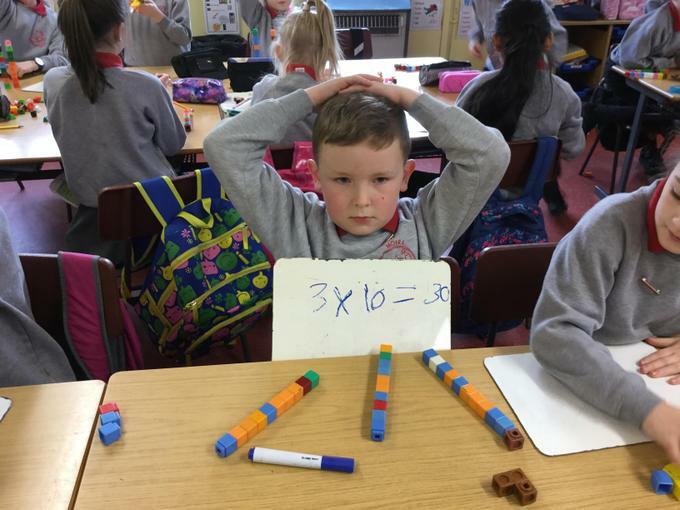 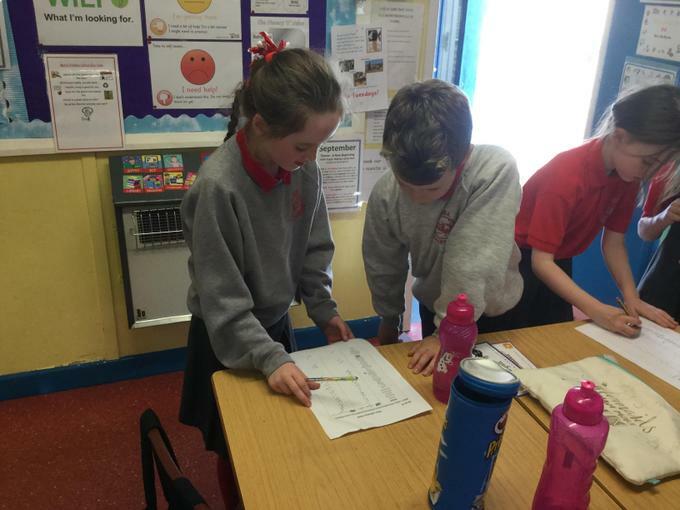 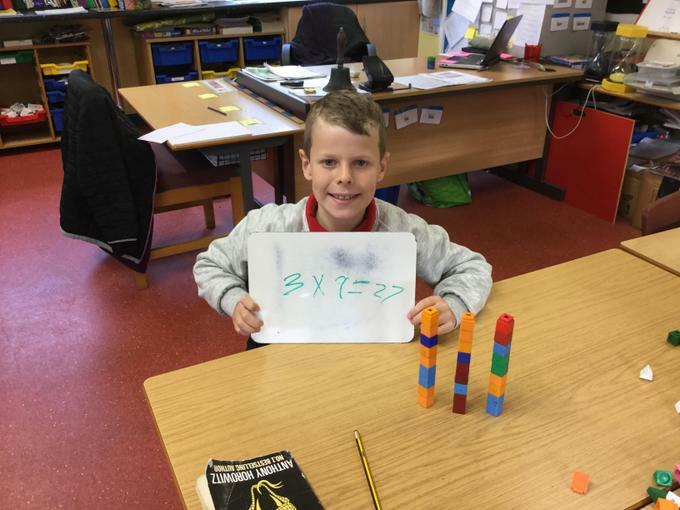 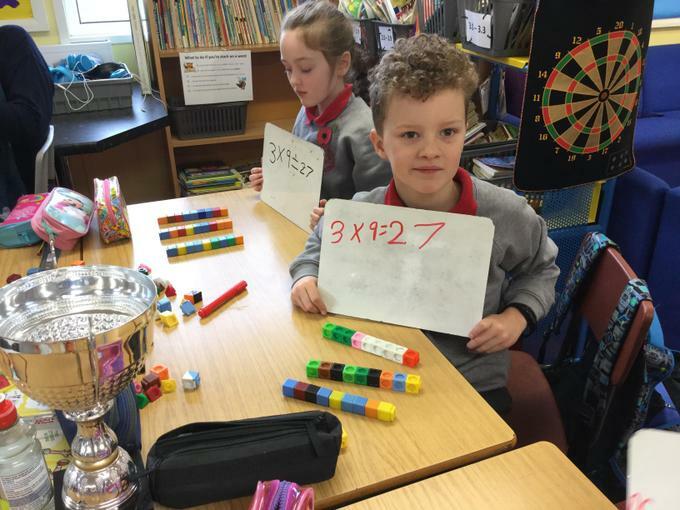 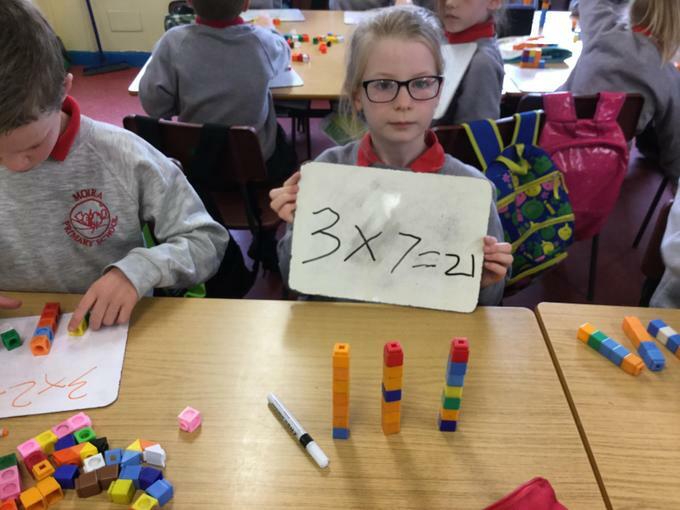 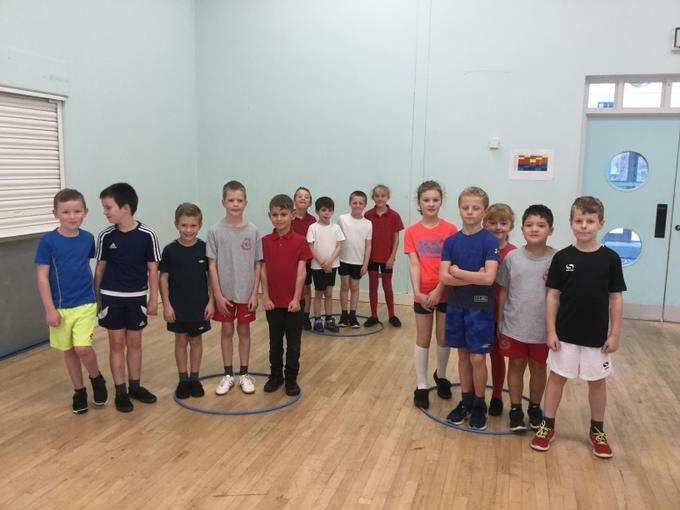 We have been learning our times tables. 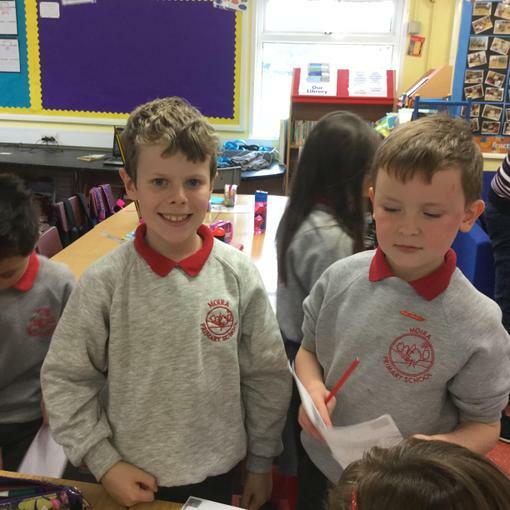 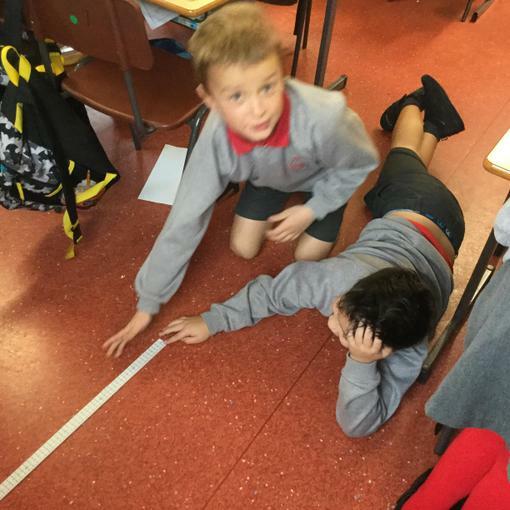 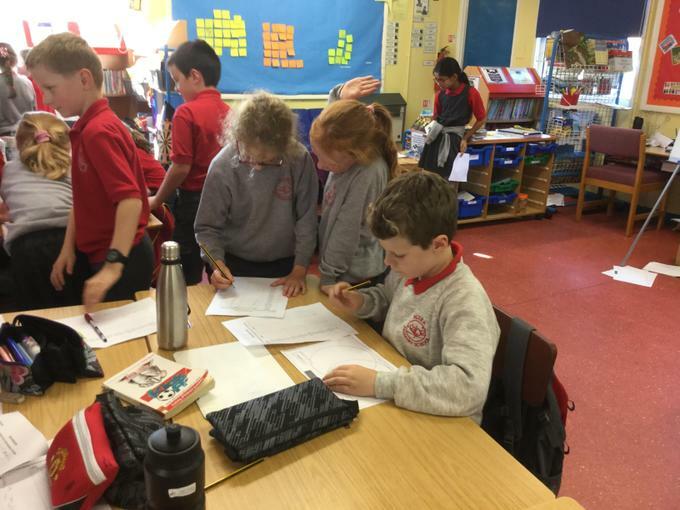 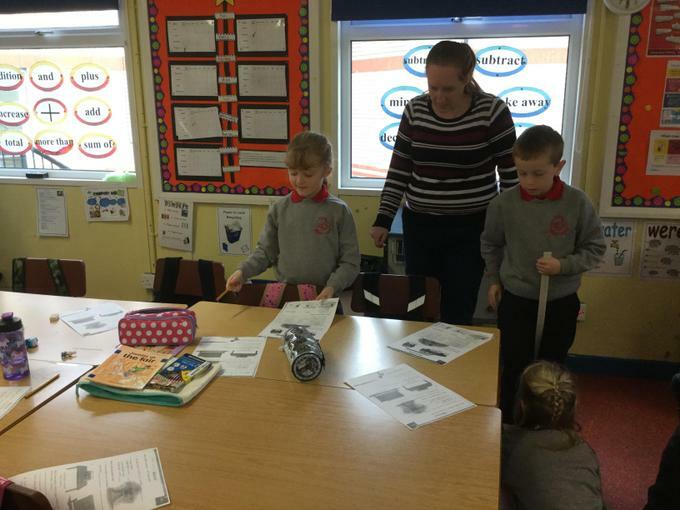 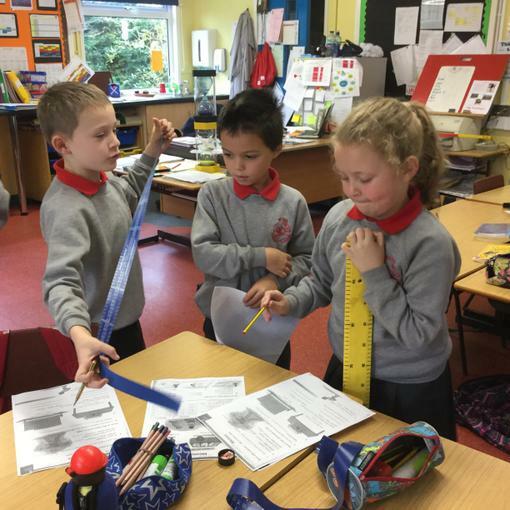 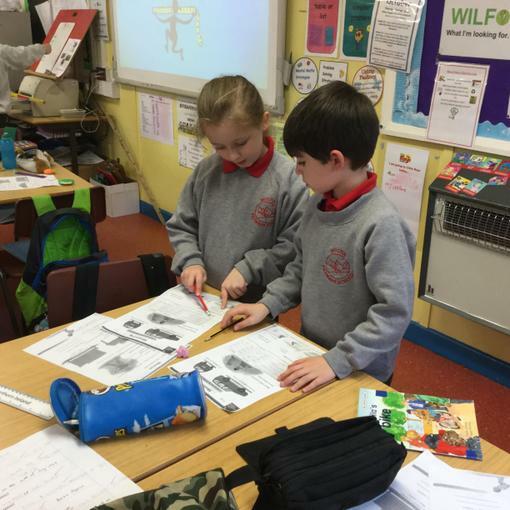 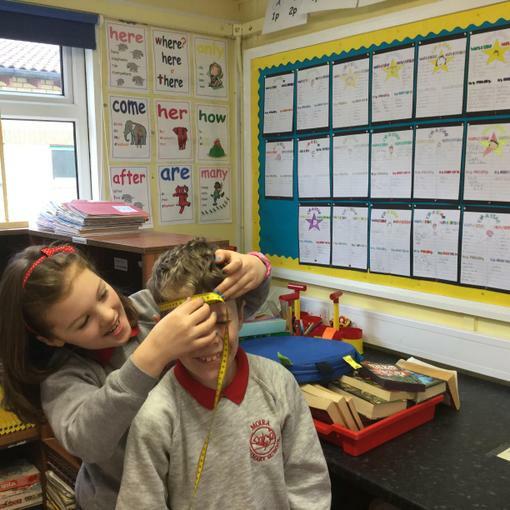 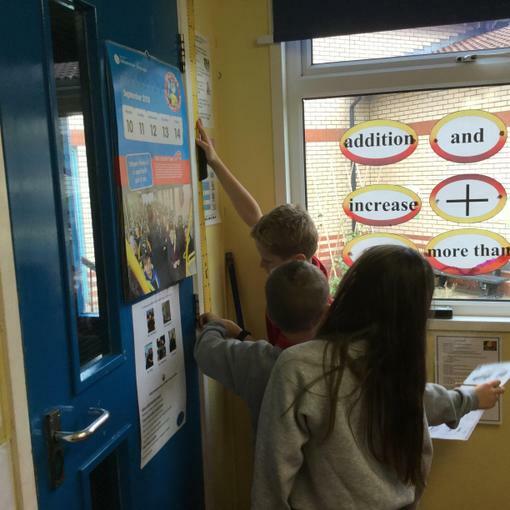 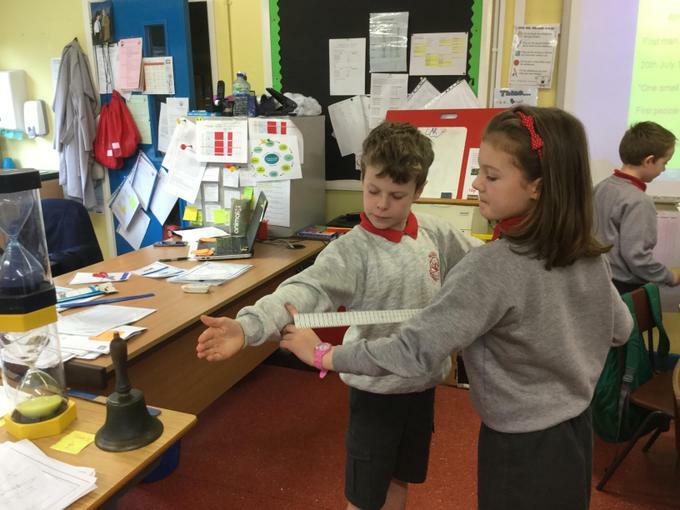 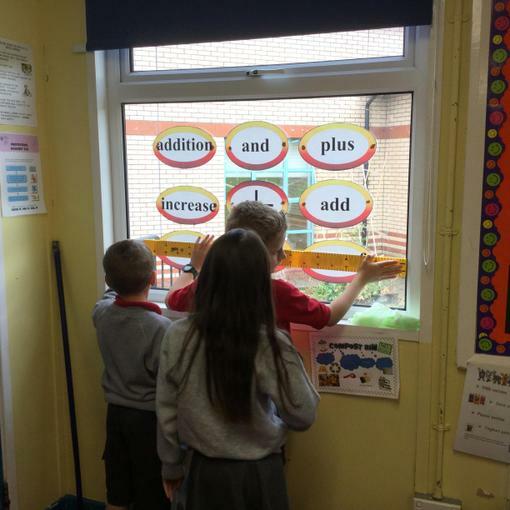 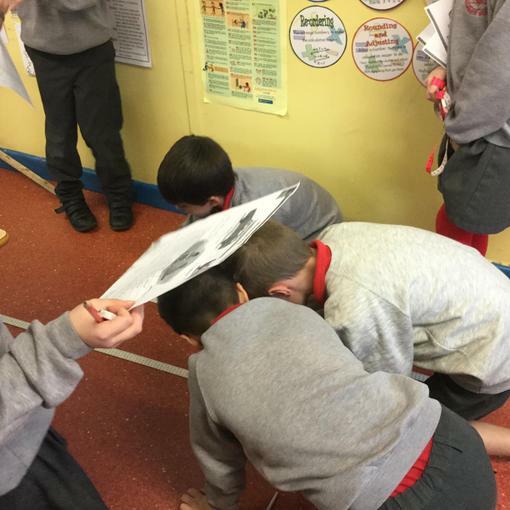 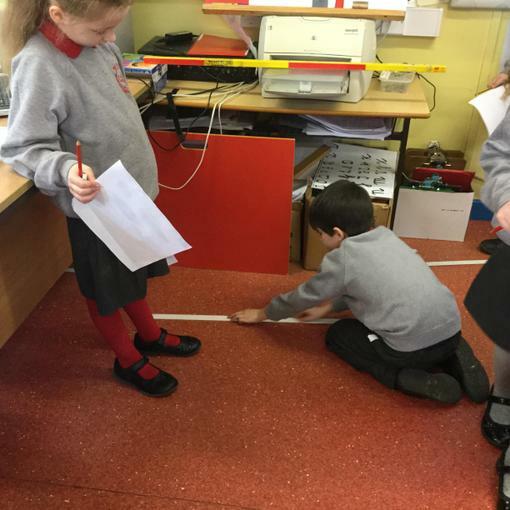 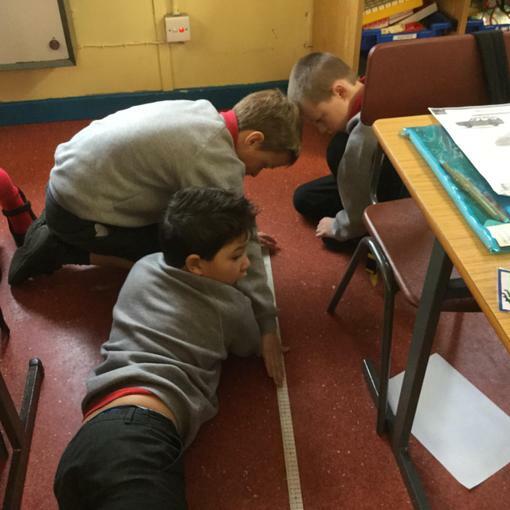 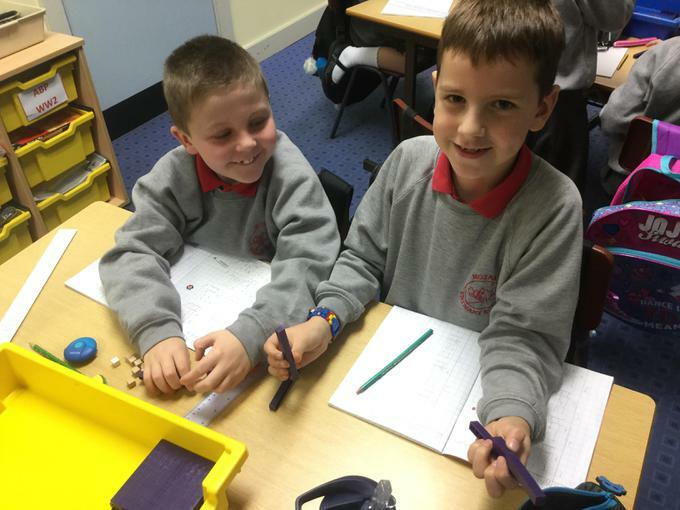 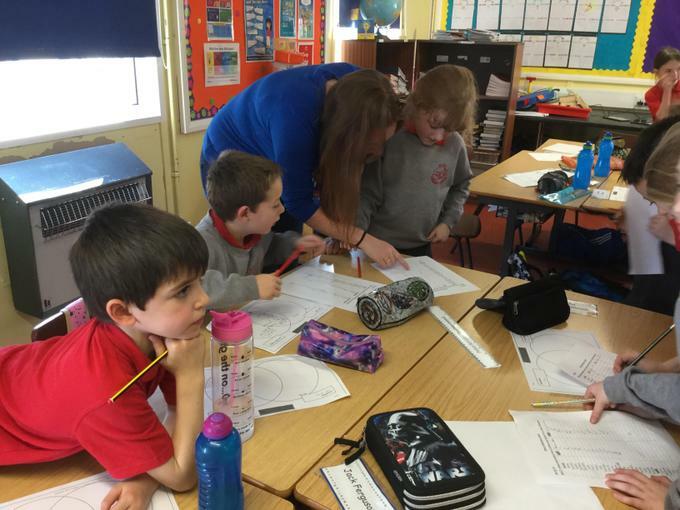 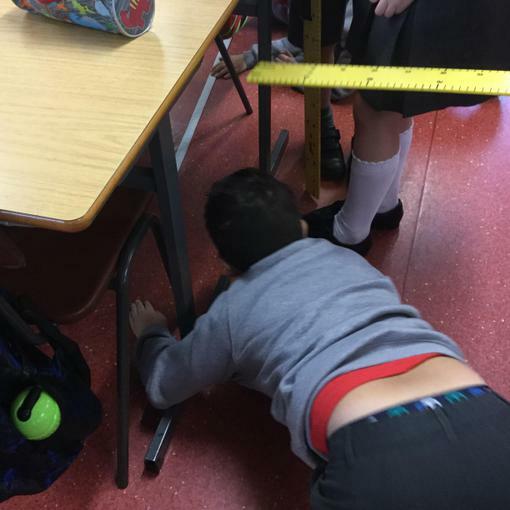 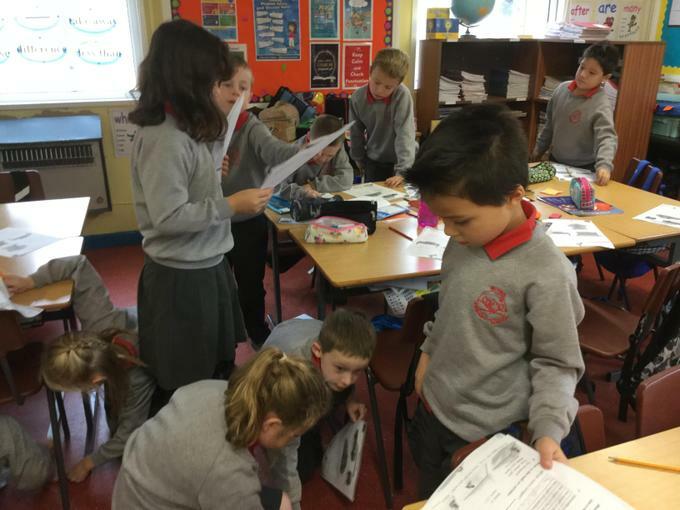 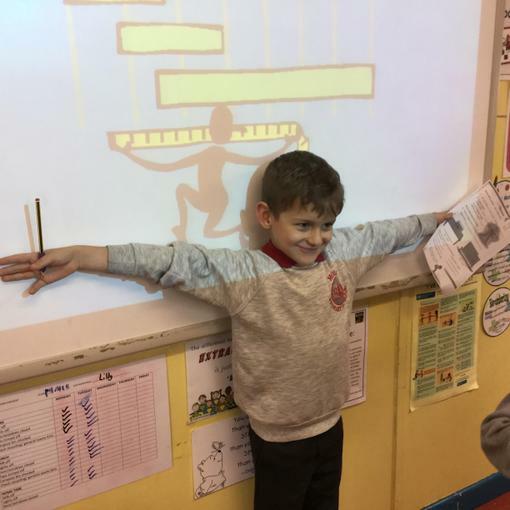 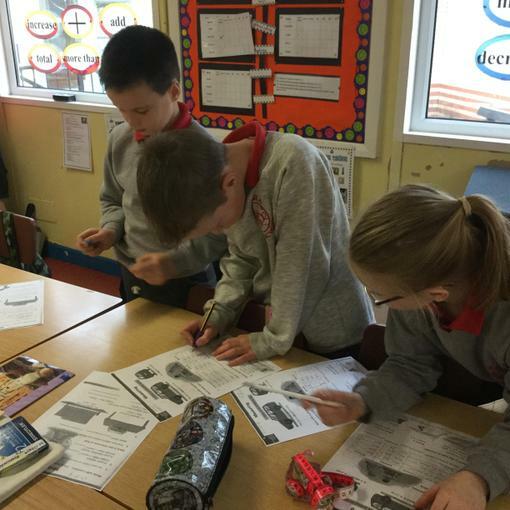 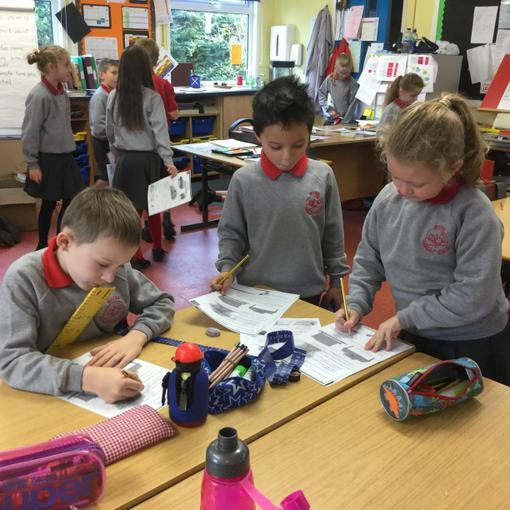 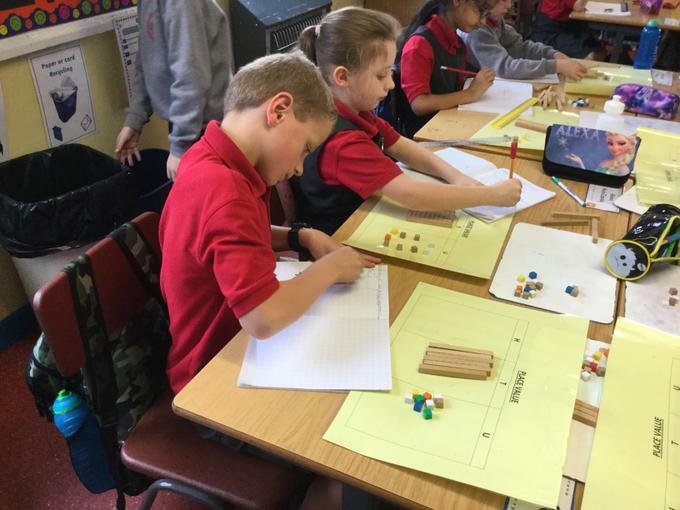 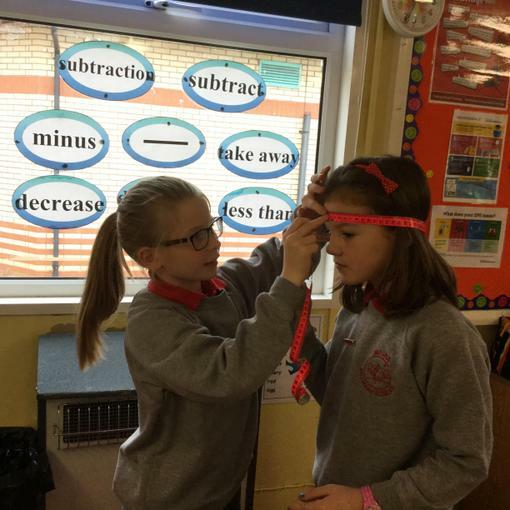 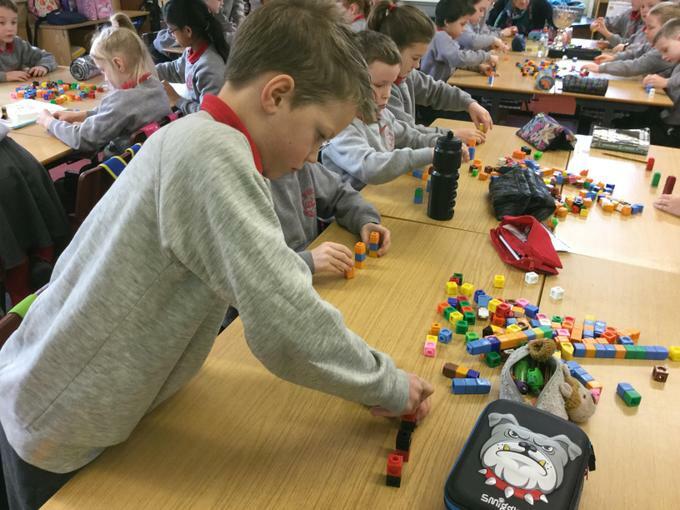 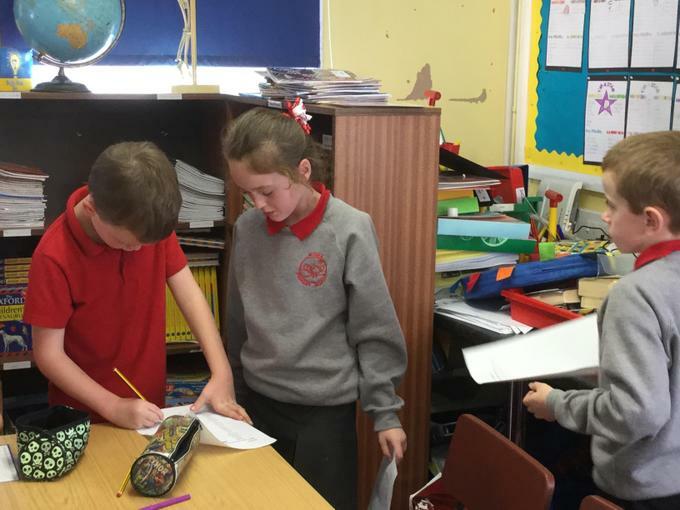 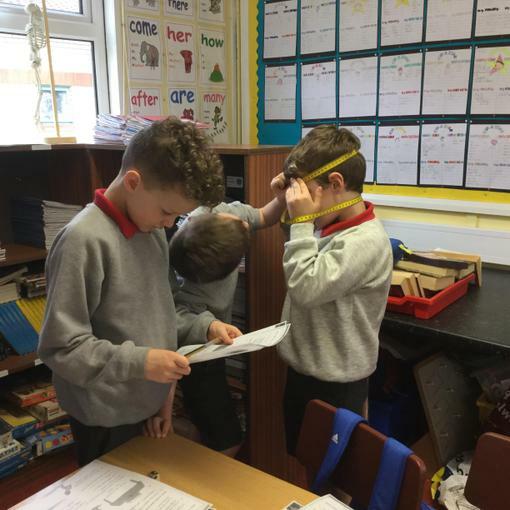 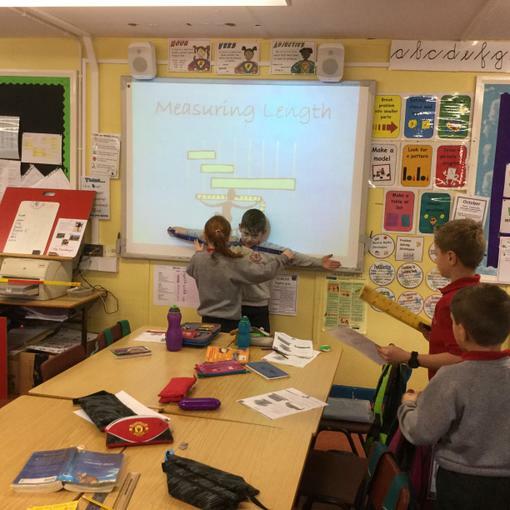 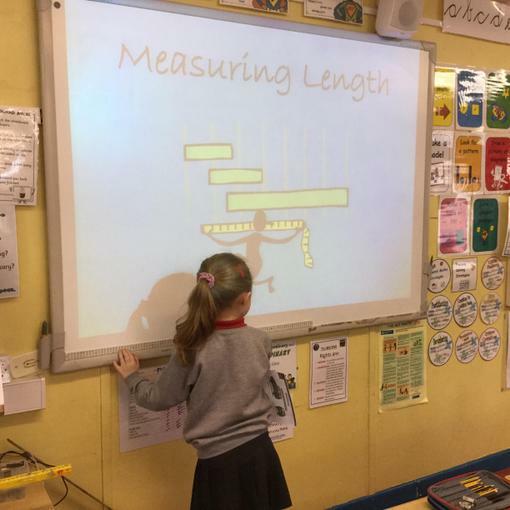 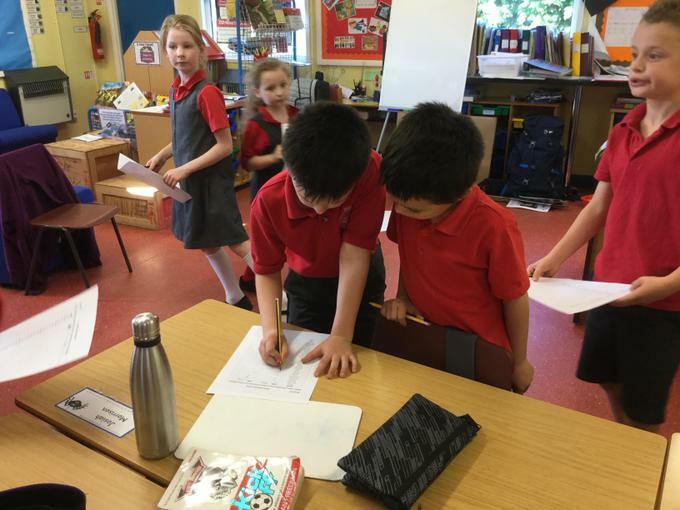 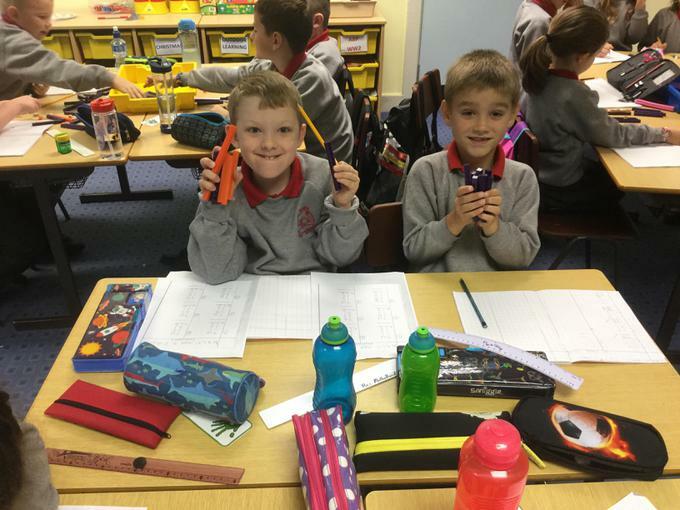 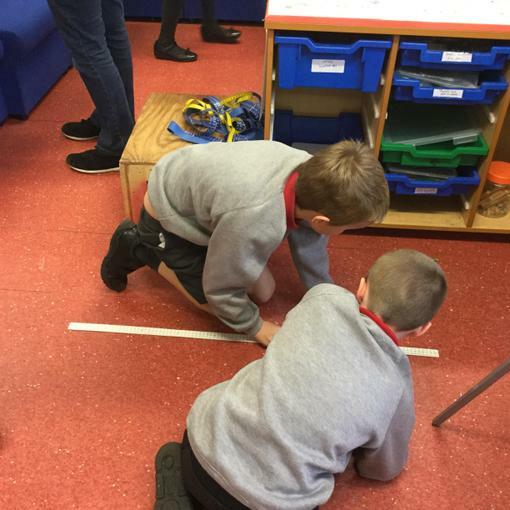 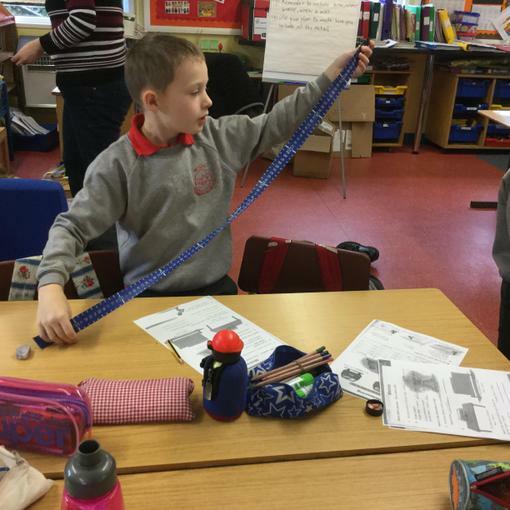 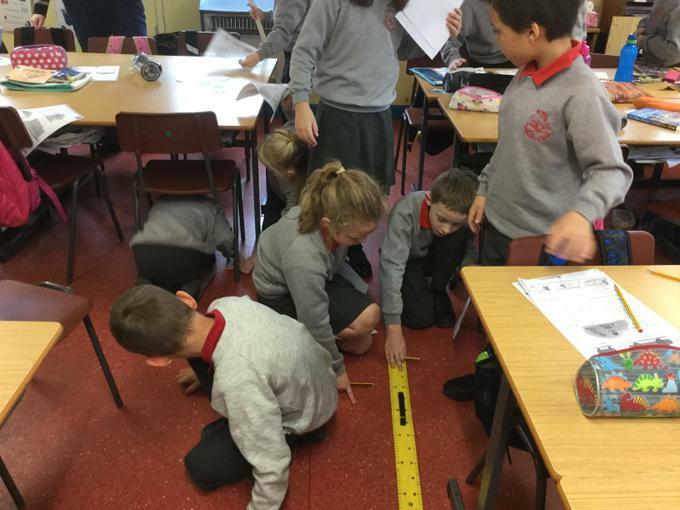 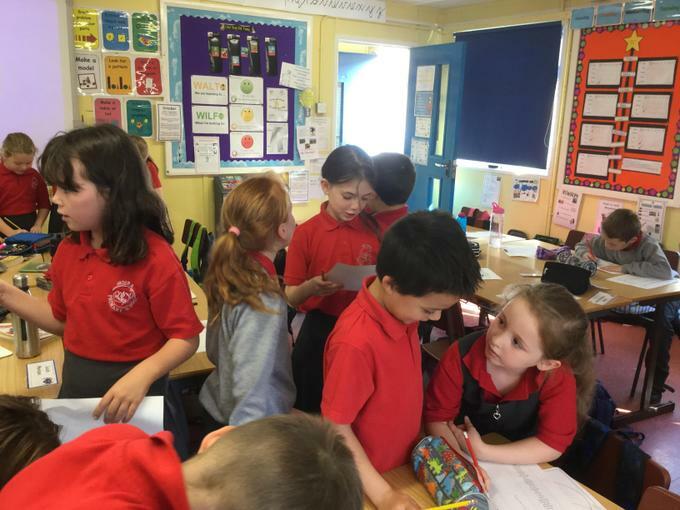 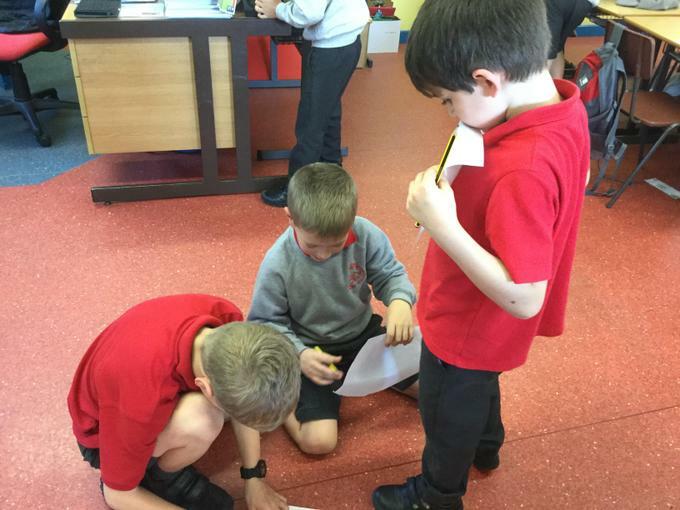 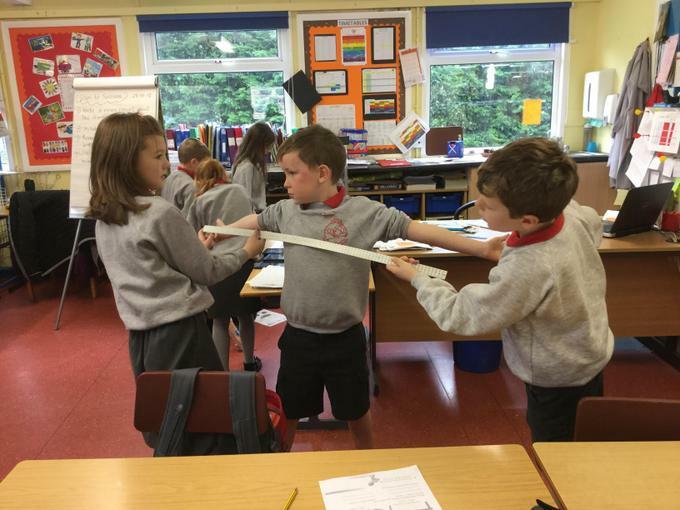 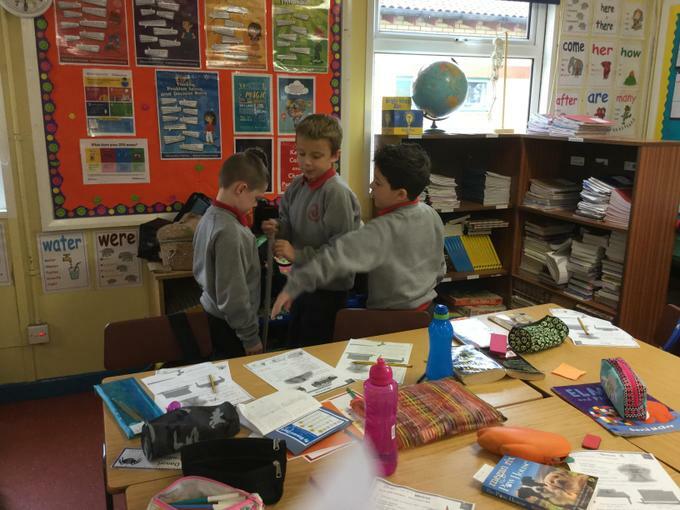 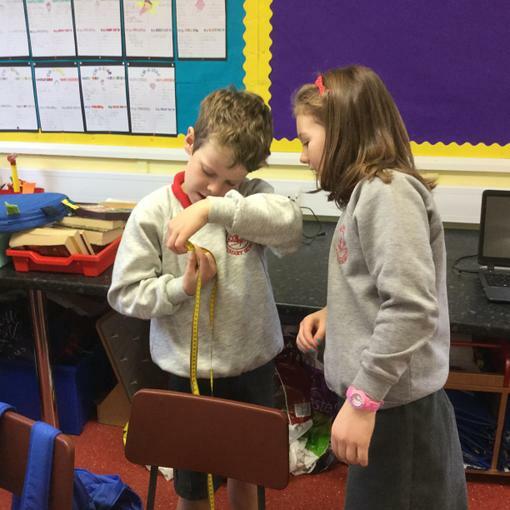 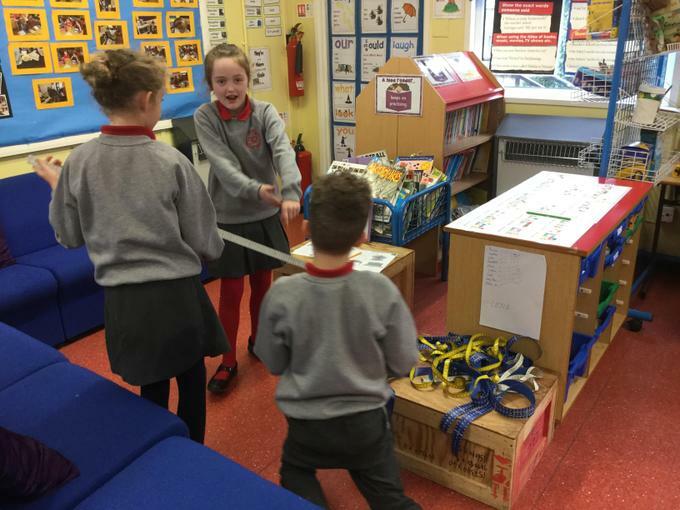 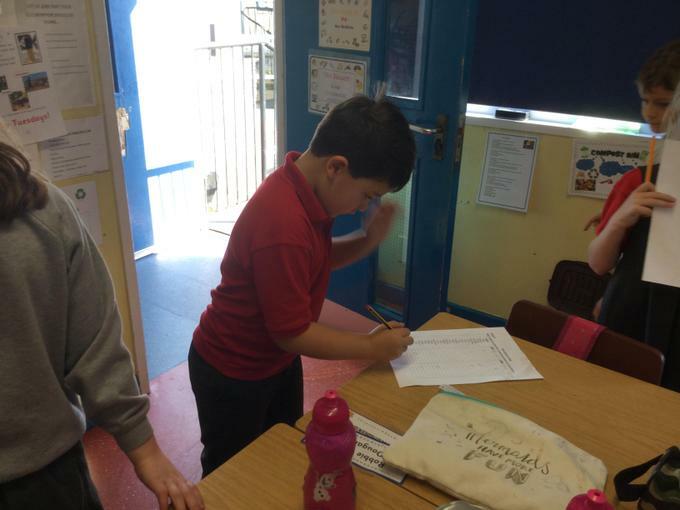 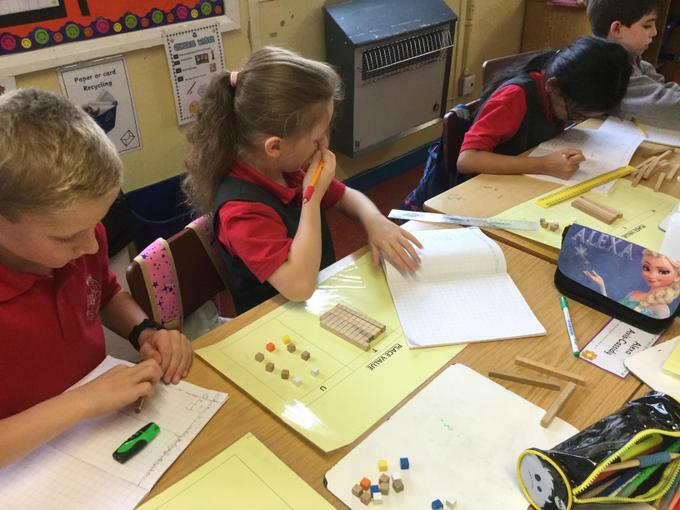 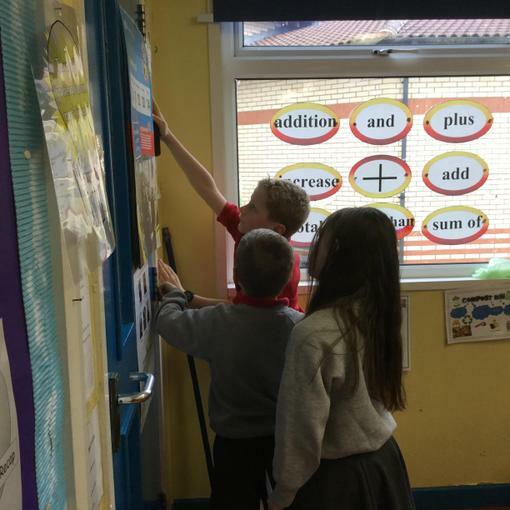 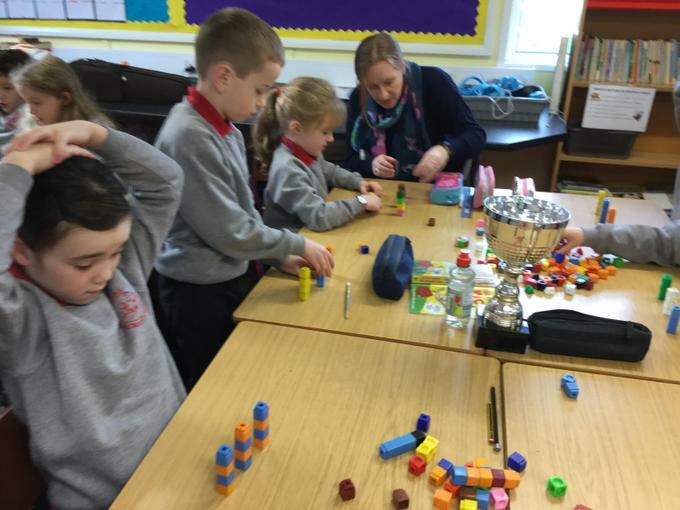 Measurement - we had great fun measuring in centimetres and metres. 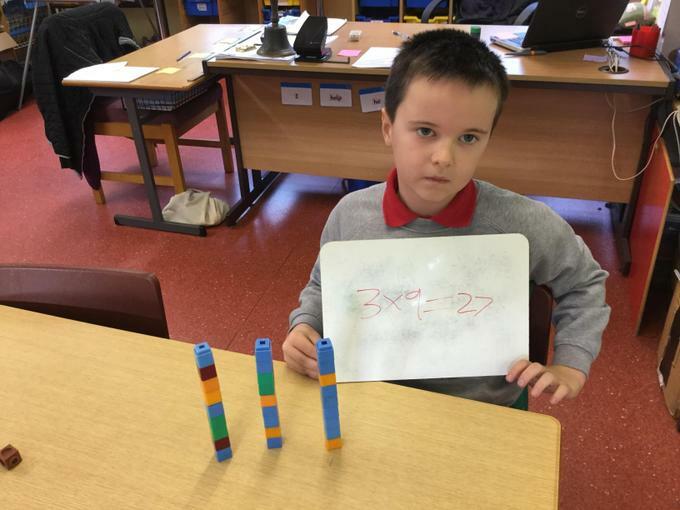 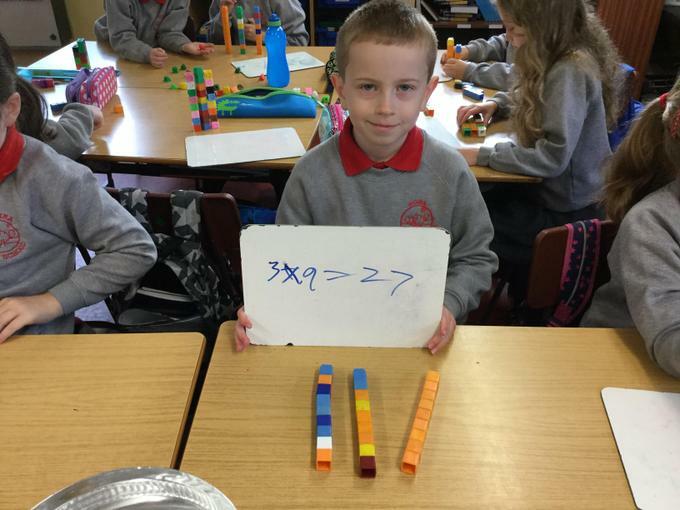 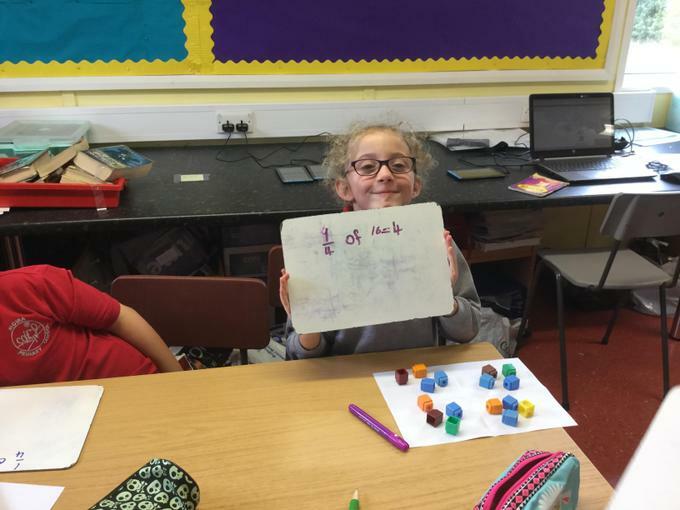 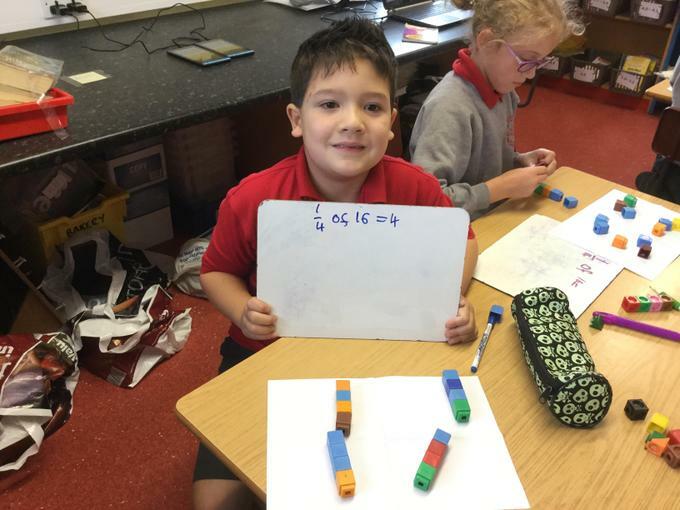 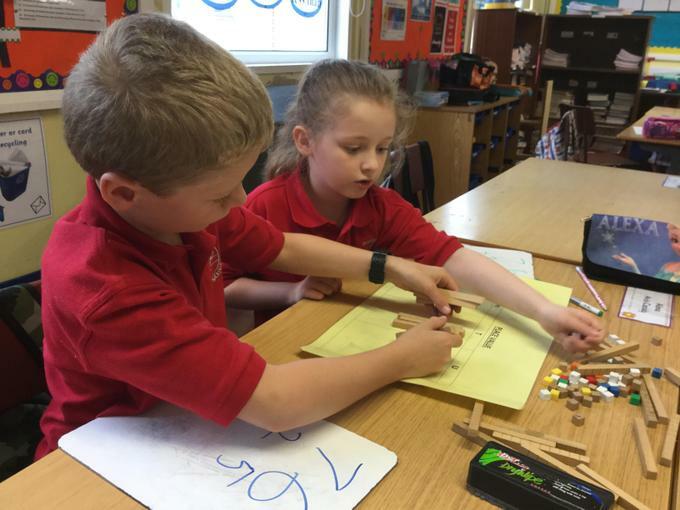 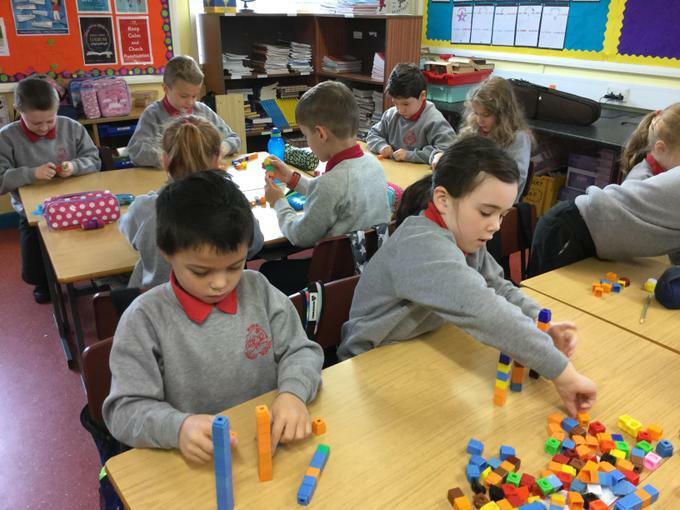 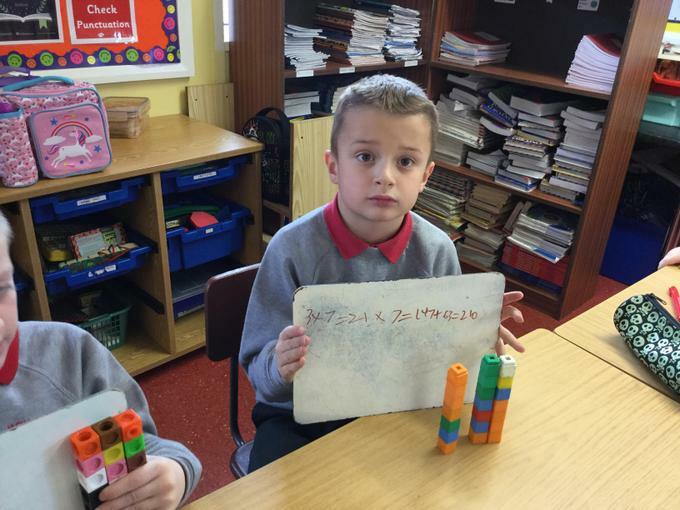 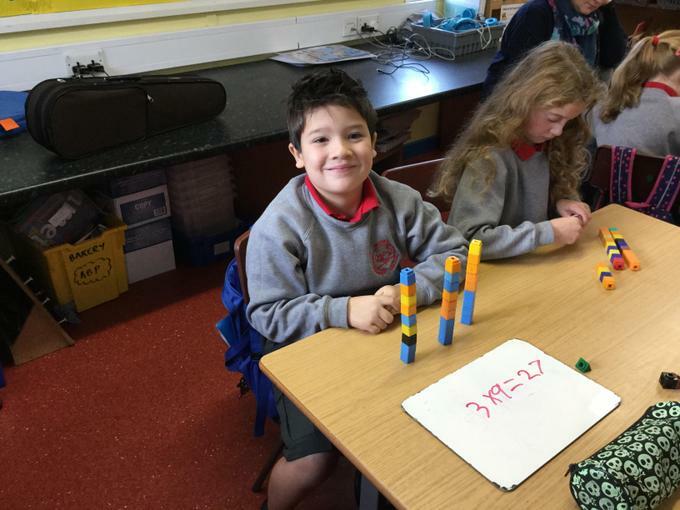 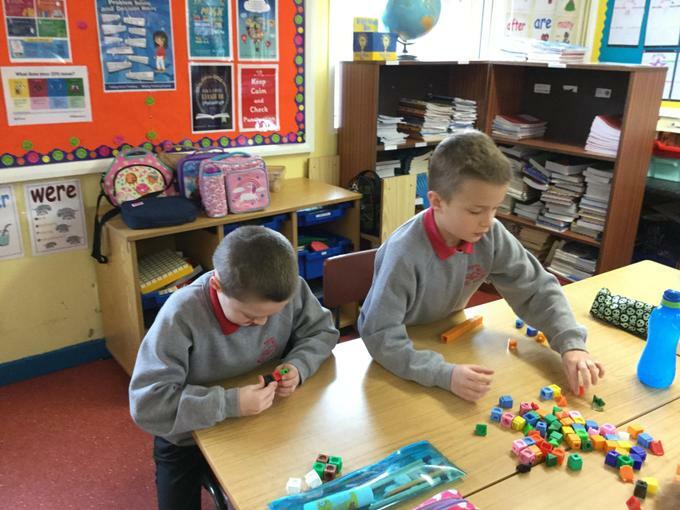 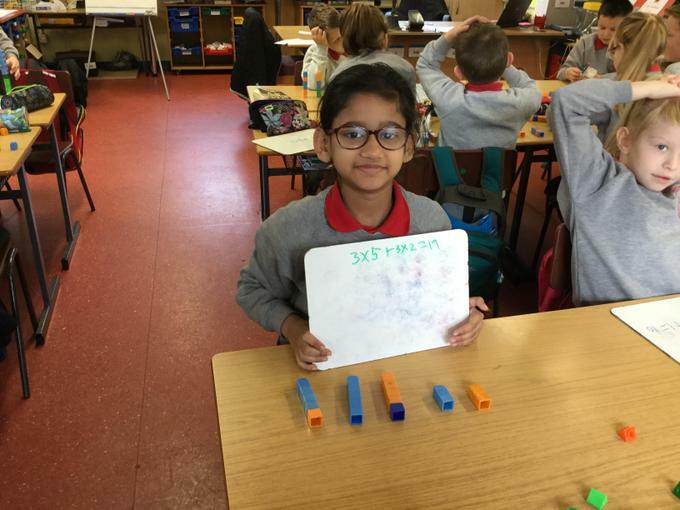 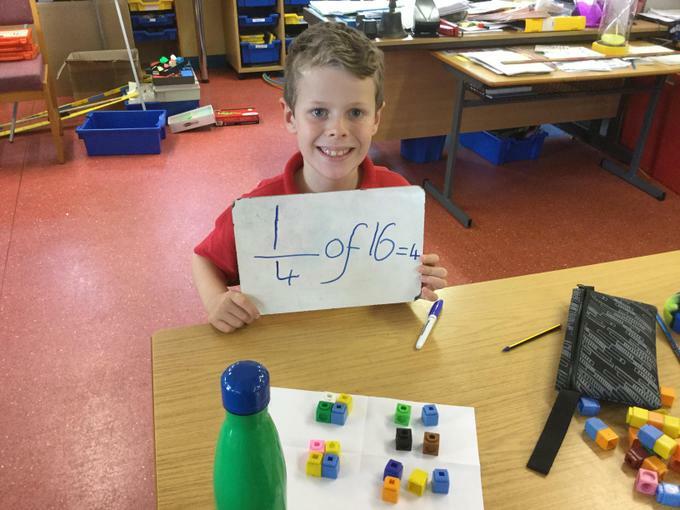 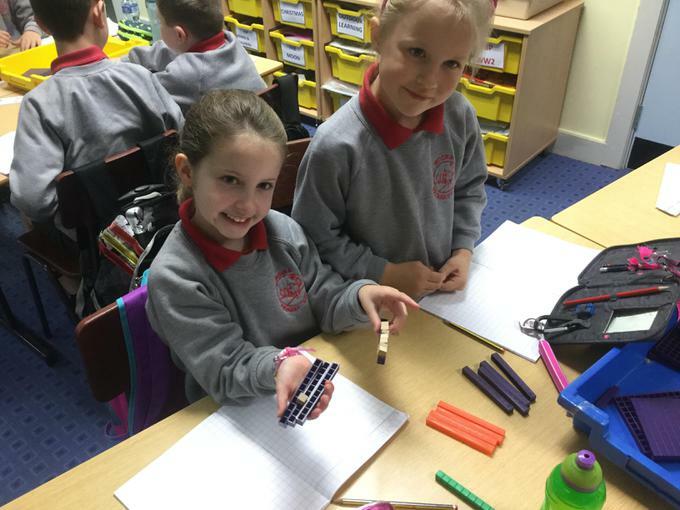 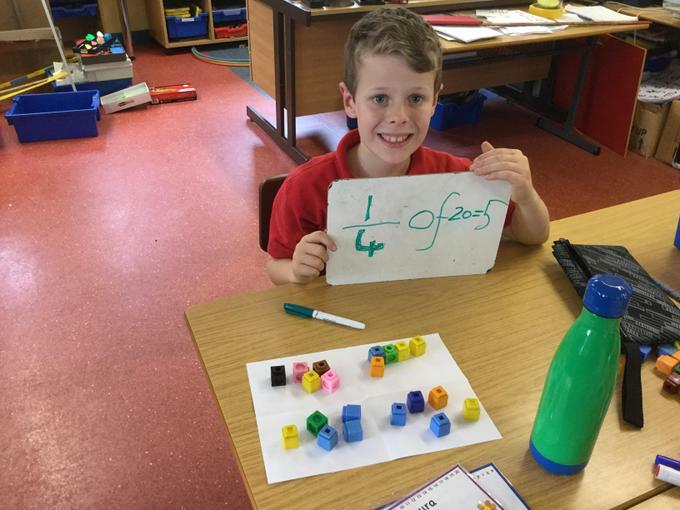 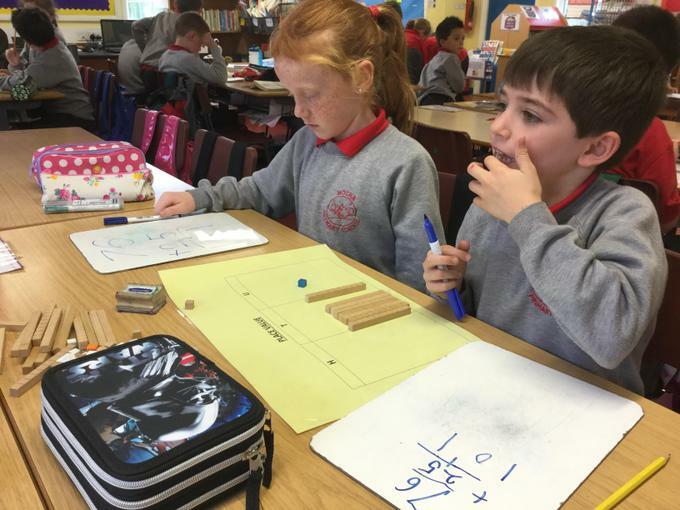 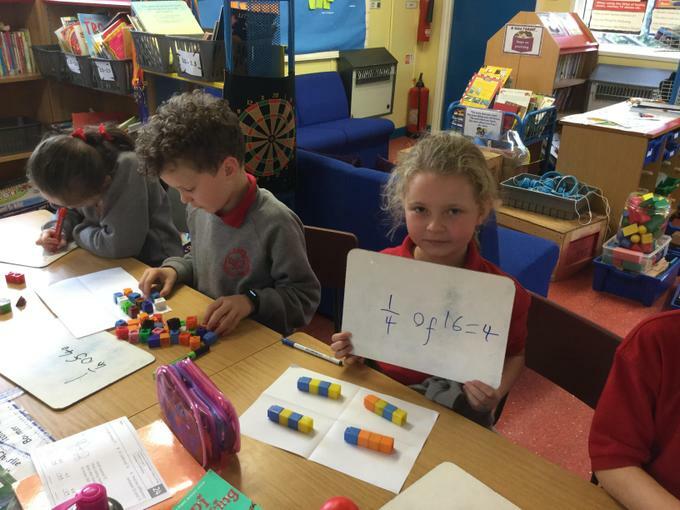 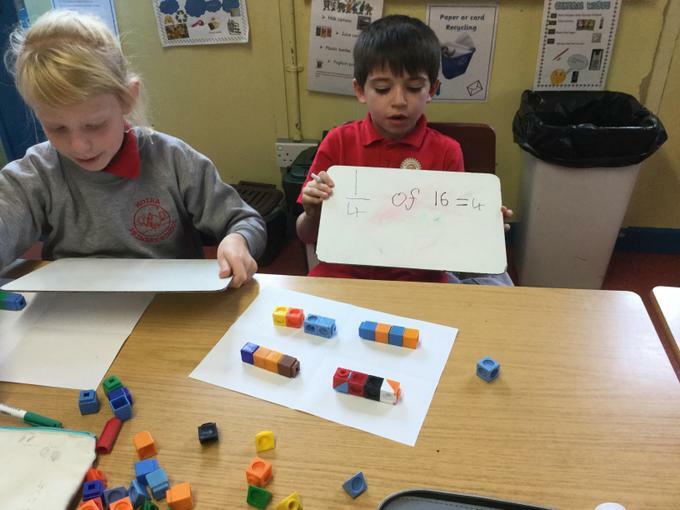 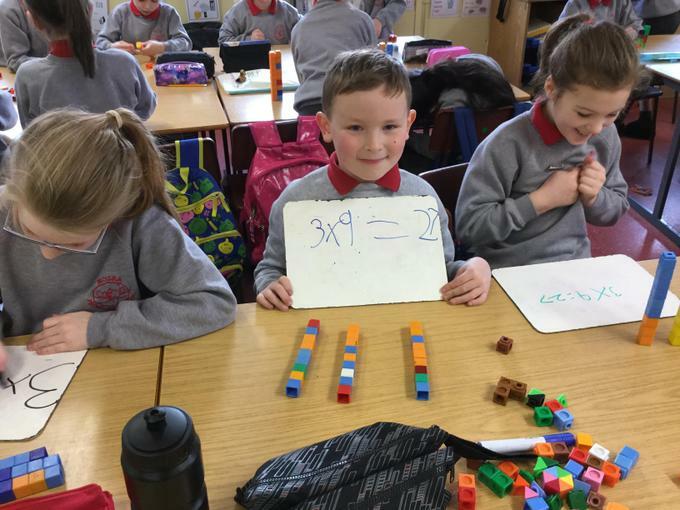 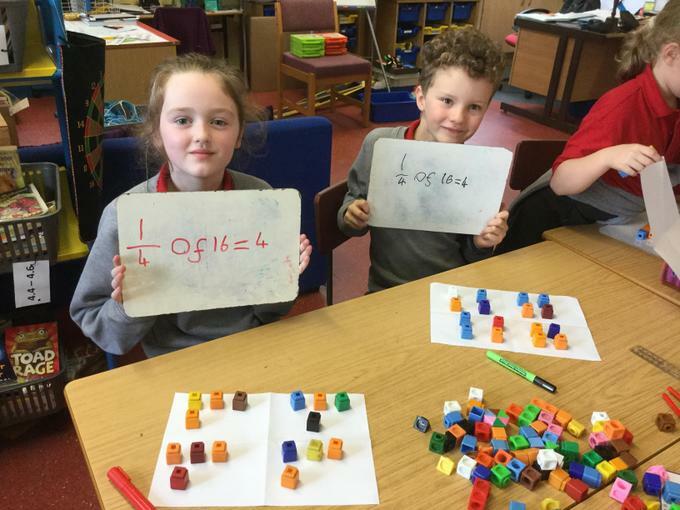 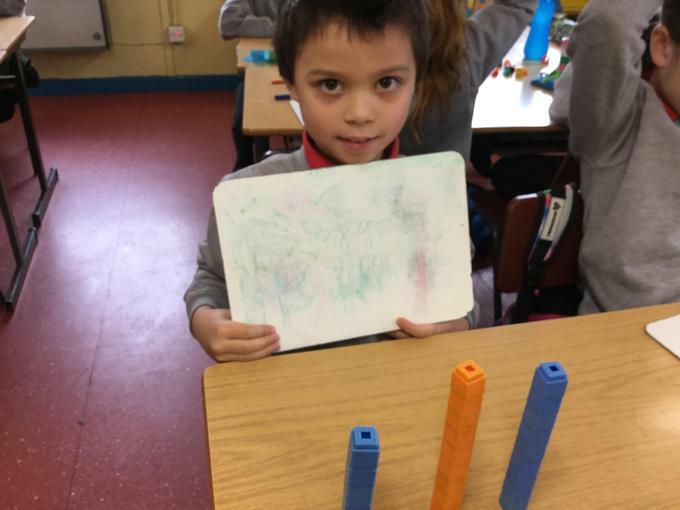 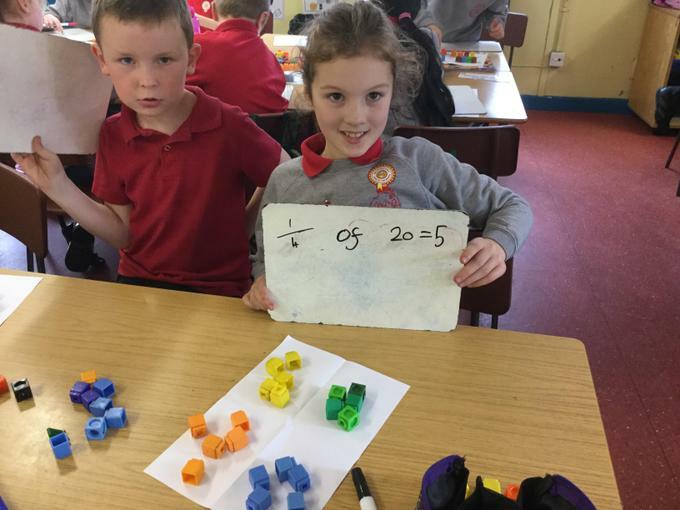 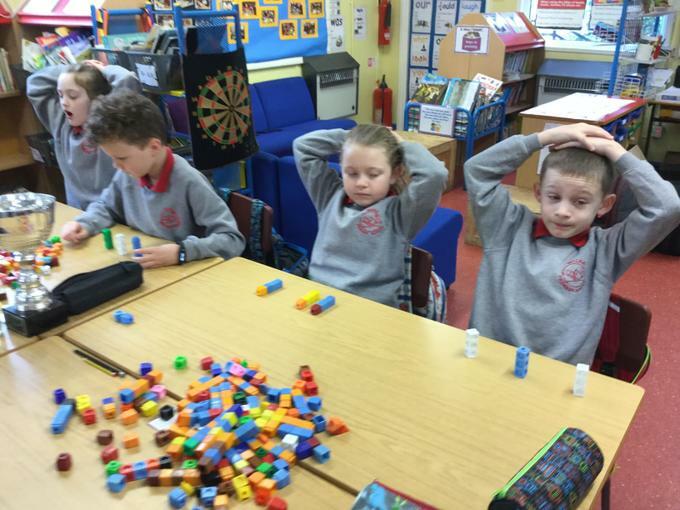 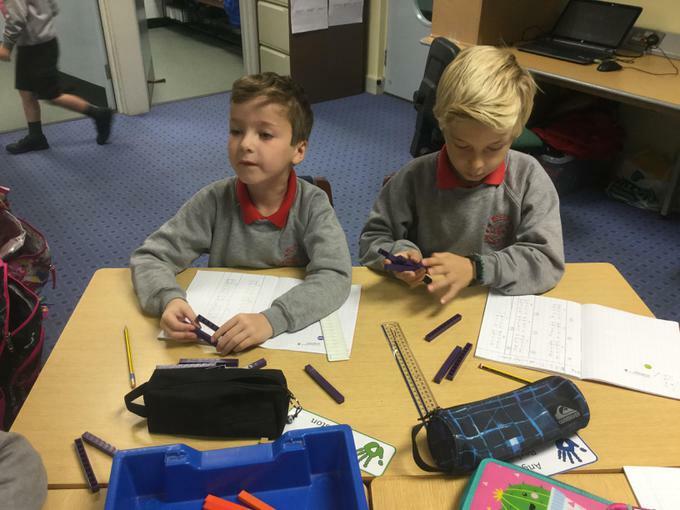 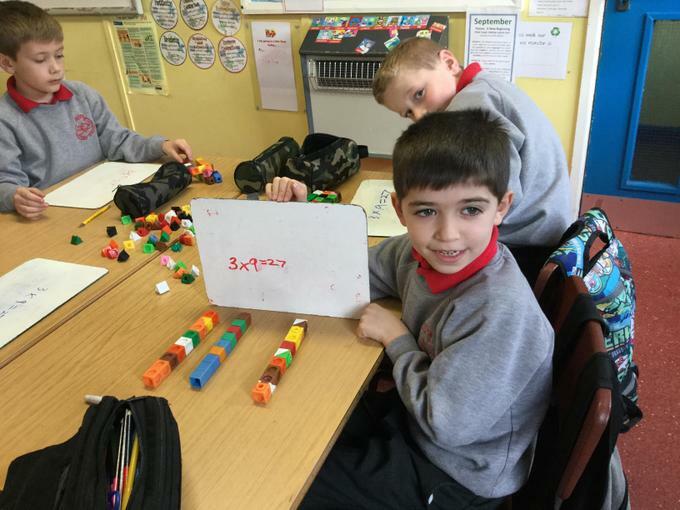 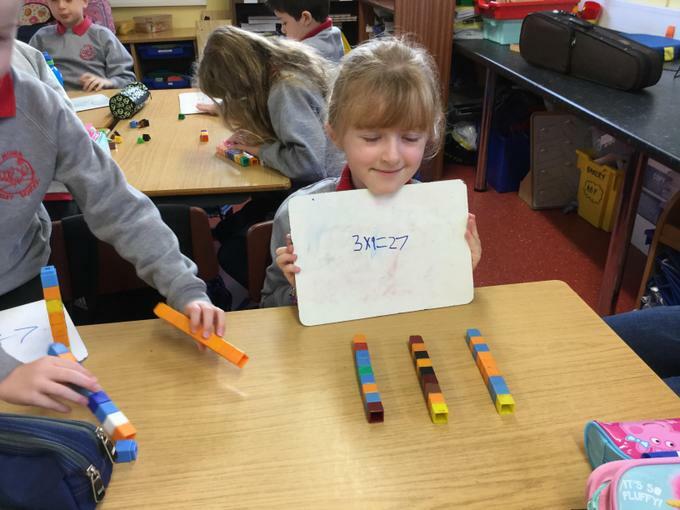 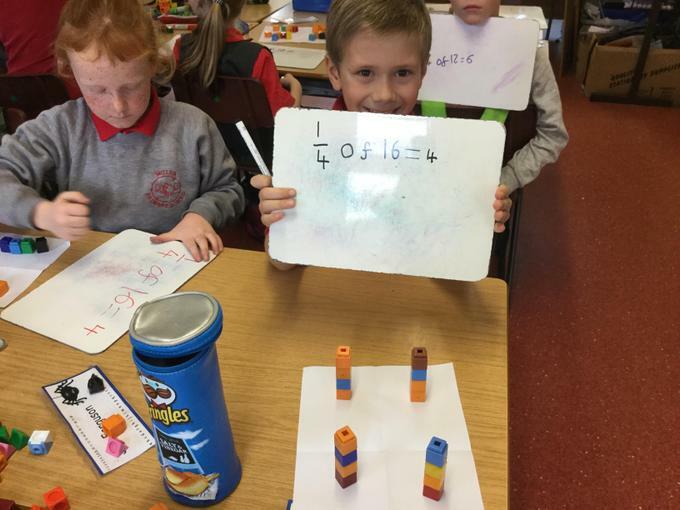 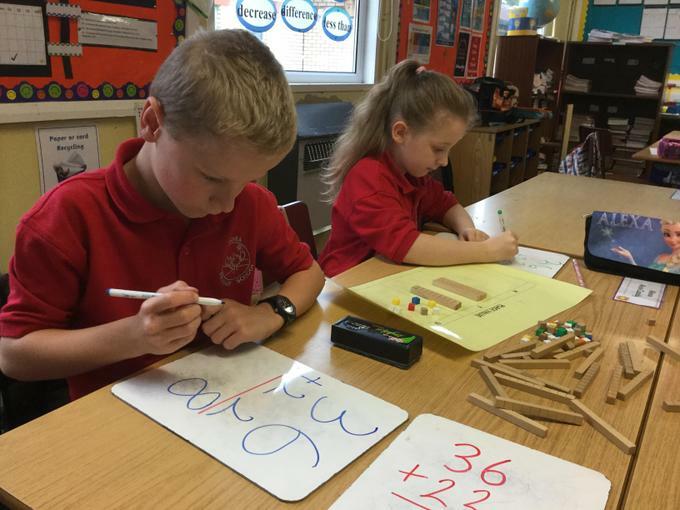 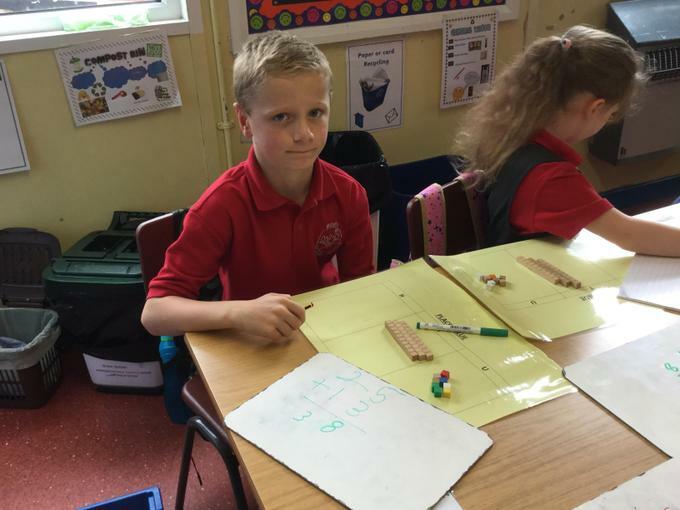 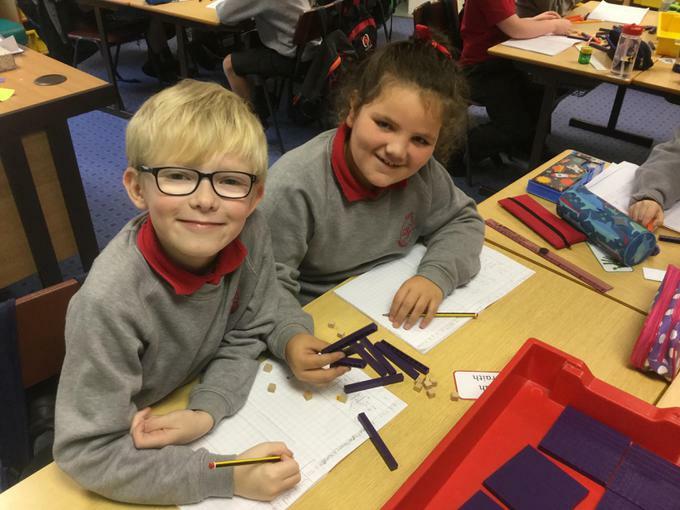 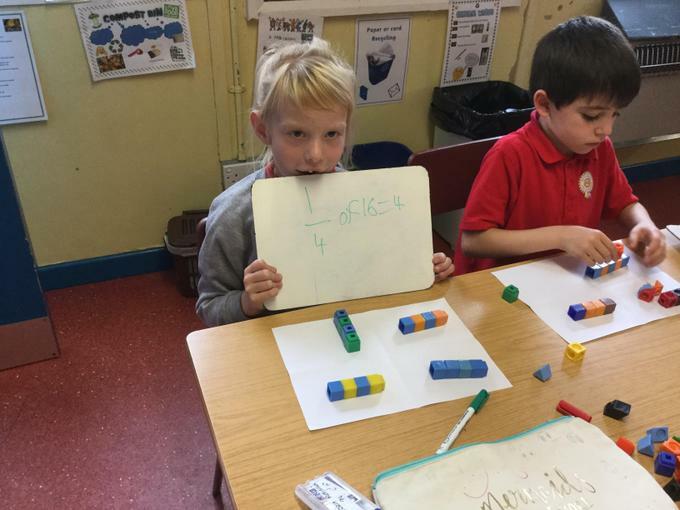 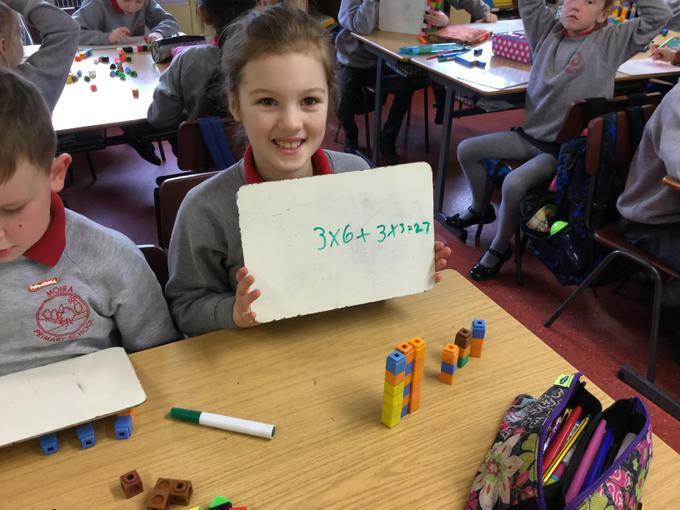 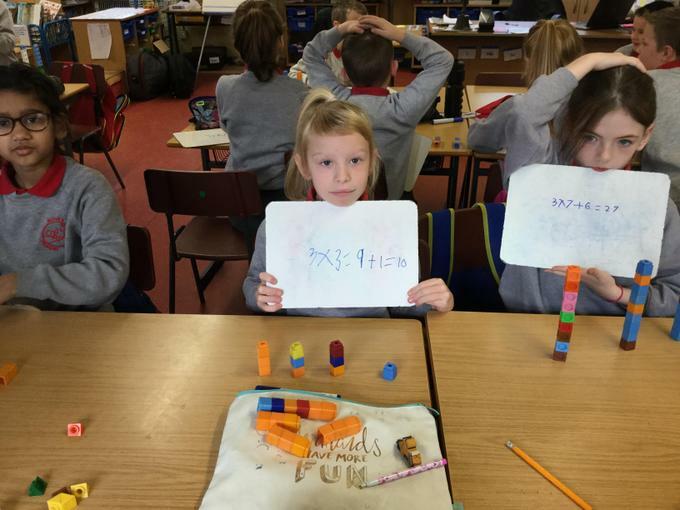 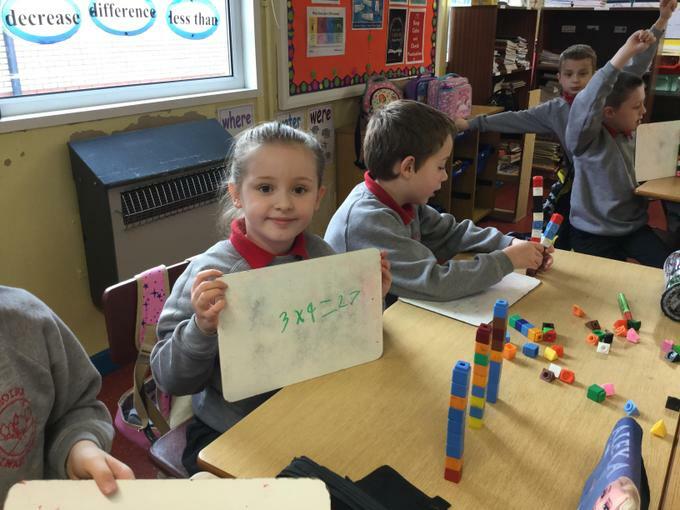 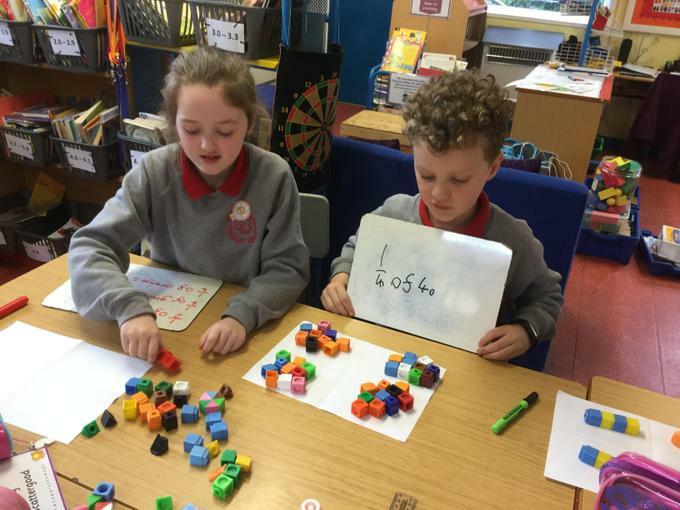 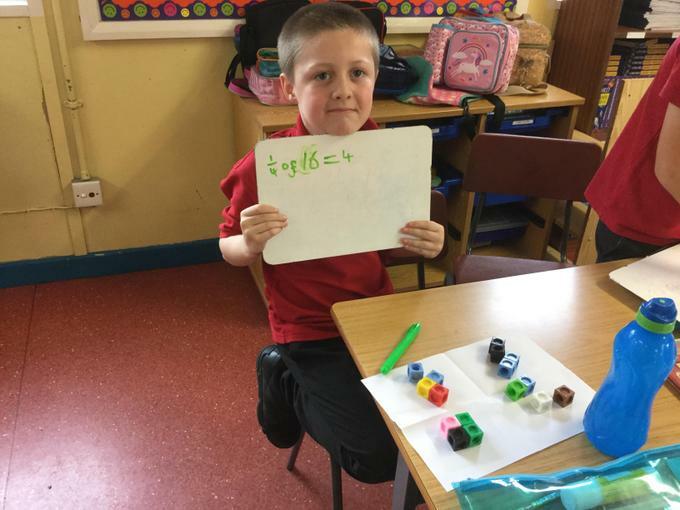 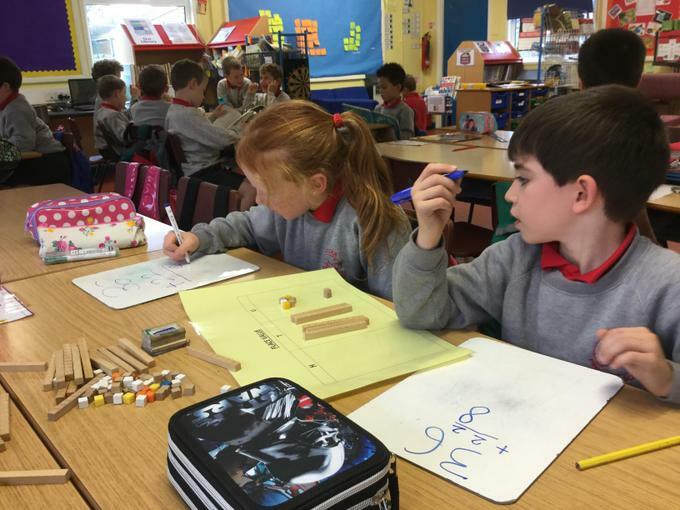 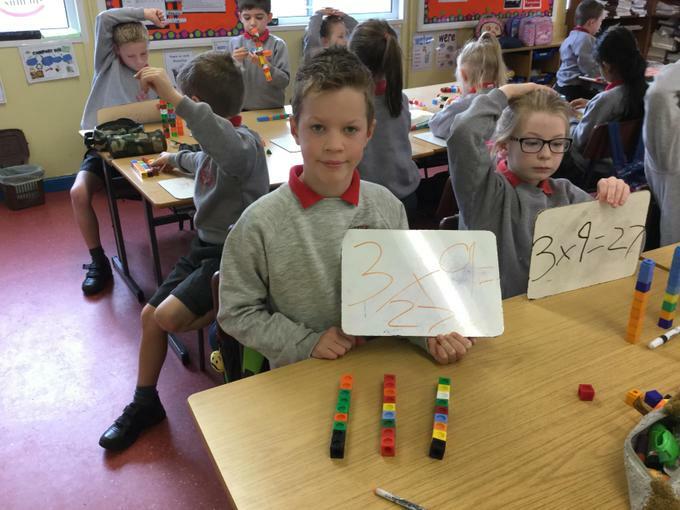 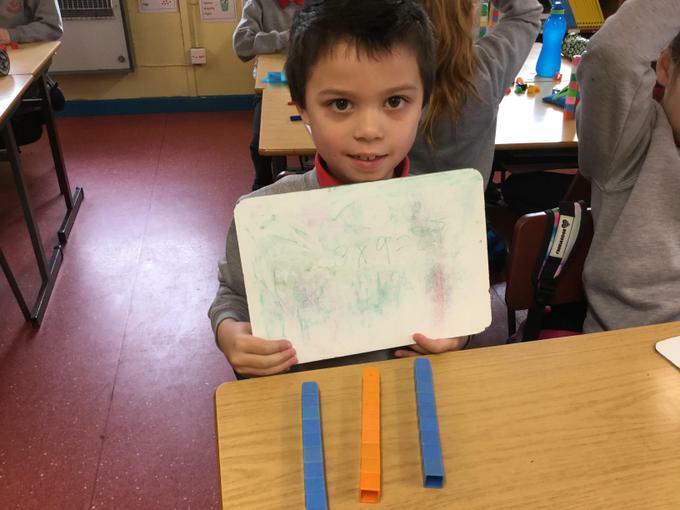 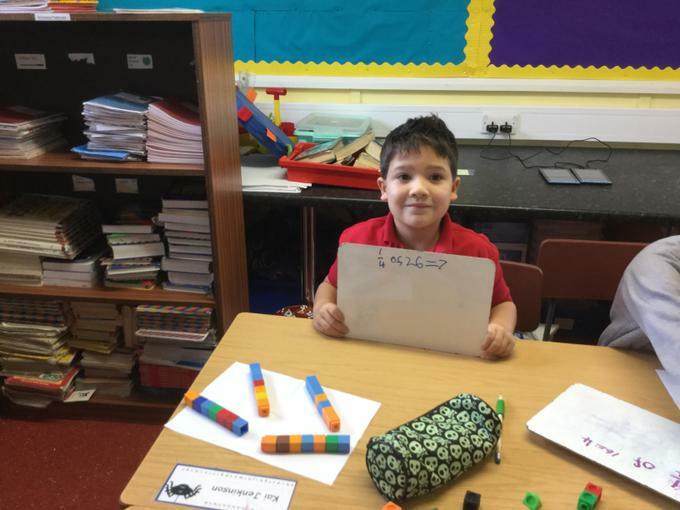 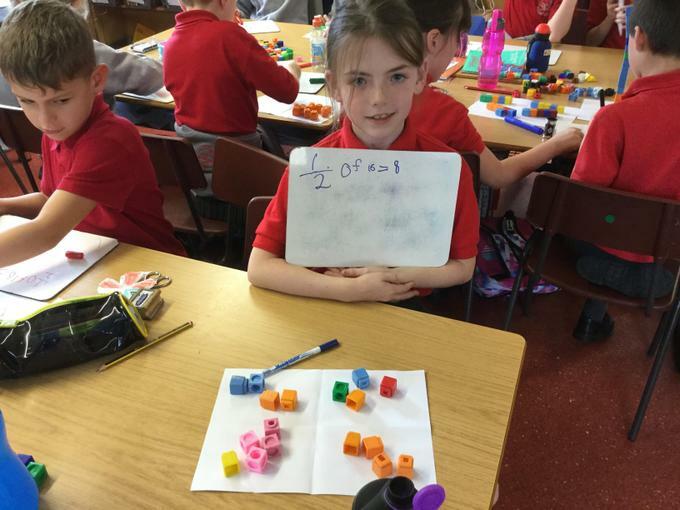 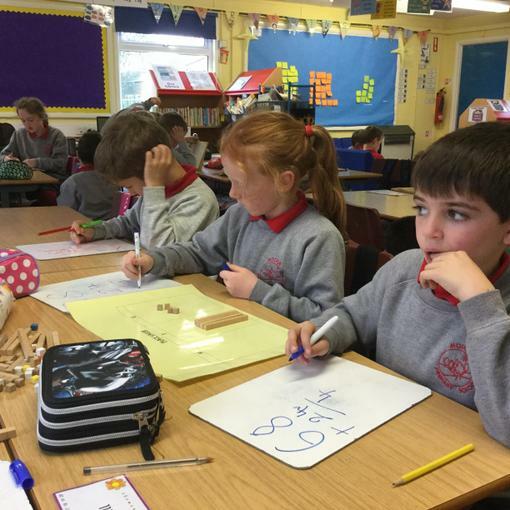 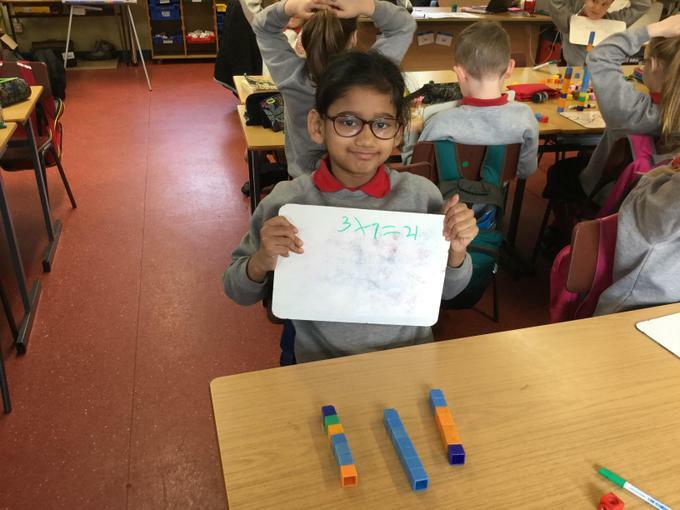 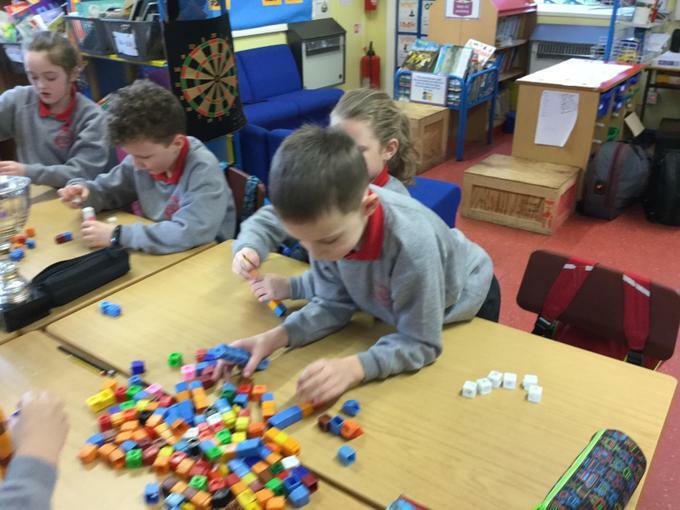 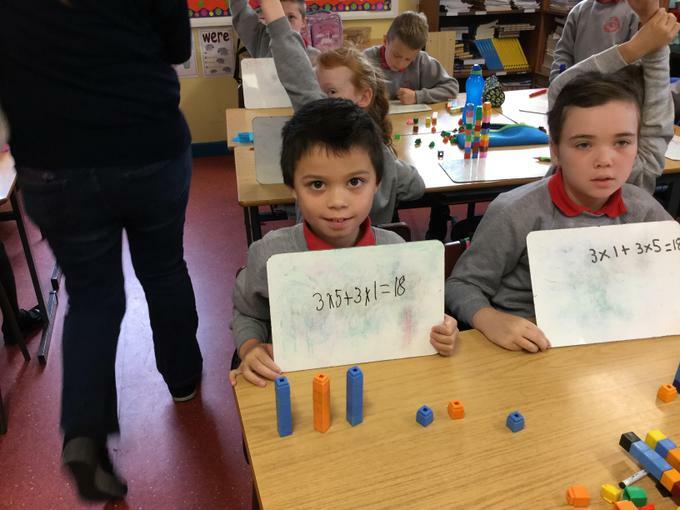 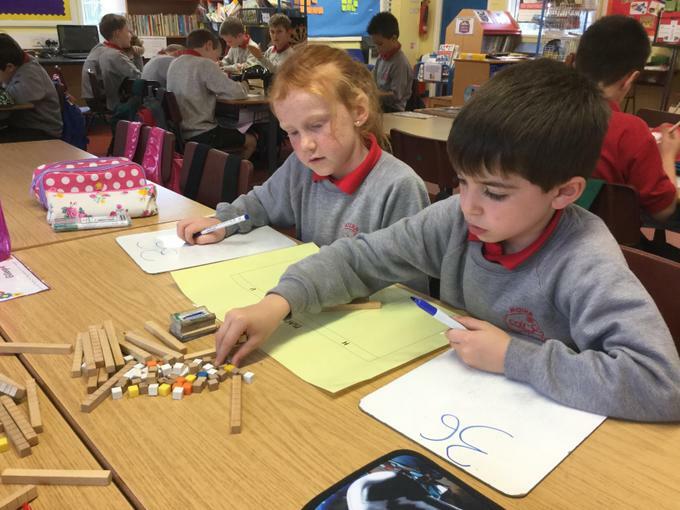 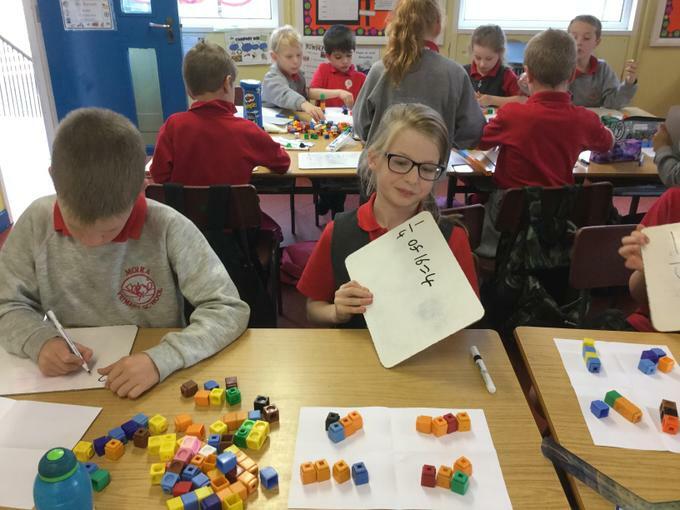 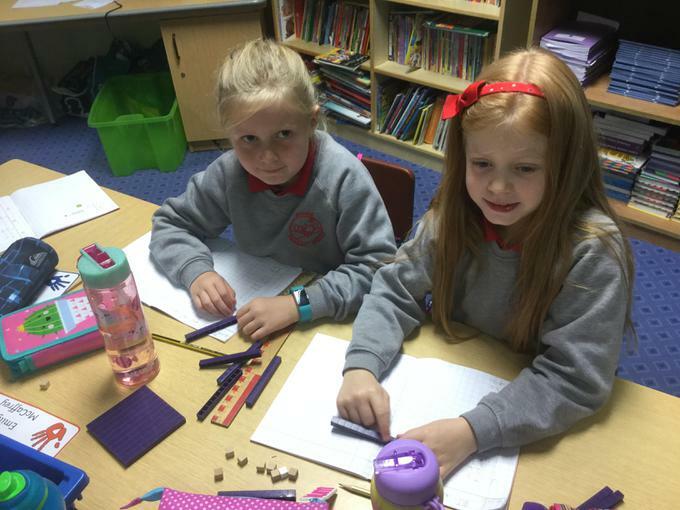 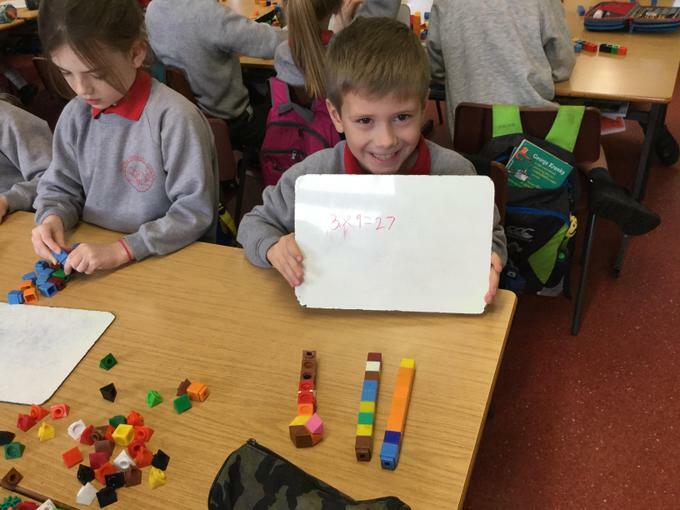 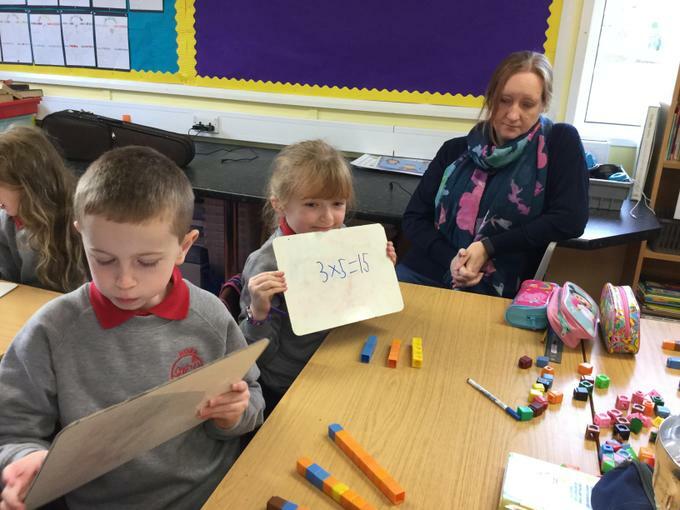 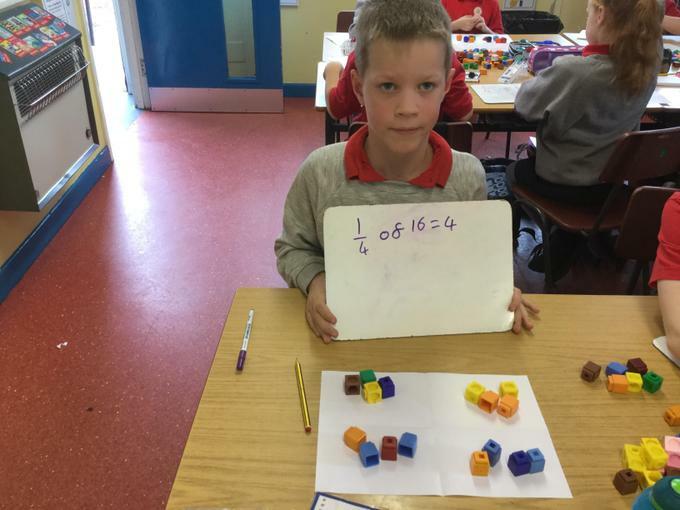 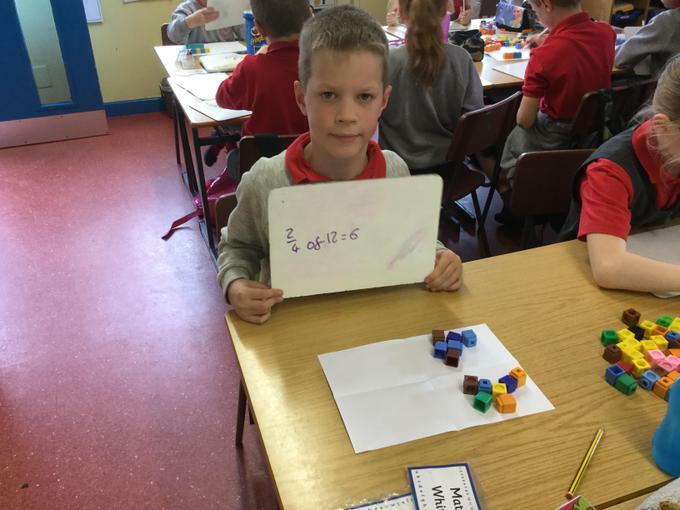 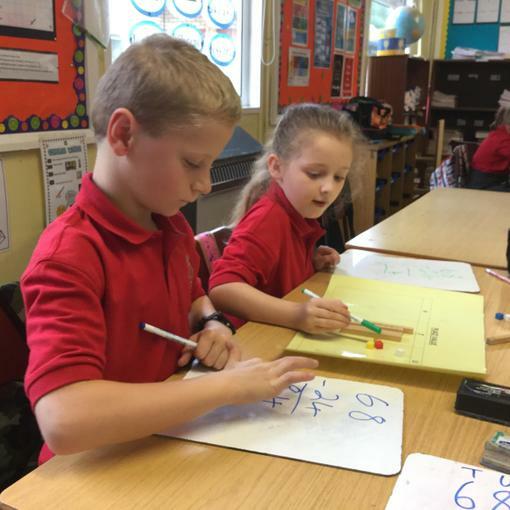 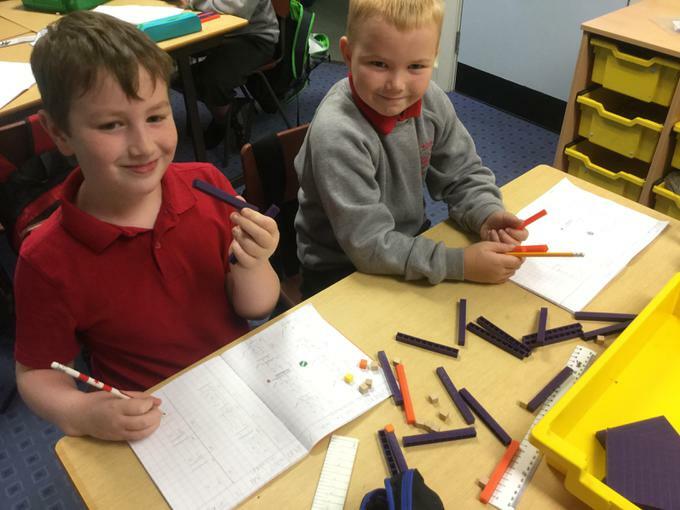 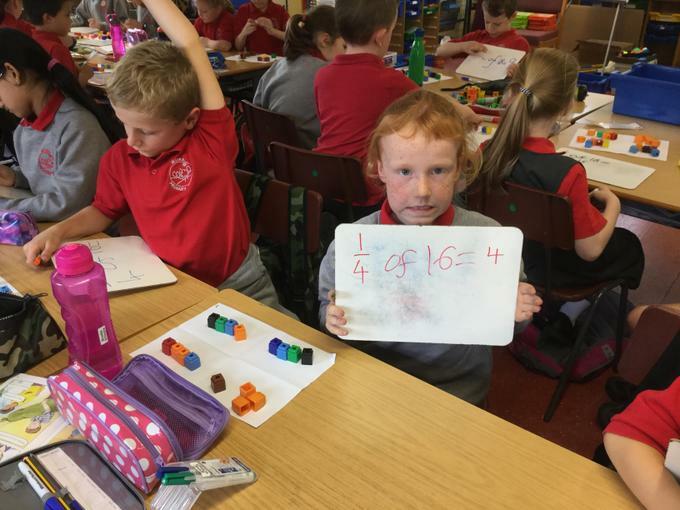 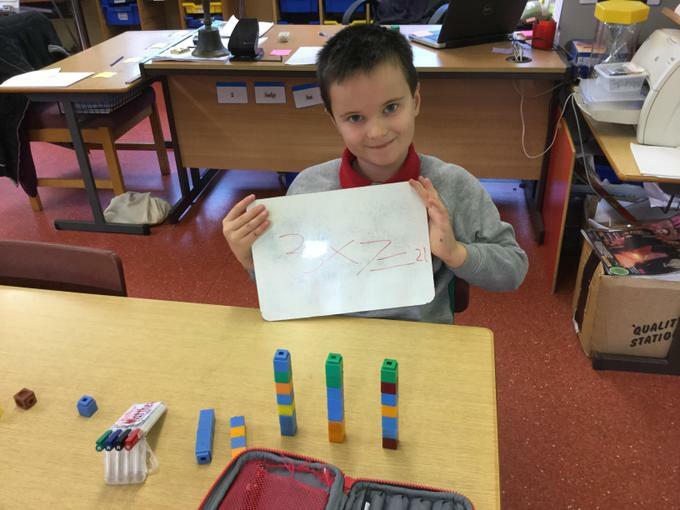 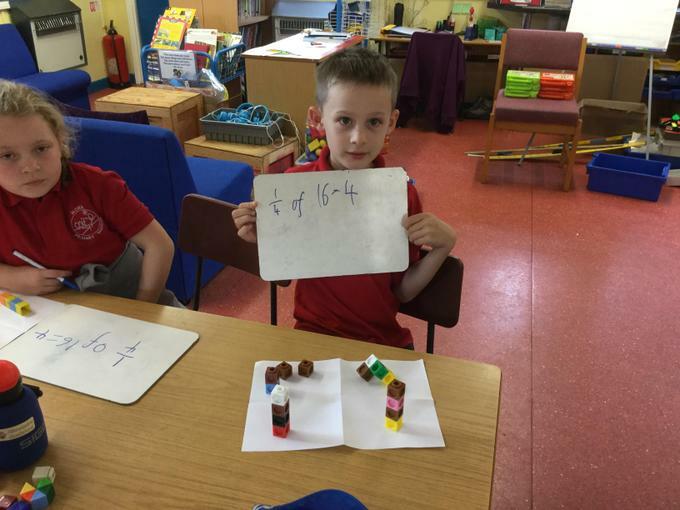 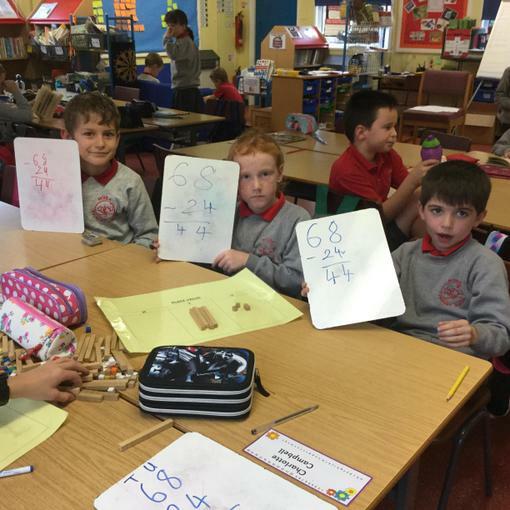 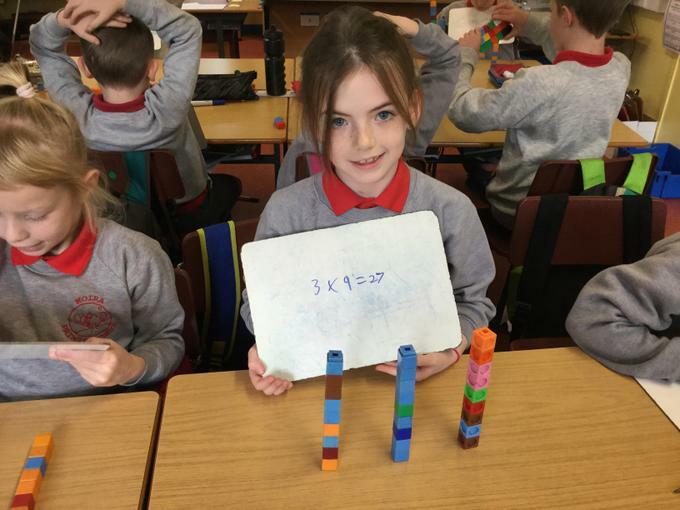 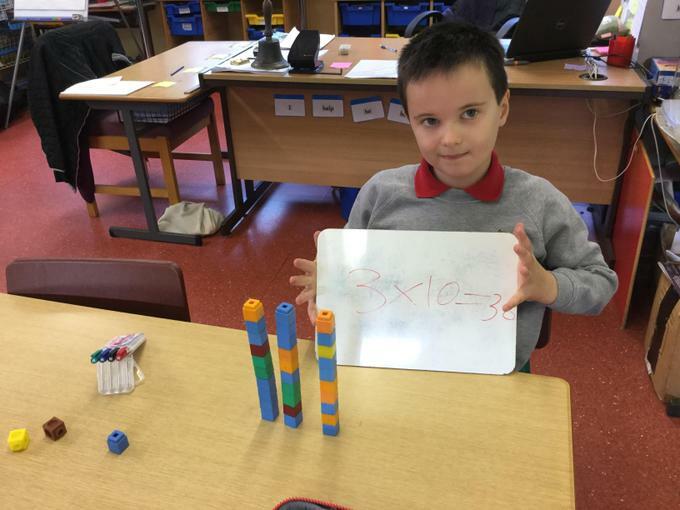 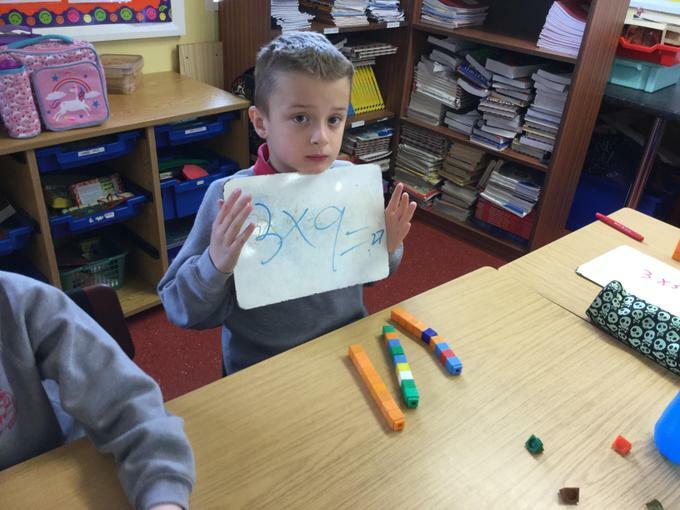 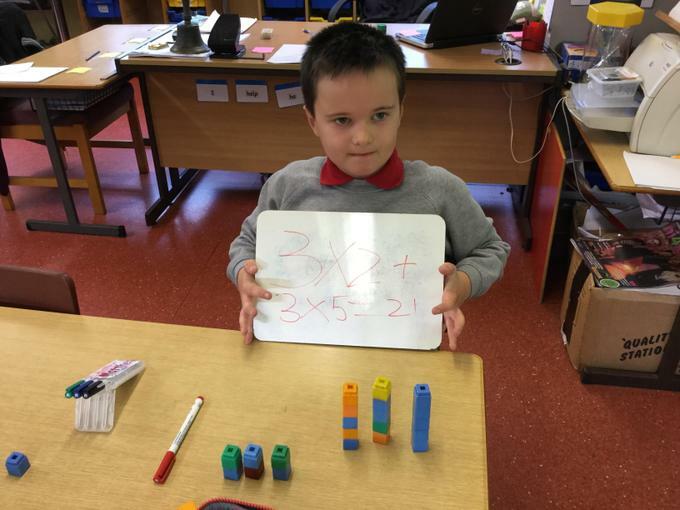 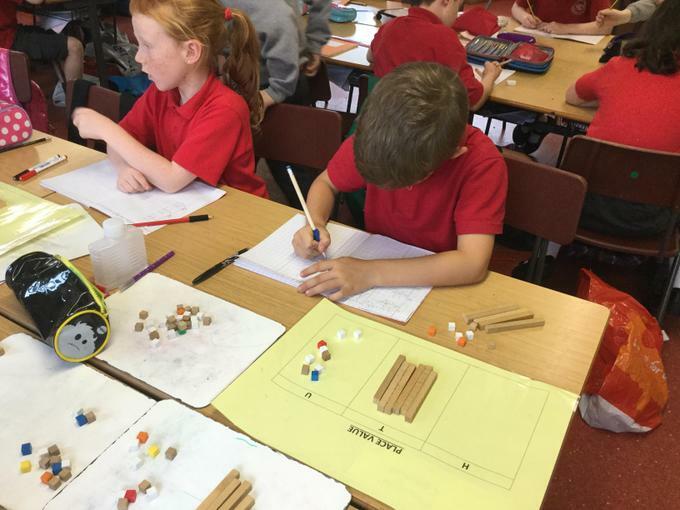 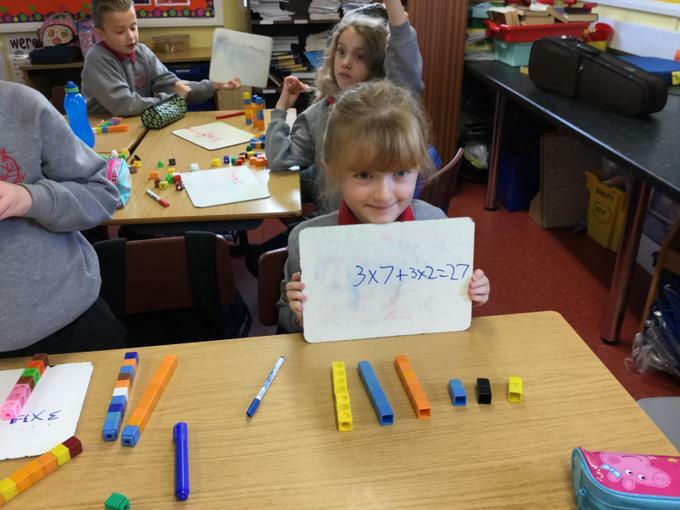 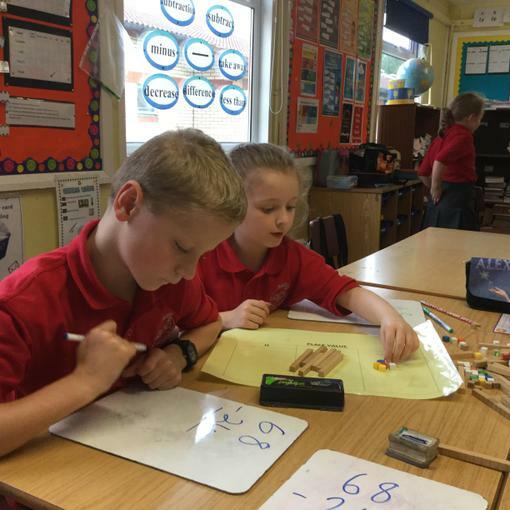 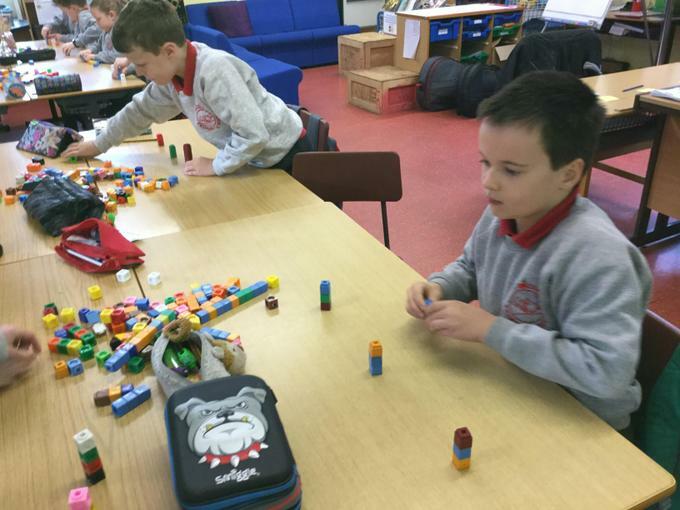 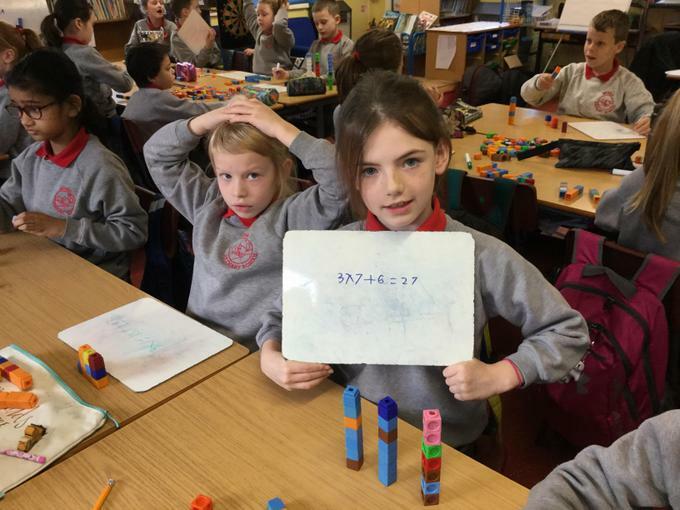 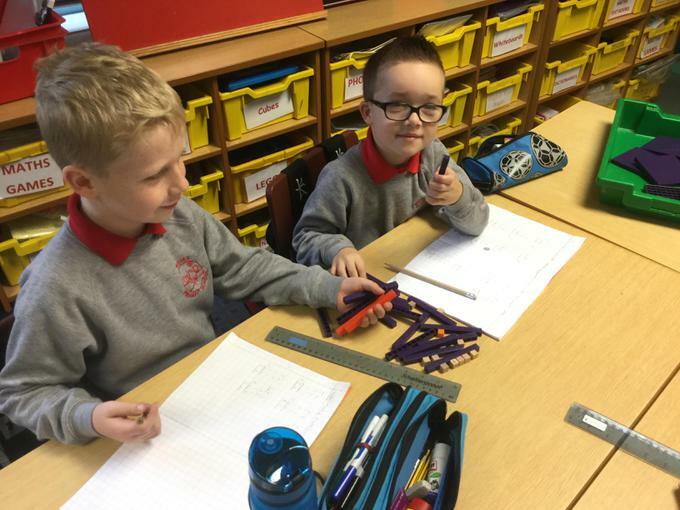 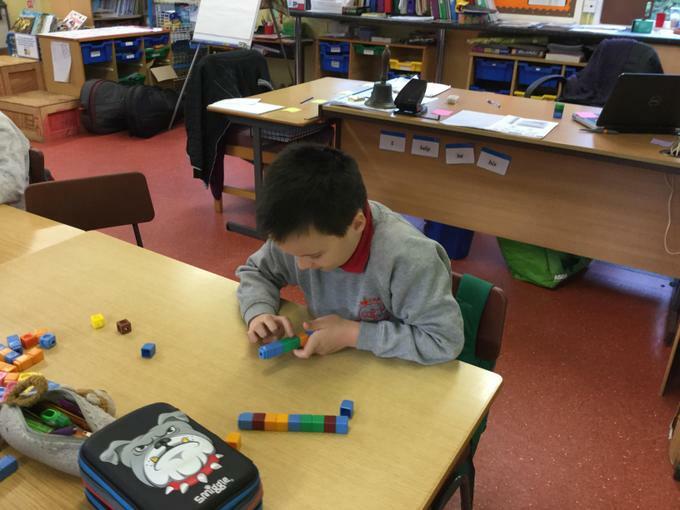 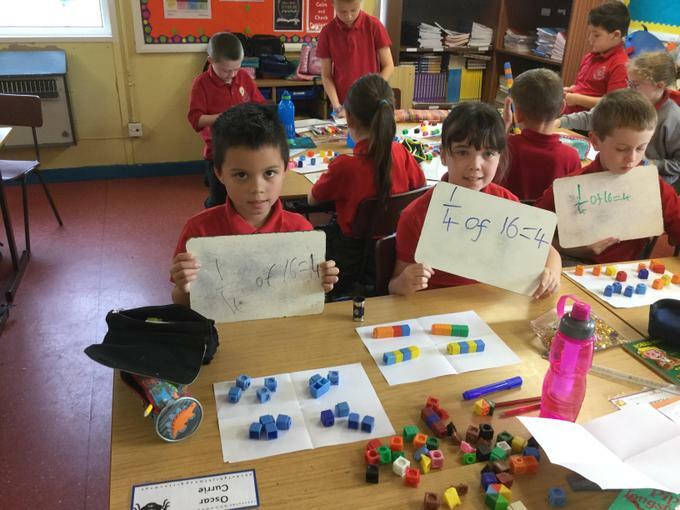 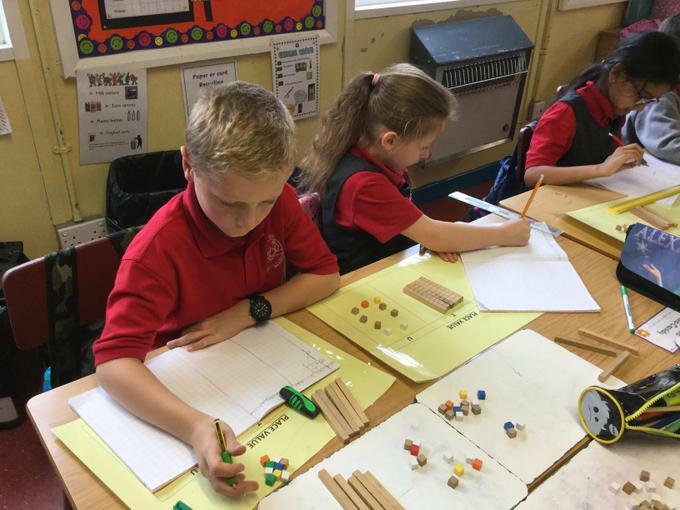 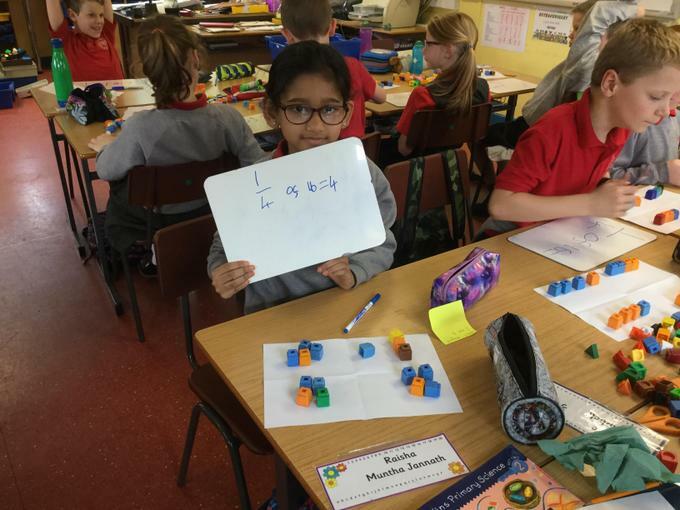 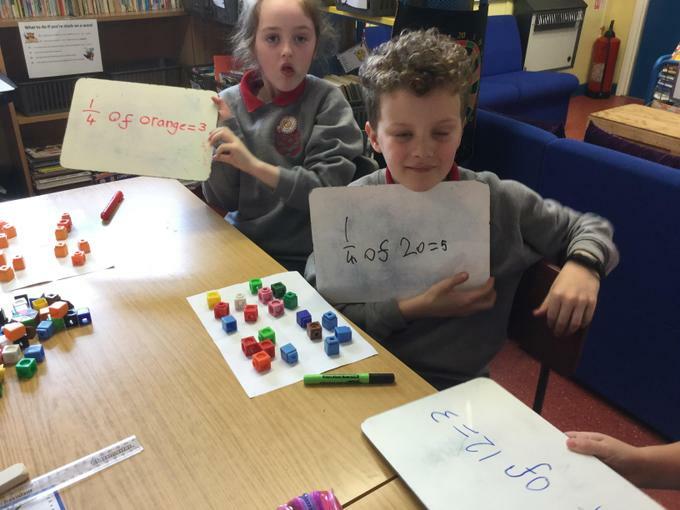 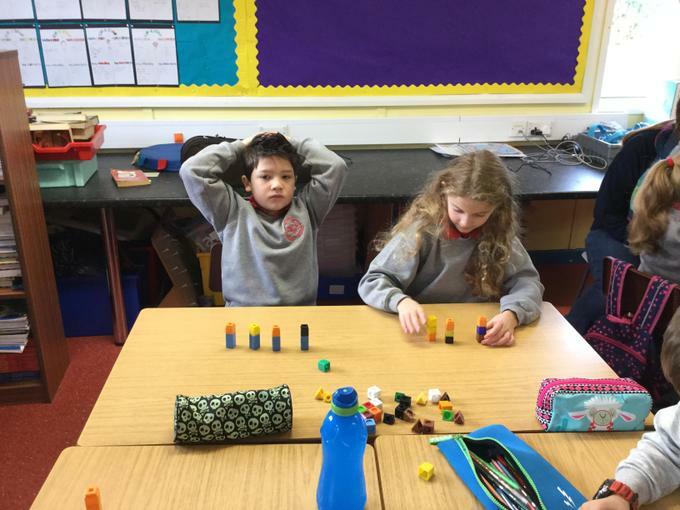 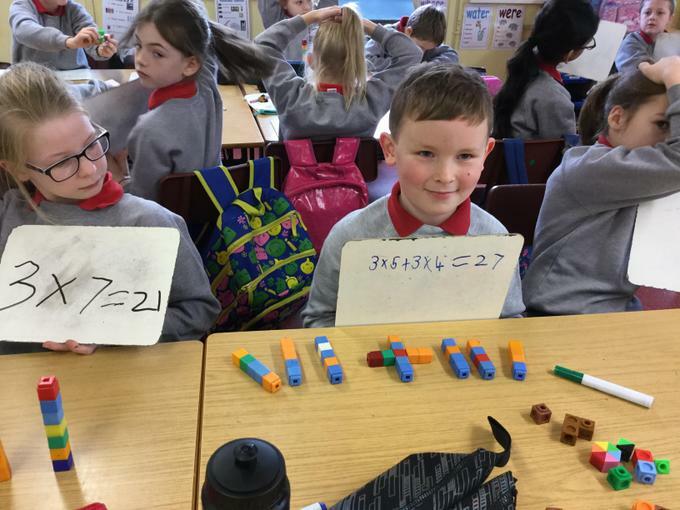 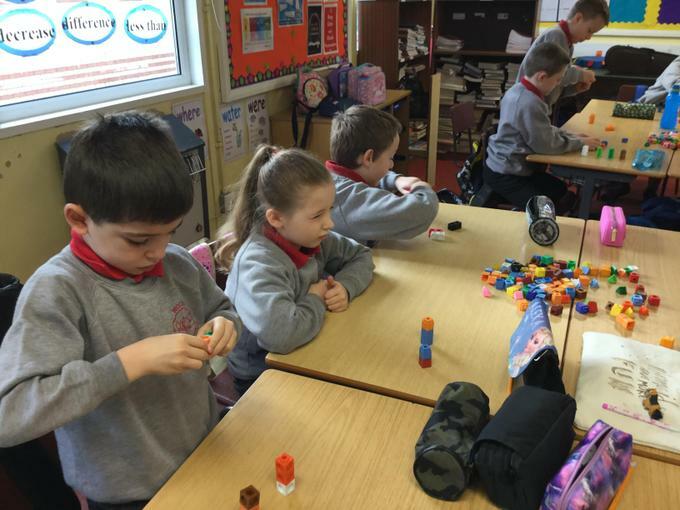 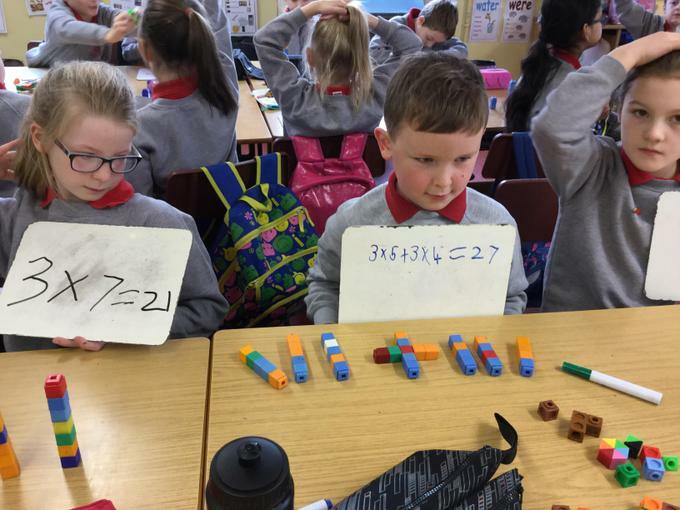 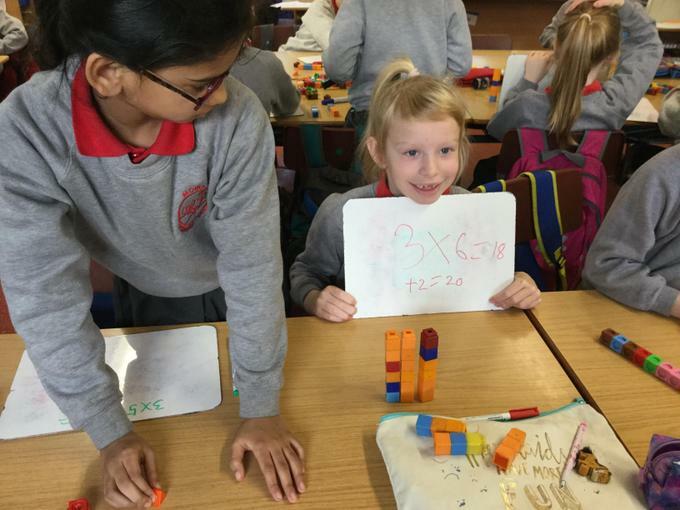 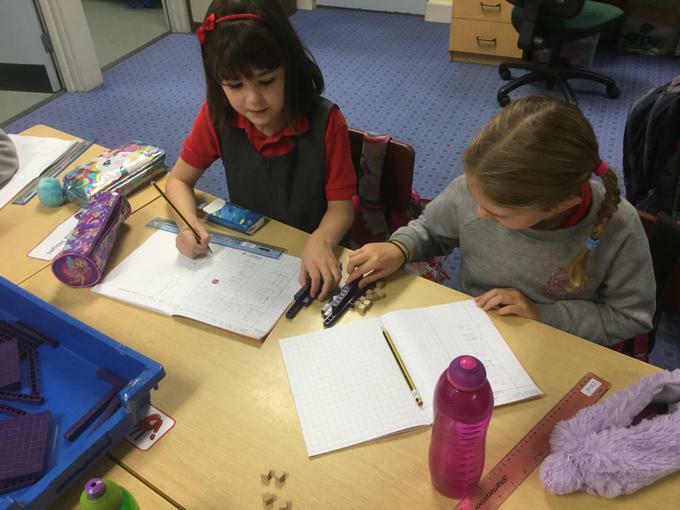 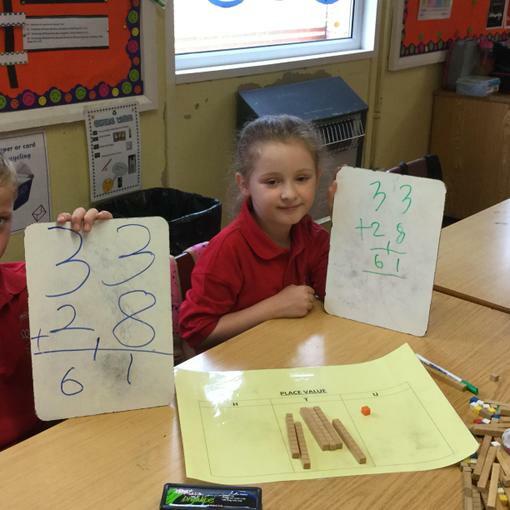 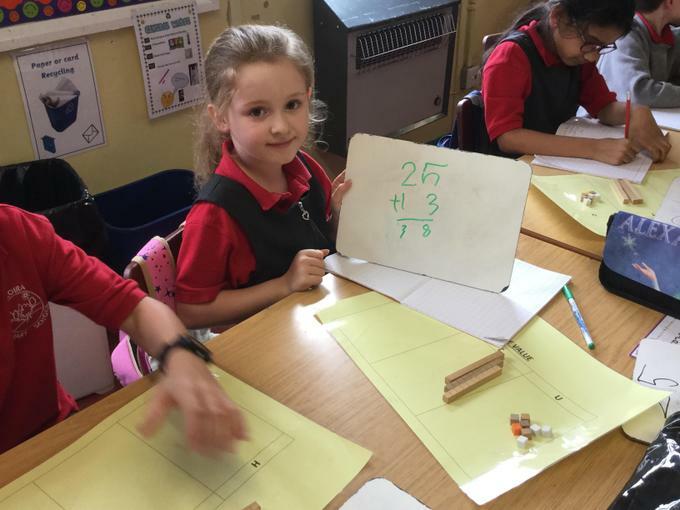 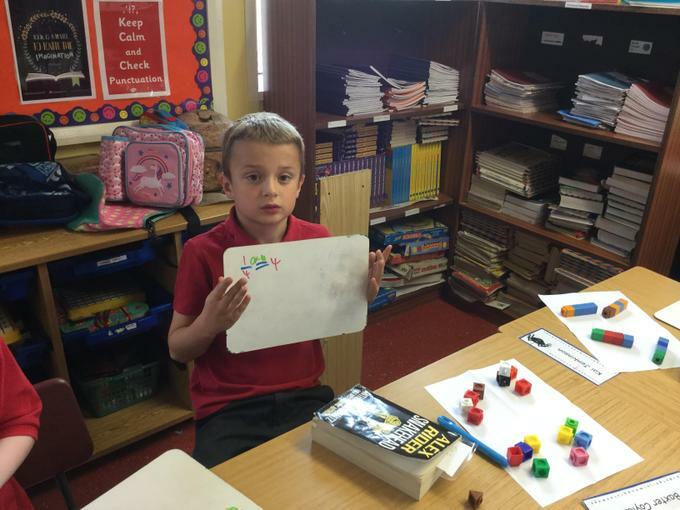 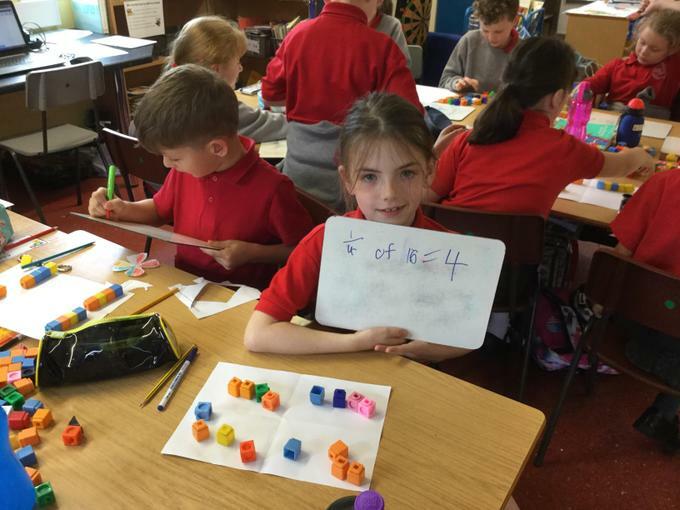 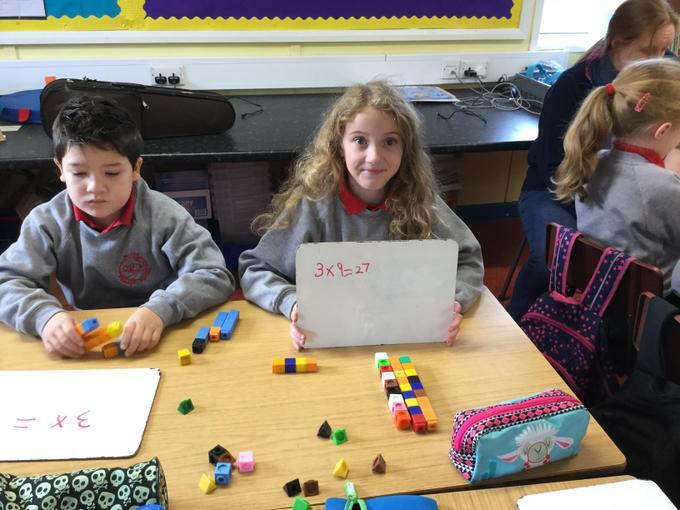 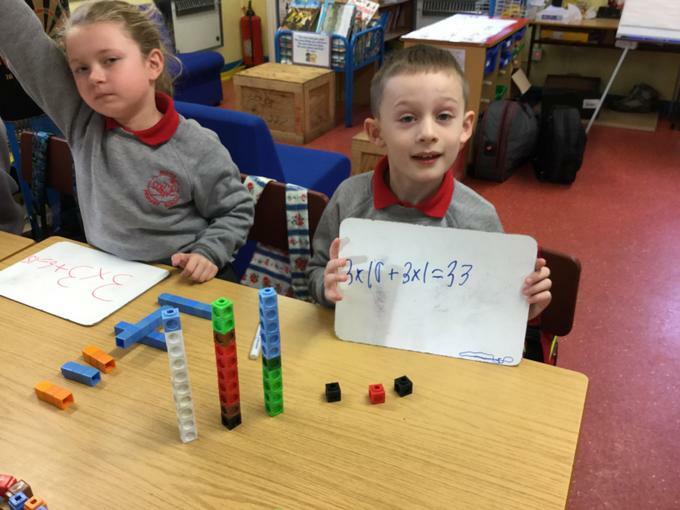 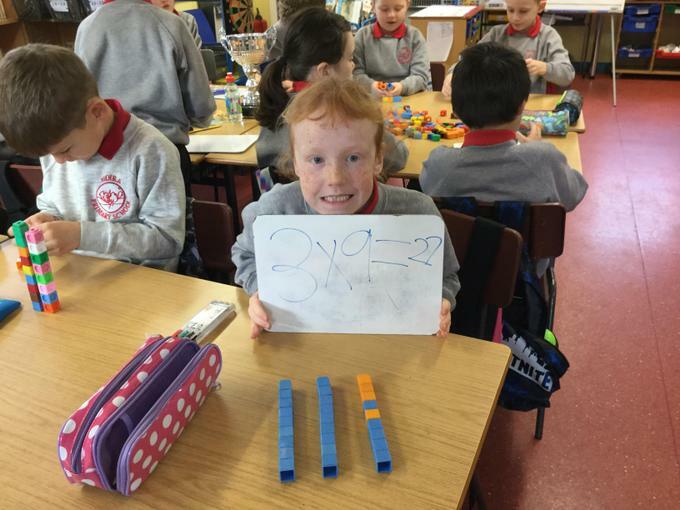 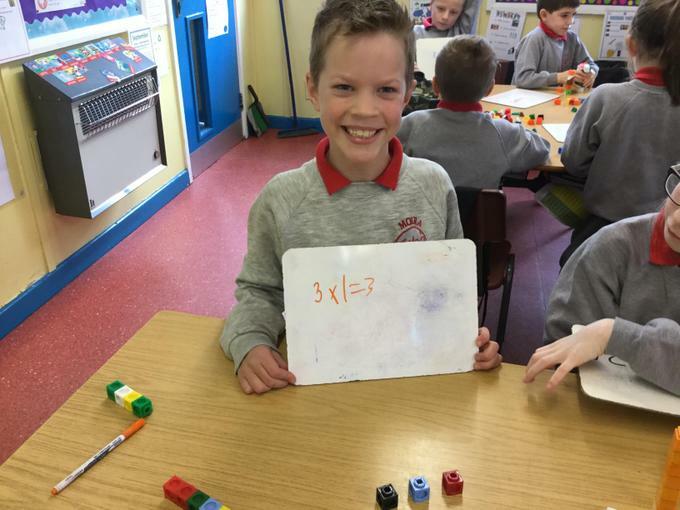 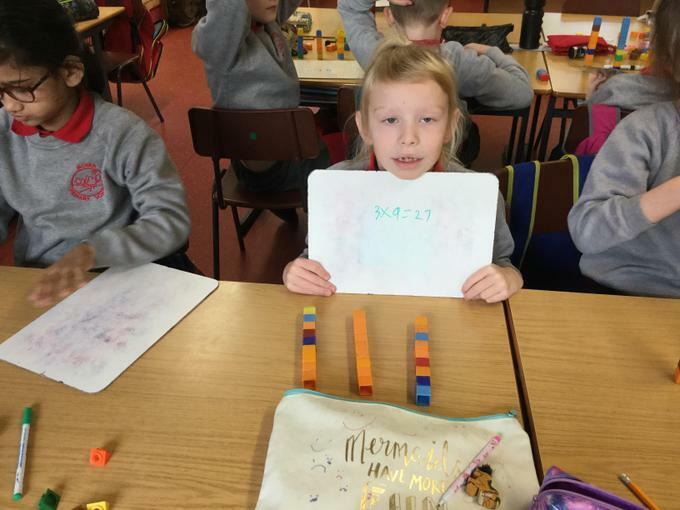 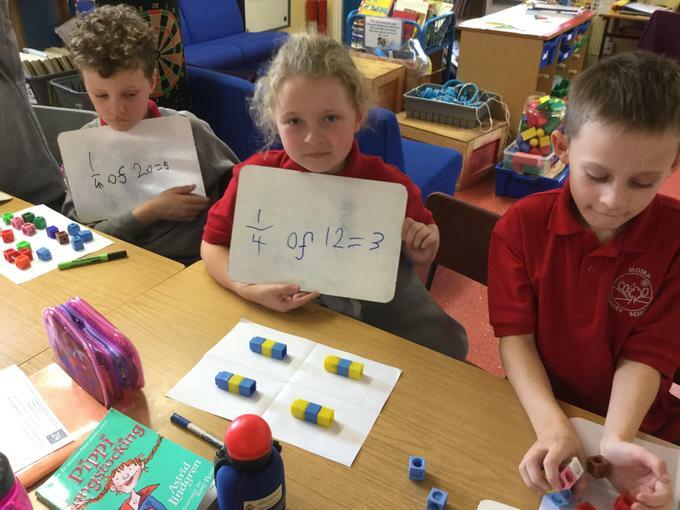 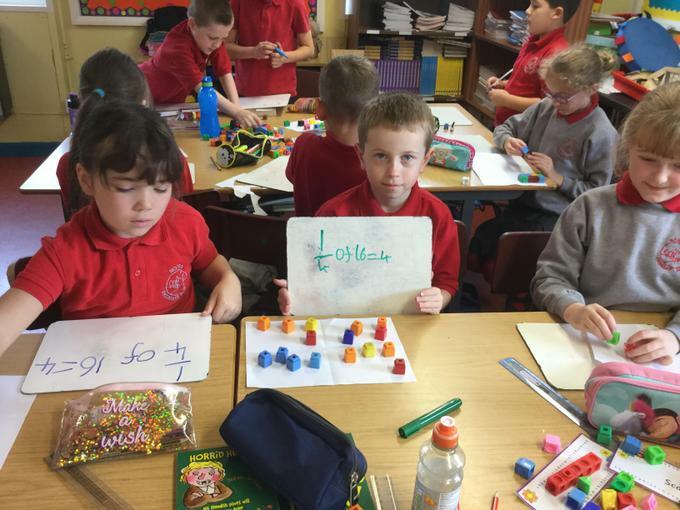 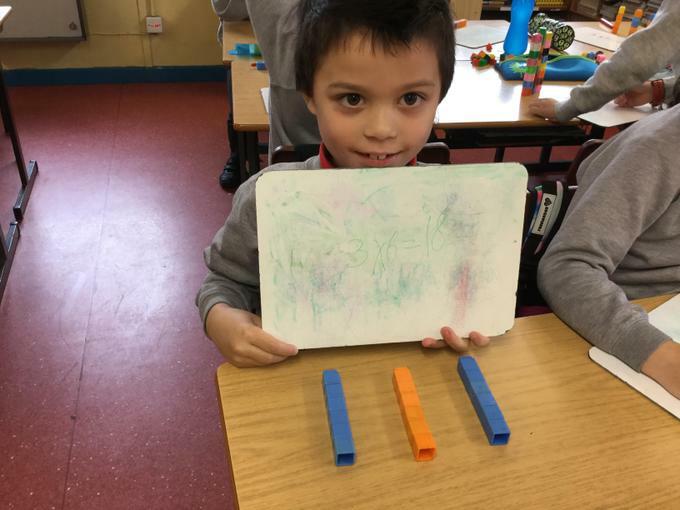 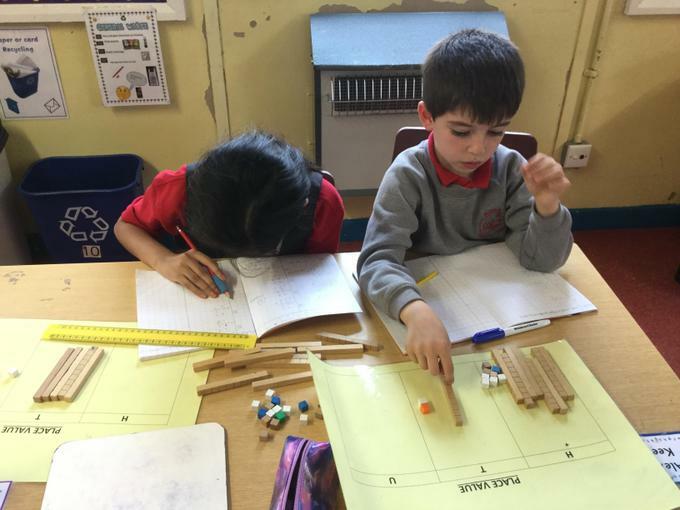 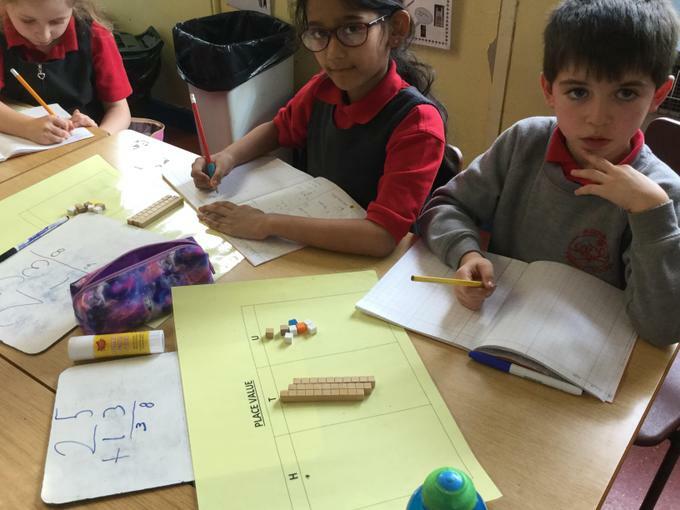 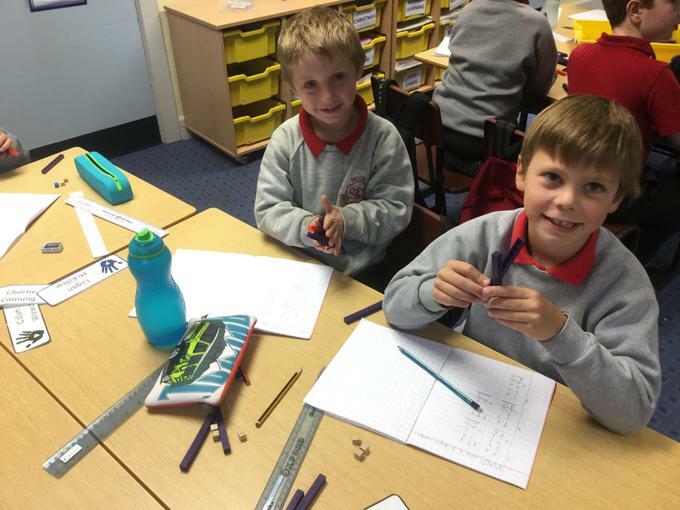 Using dienes to add 2 digit number numbers together. 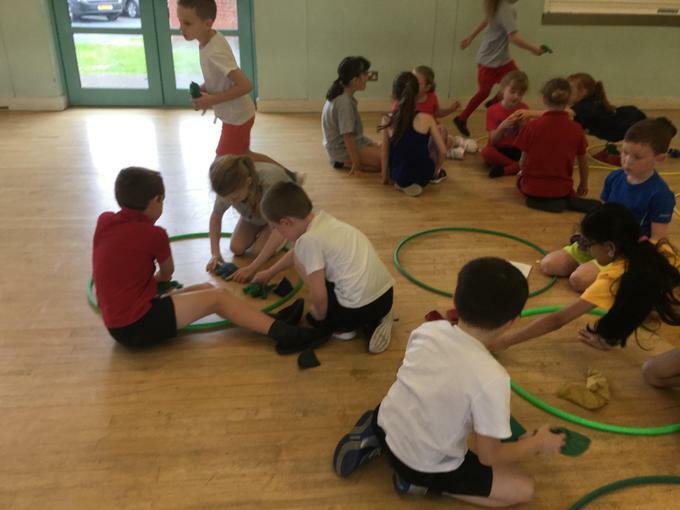 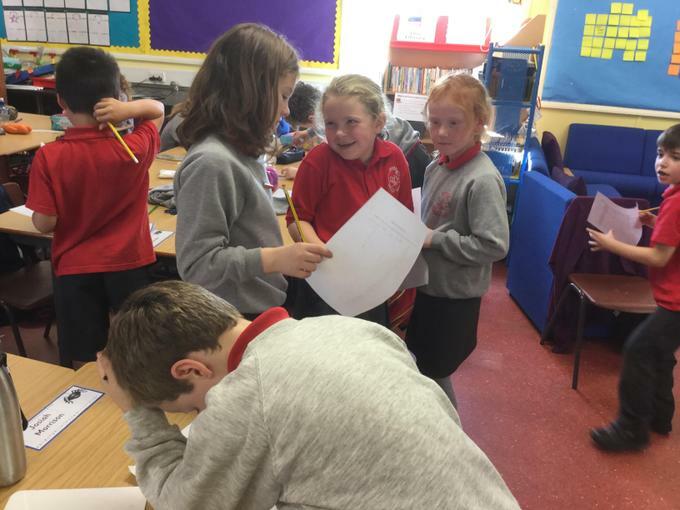 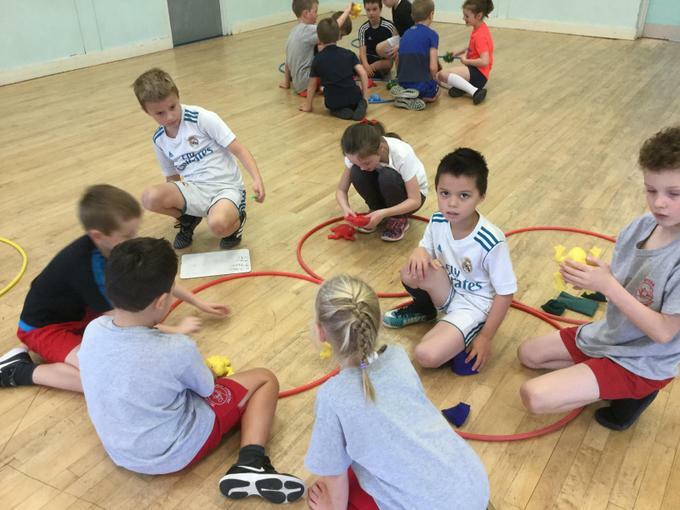 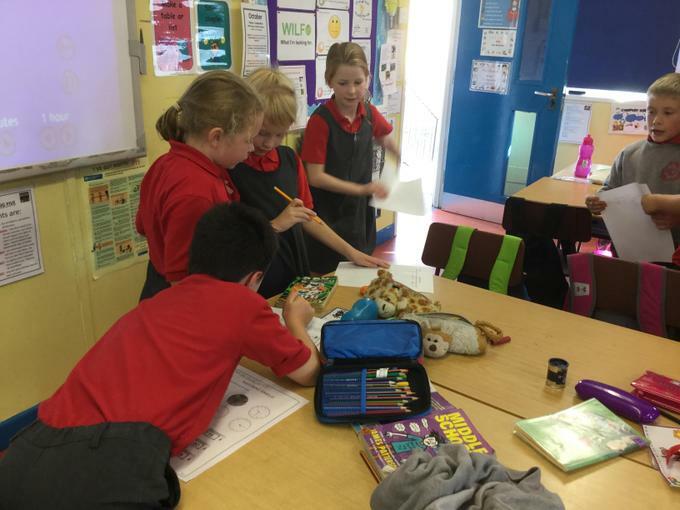 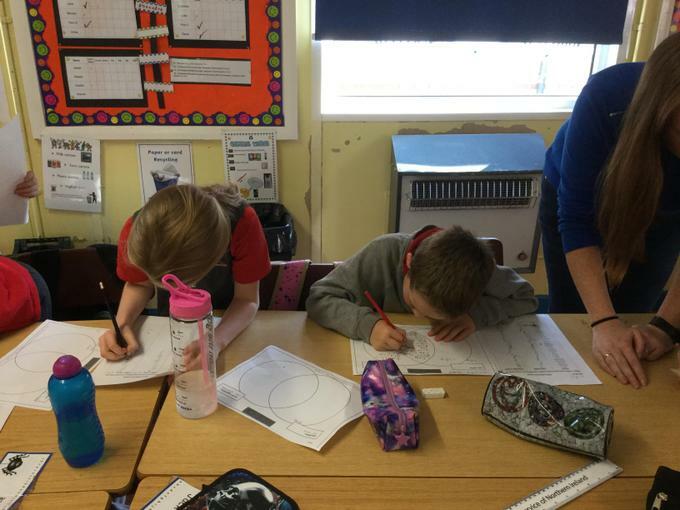 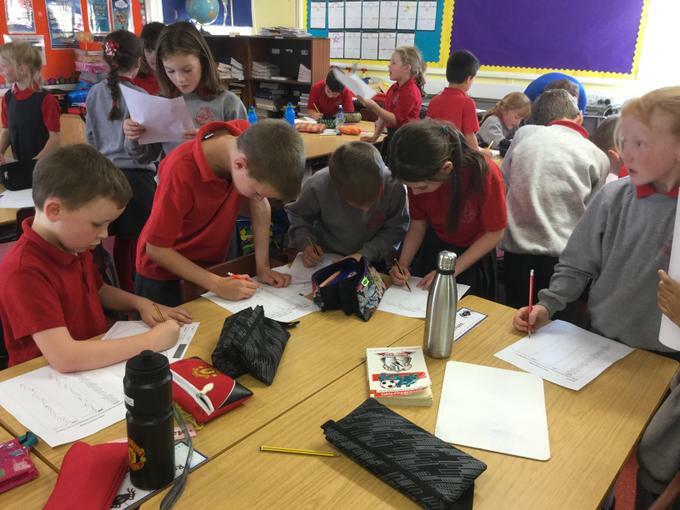 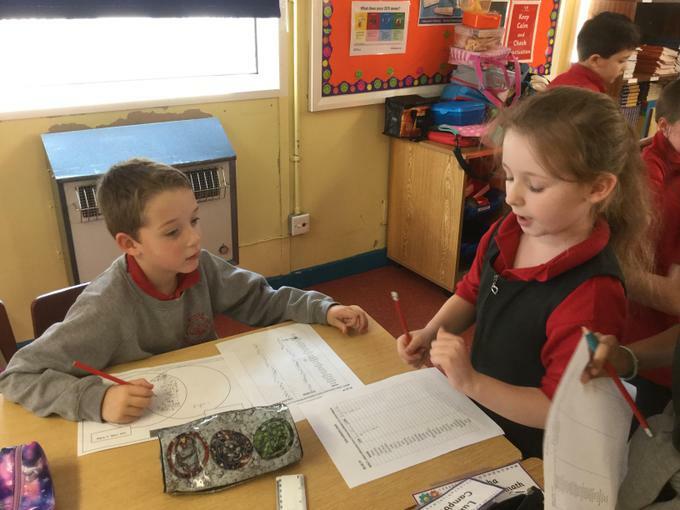 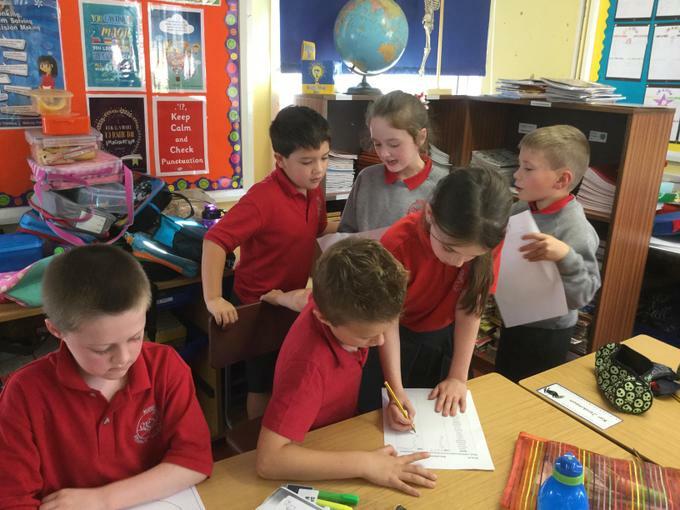 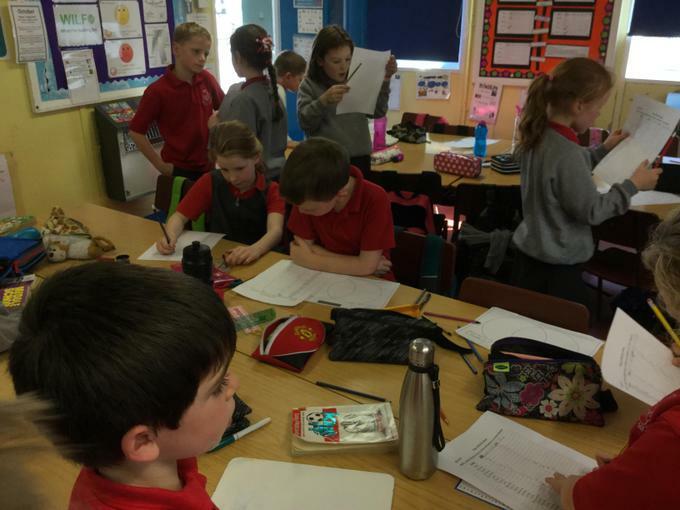 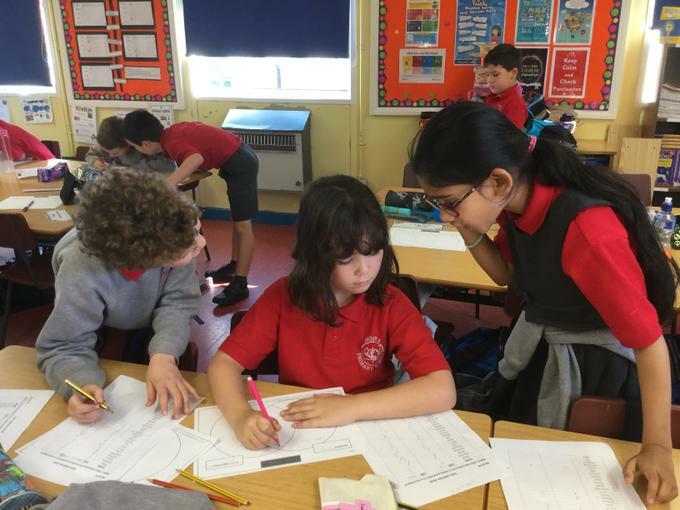 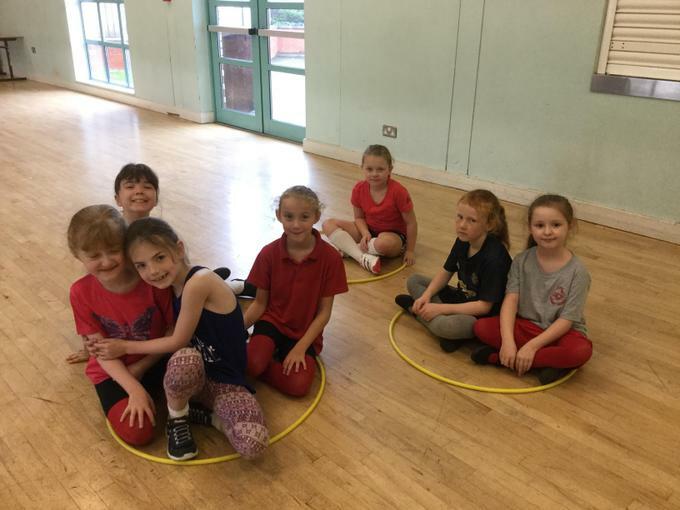 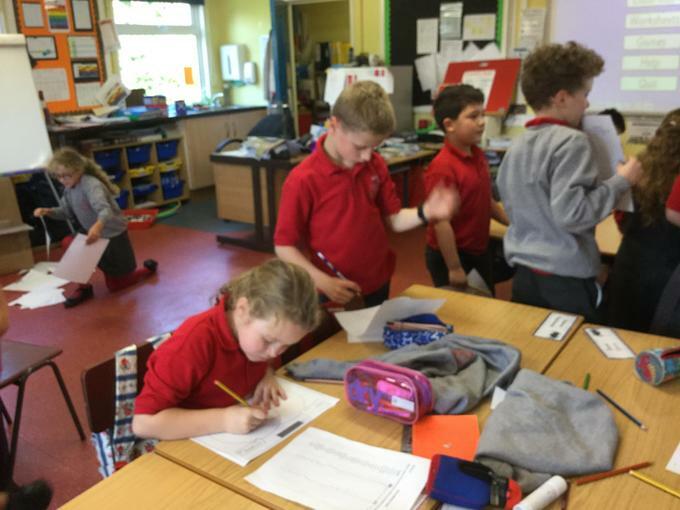 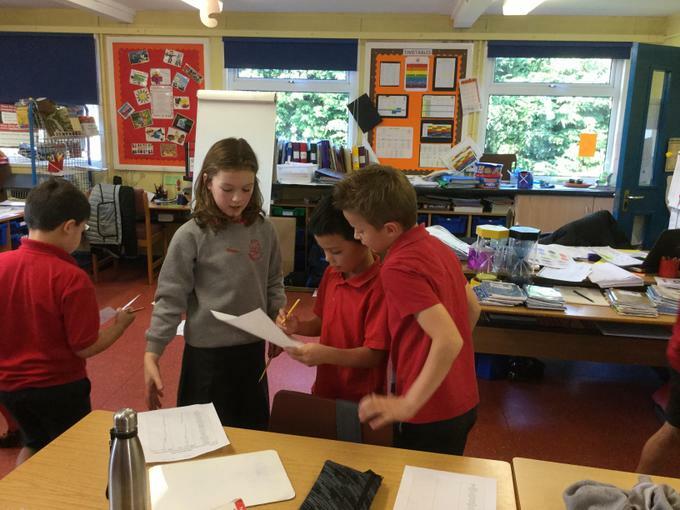 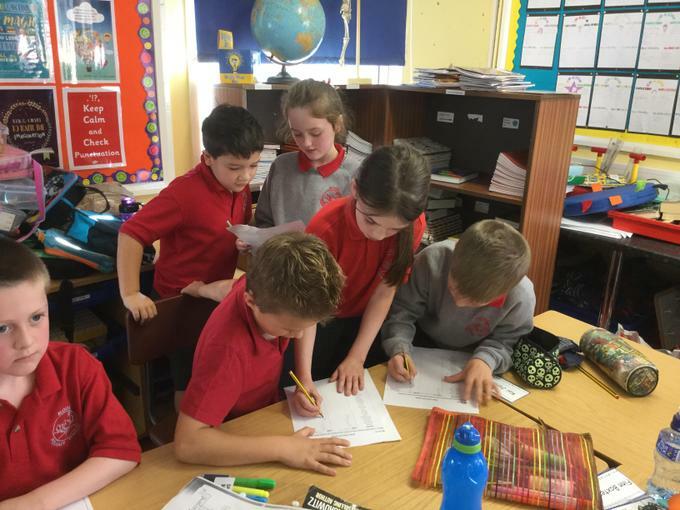 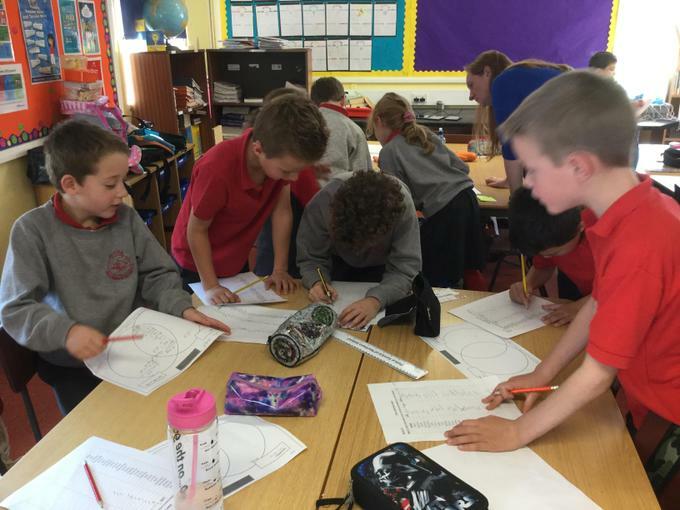 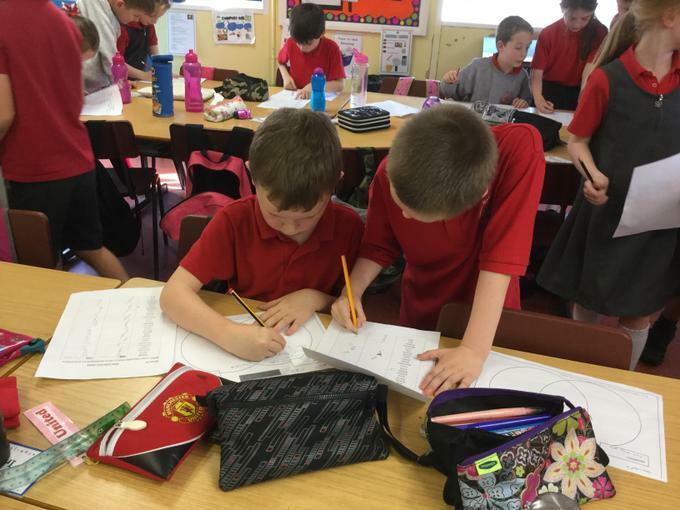 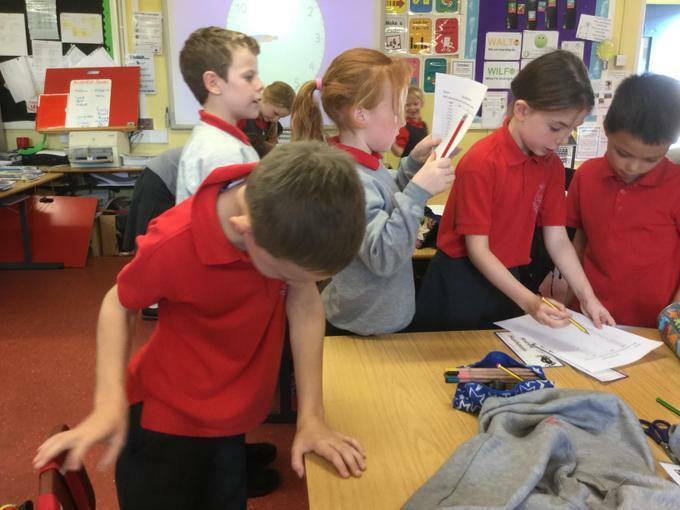 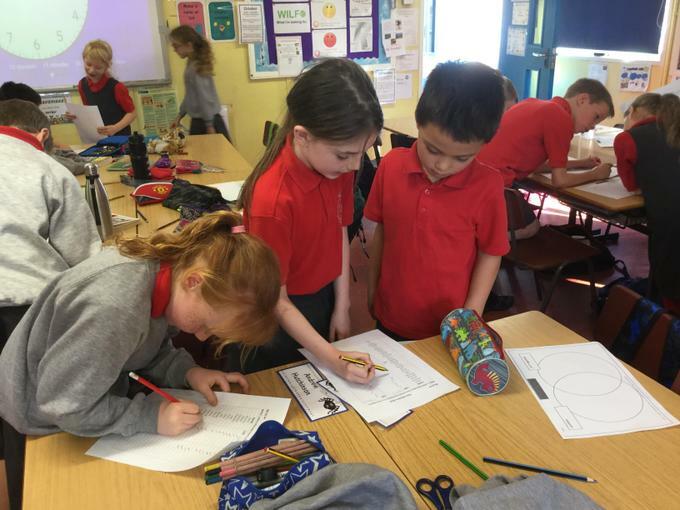 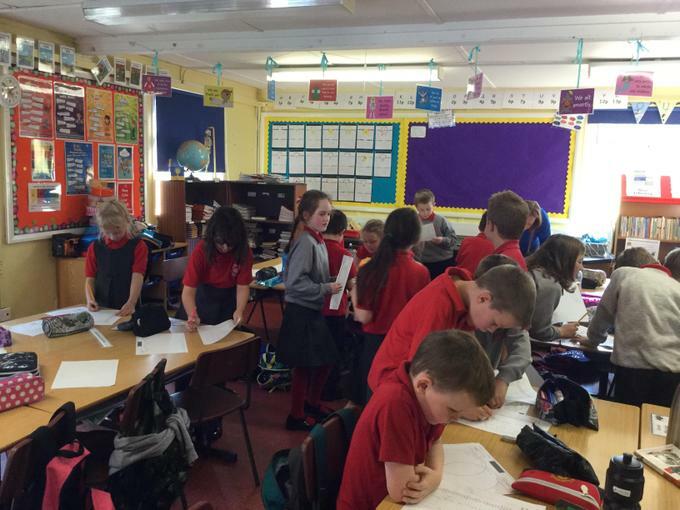 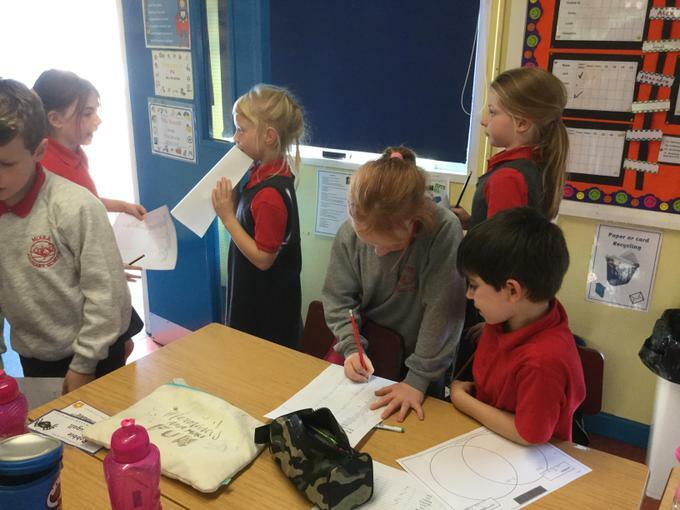 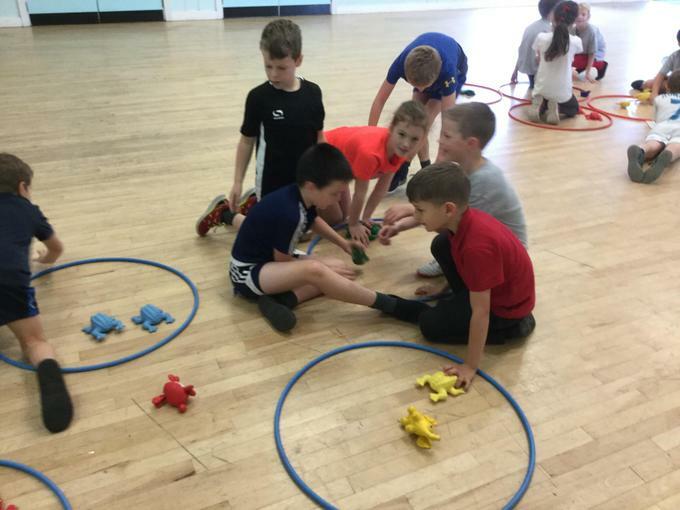 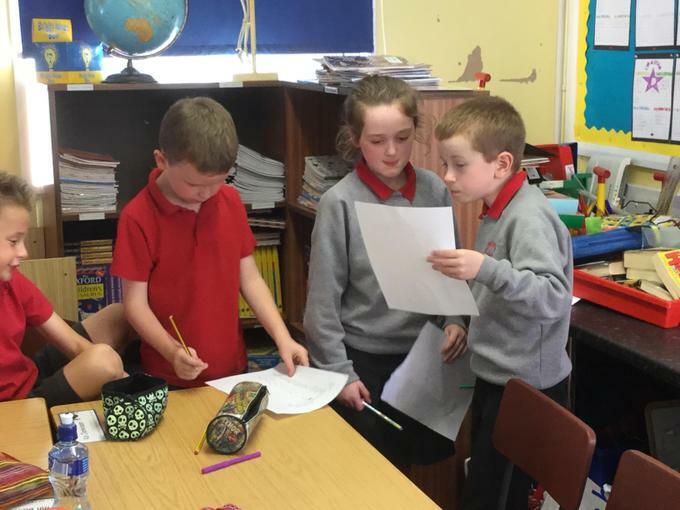 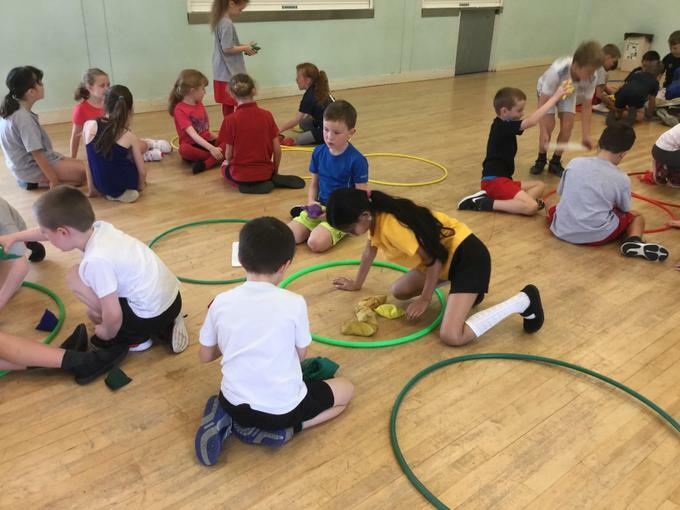 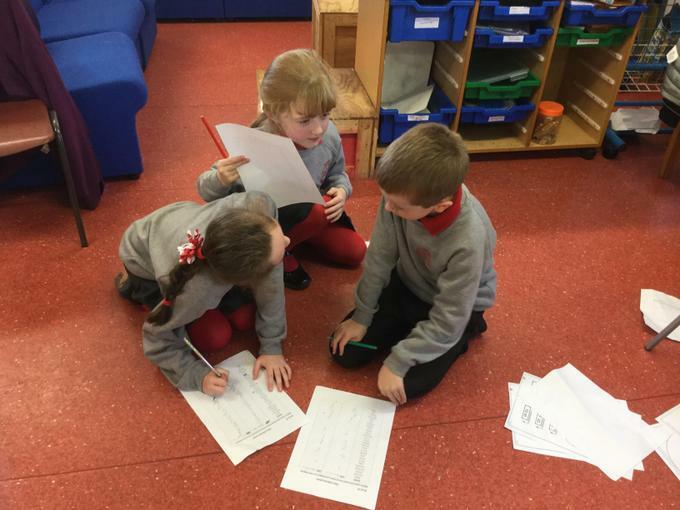 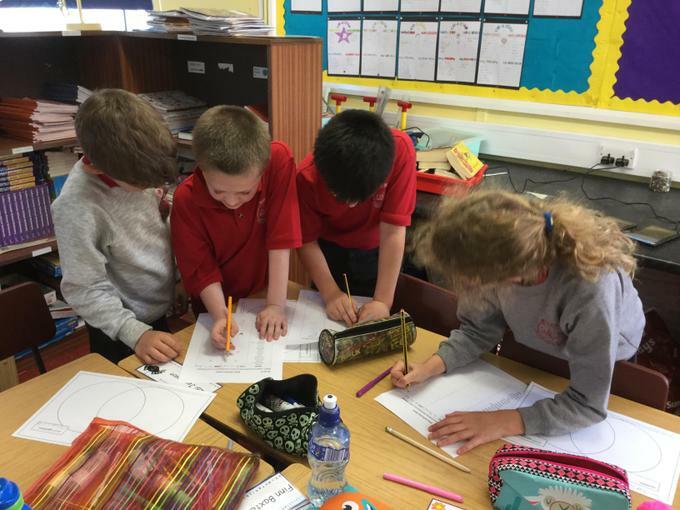 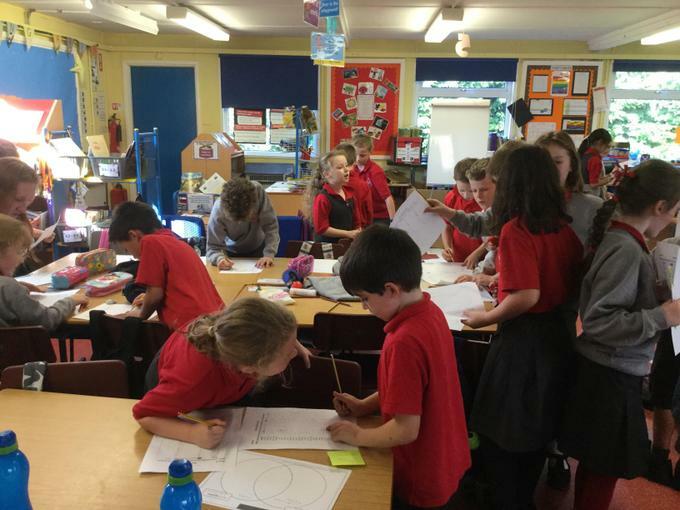 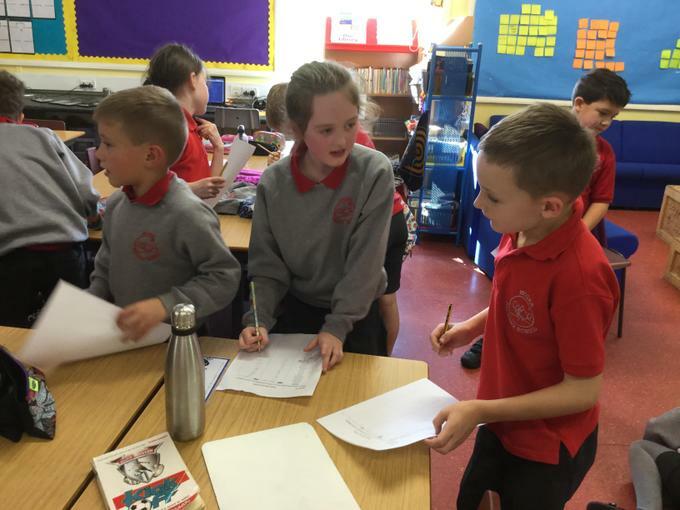 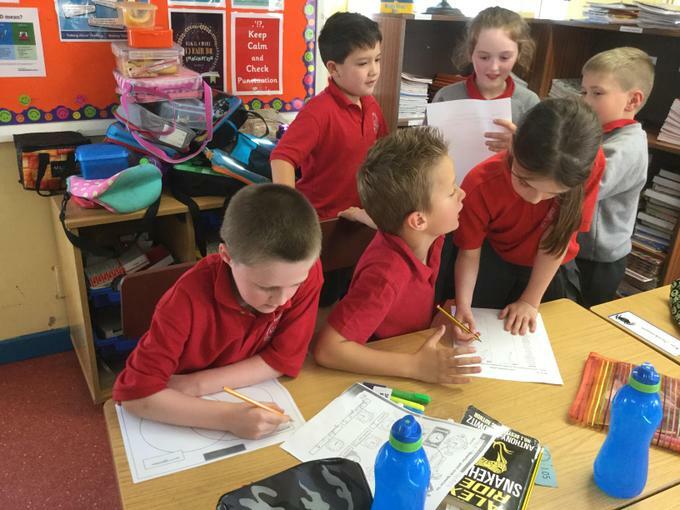 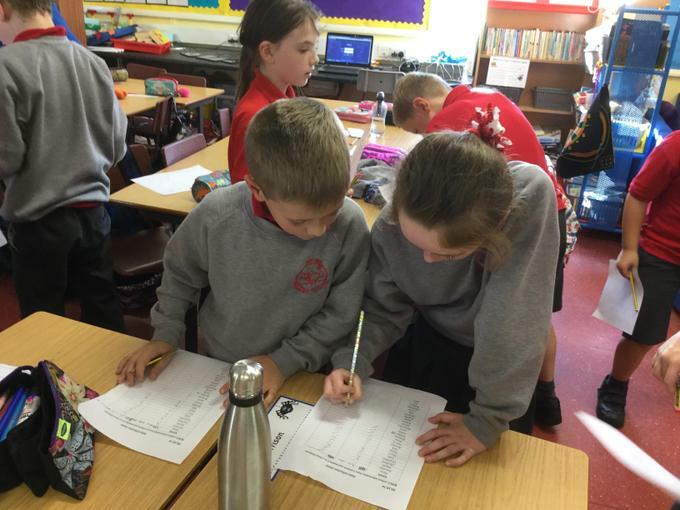 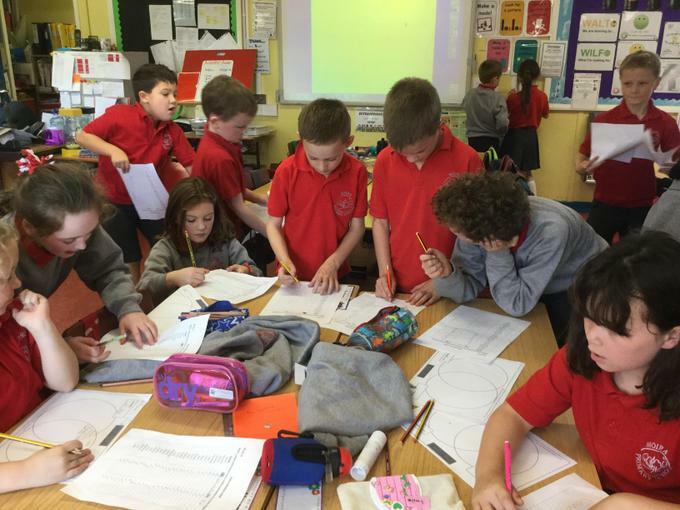 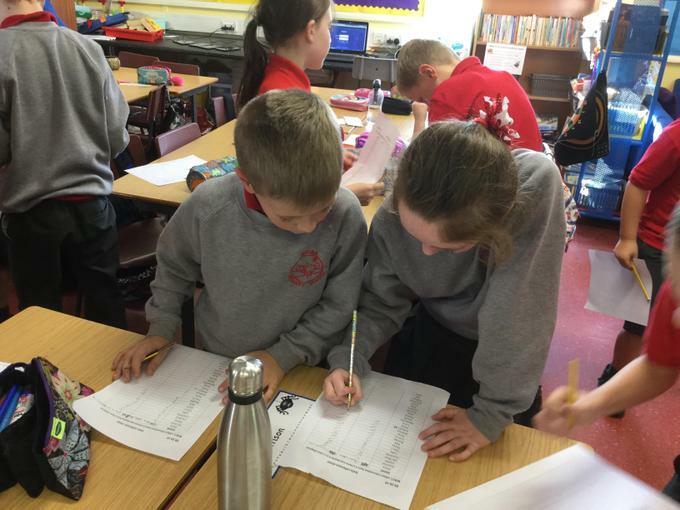 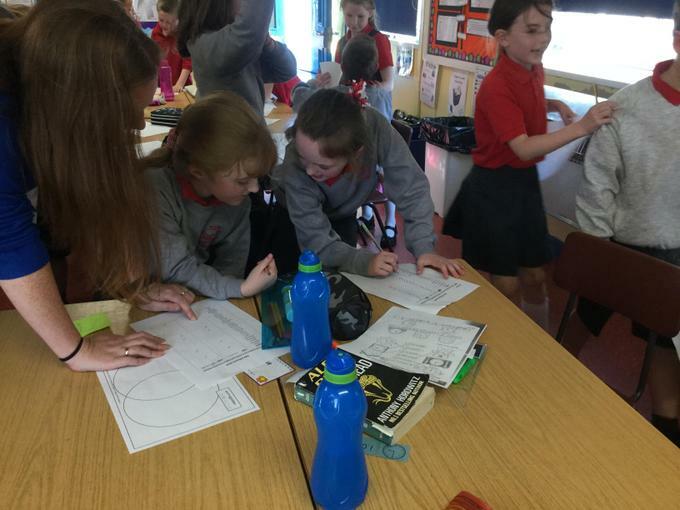 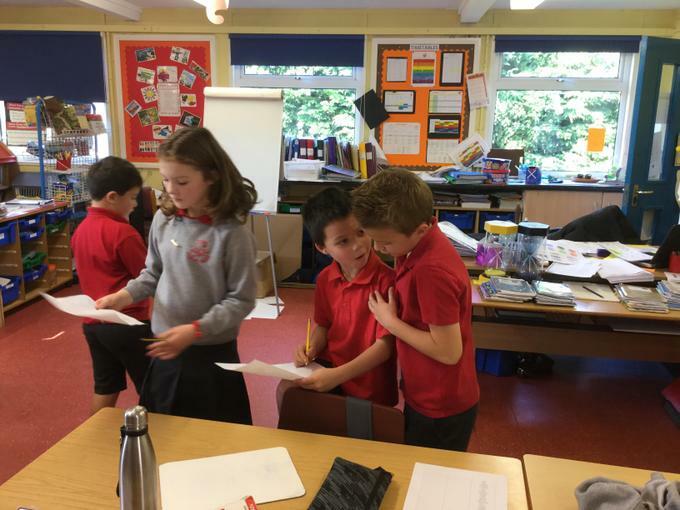 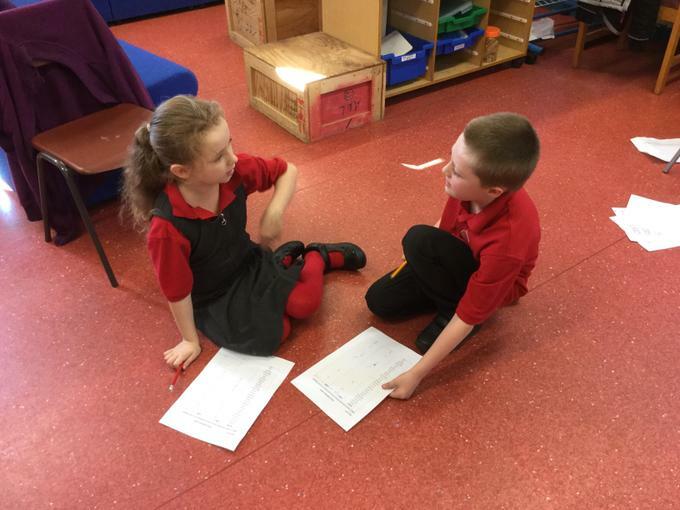 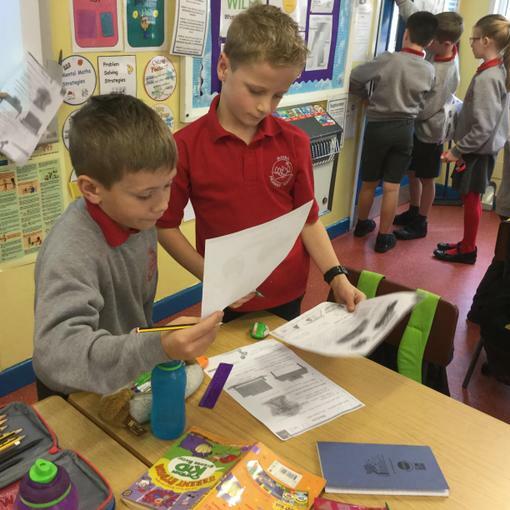 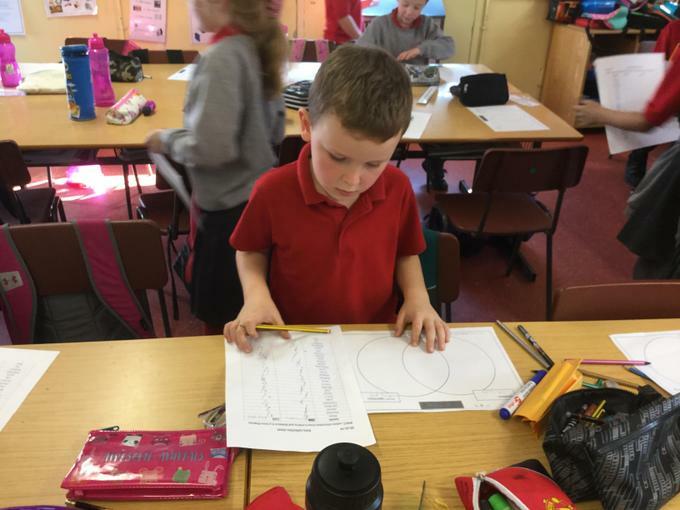 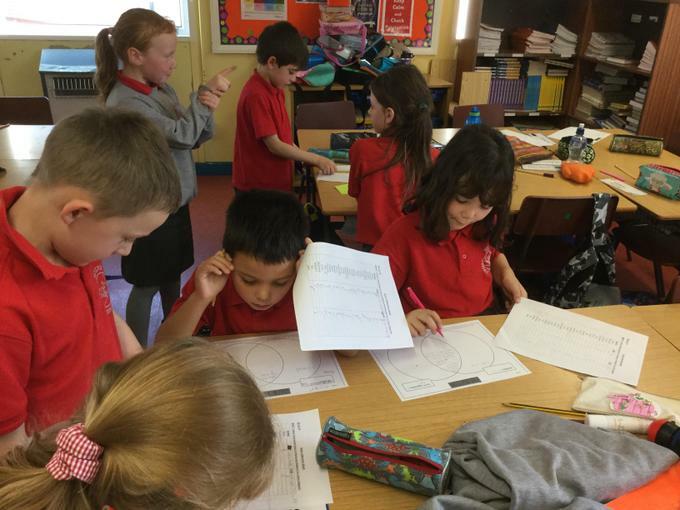 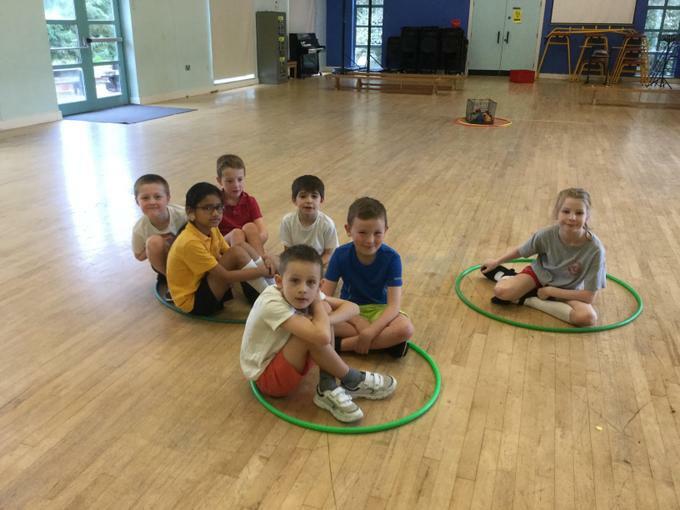 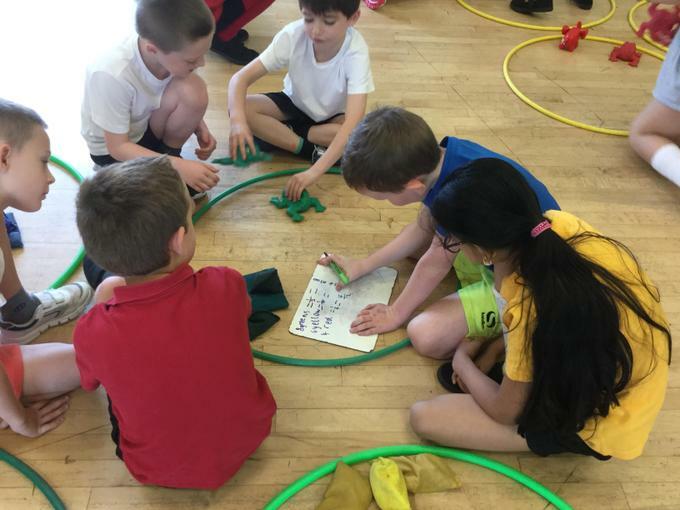 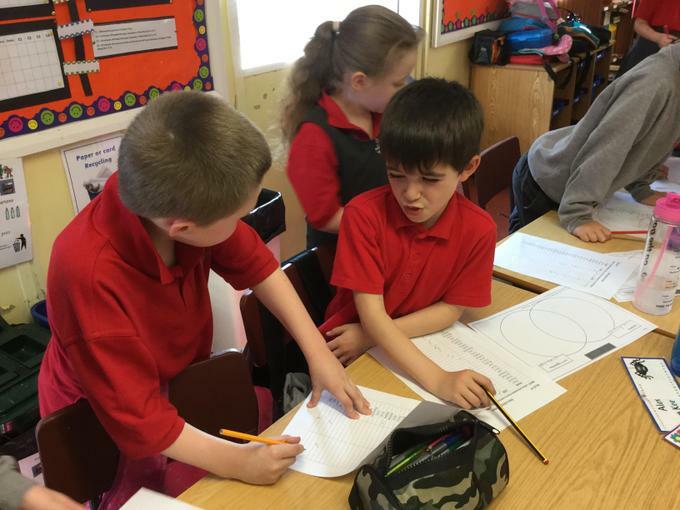 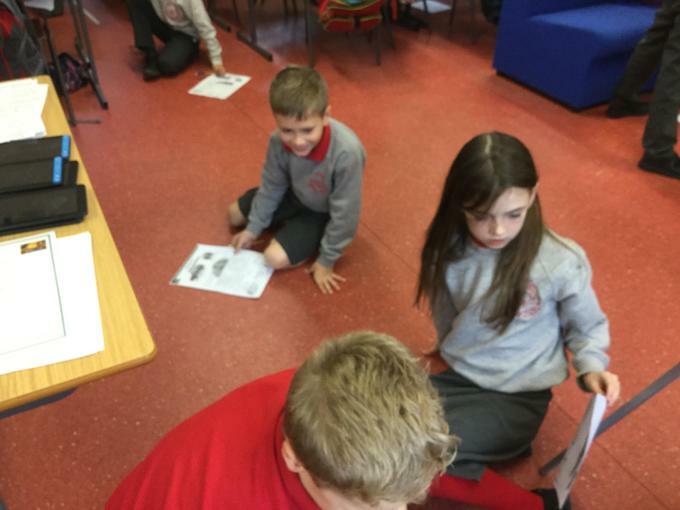 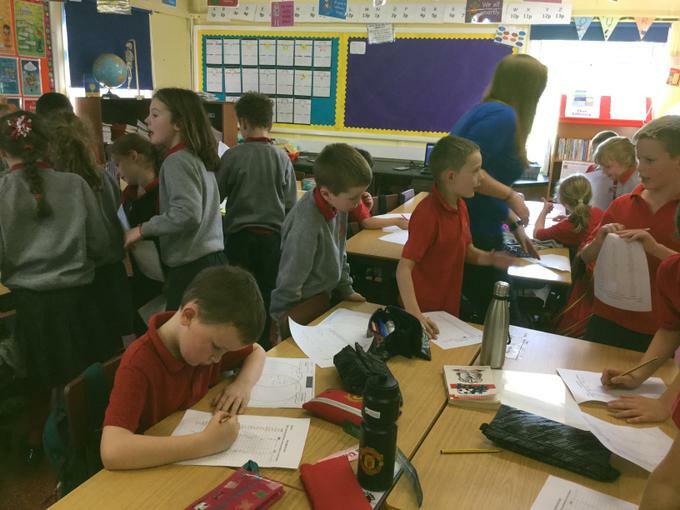 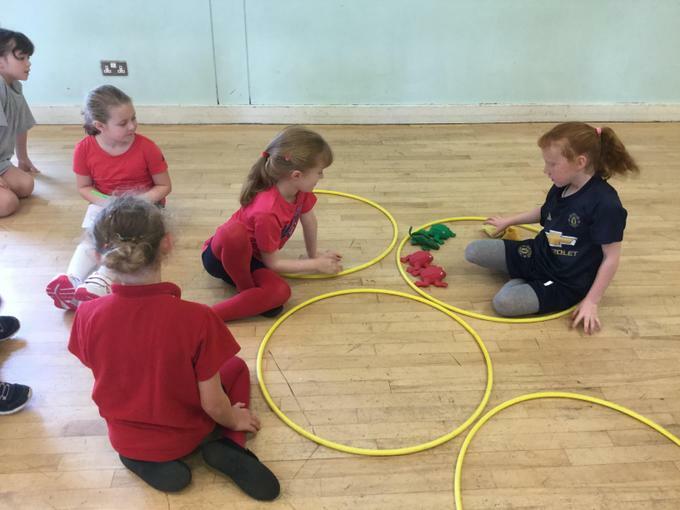 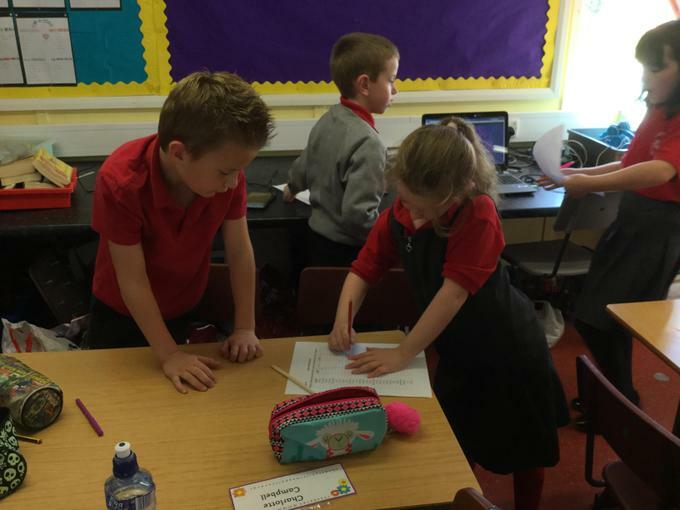 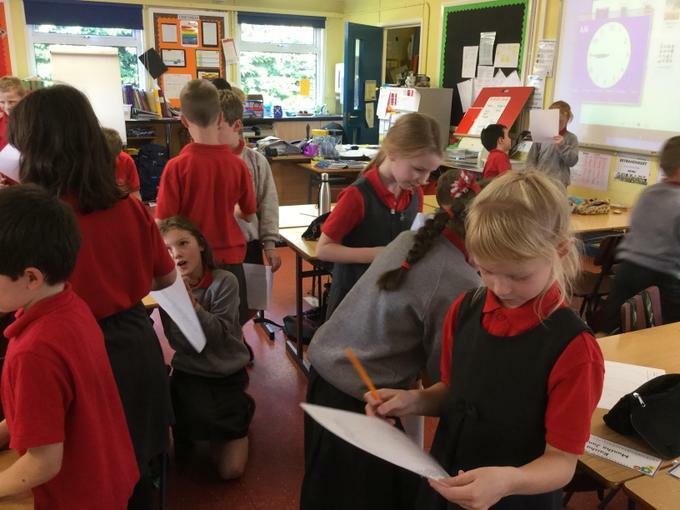 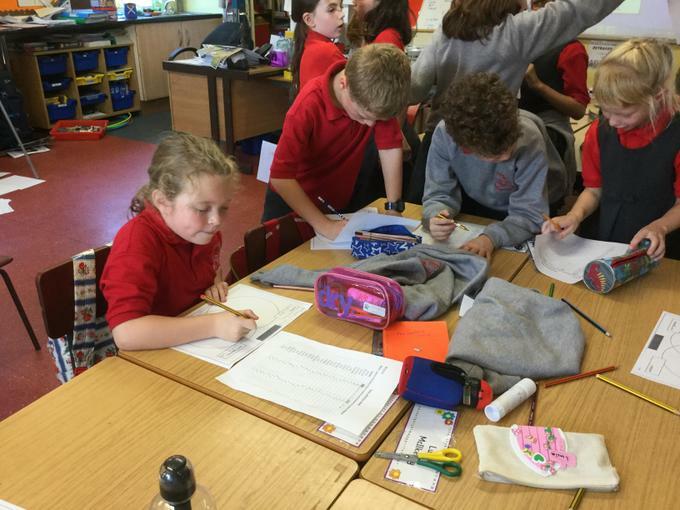 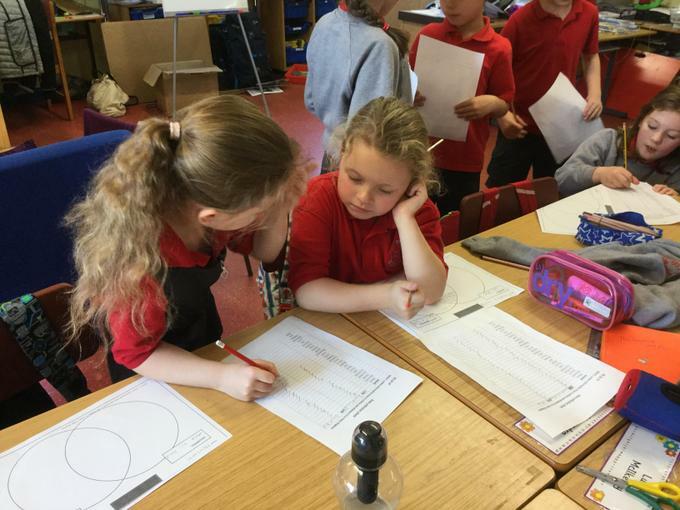 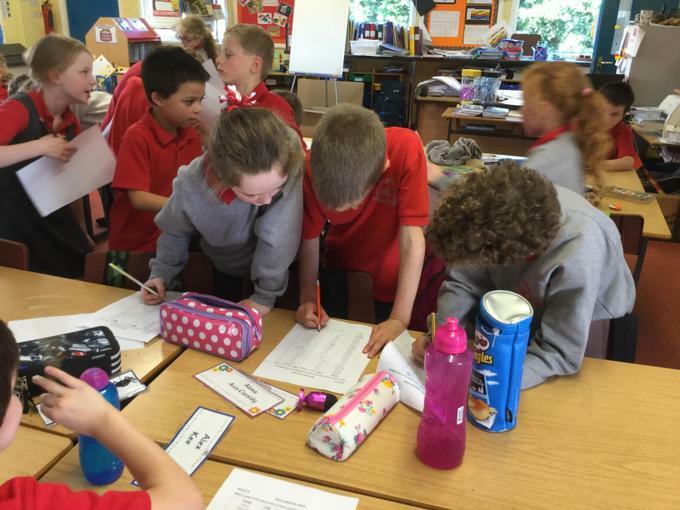 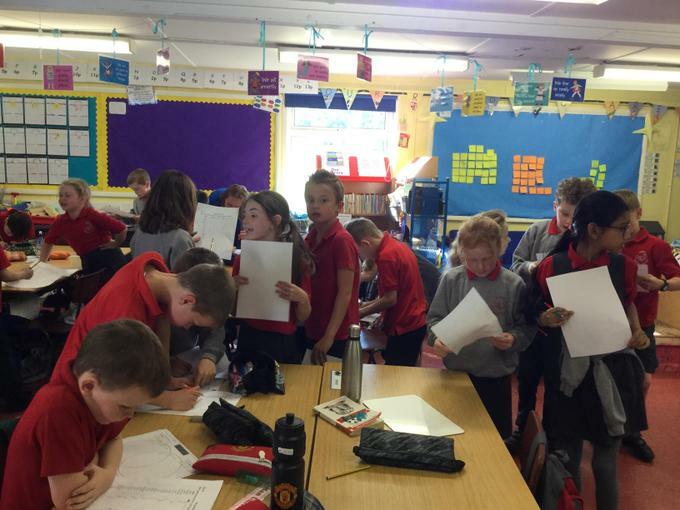 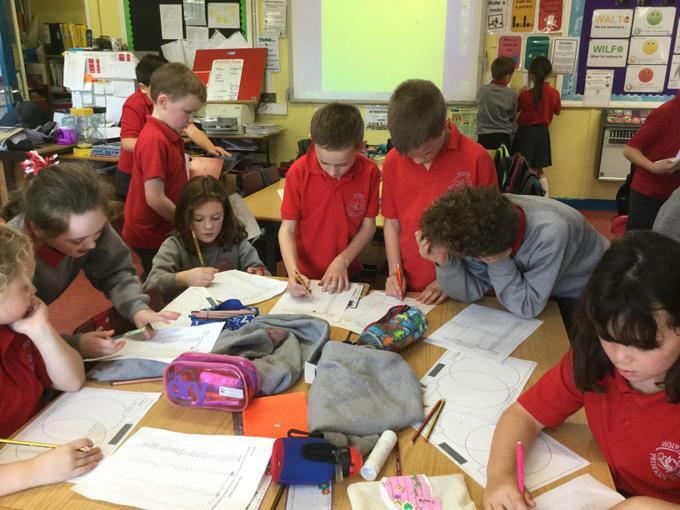 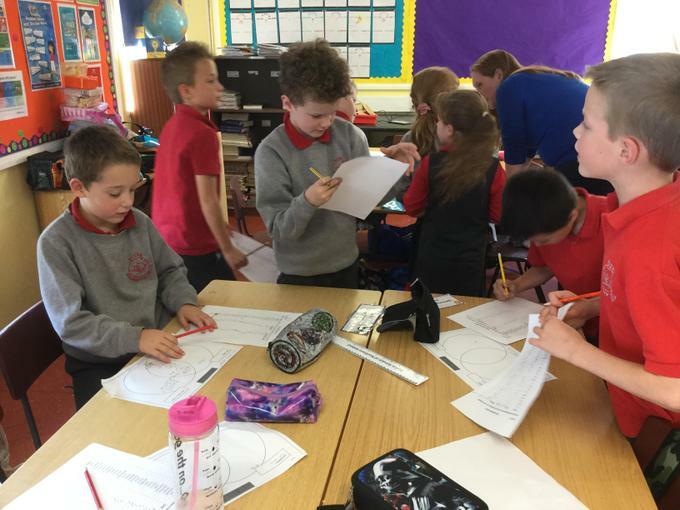 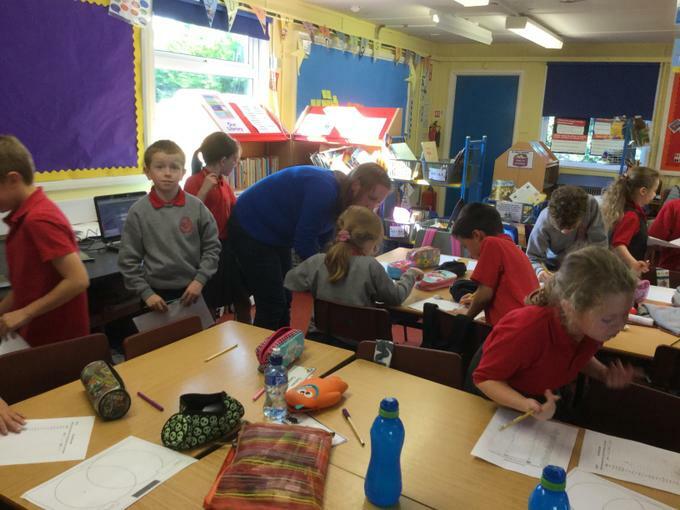 We had great fun collecting data from each other and plotting a Venn Diagram.